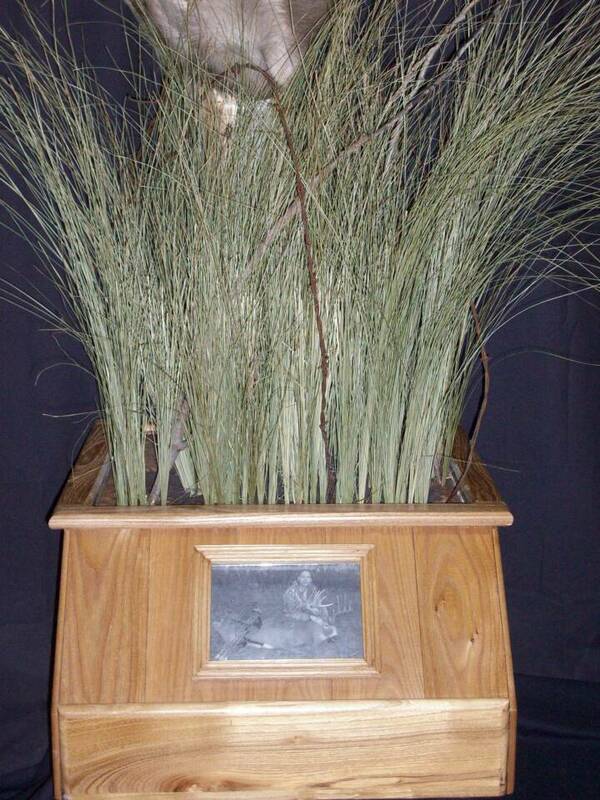 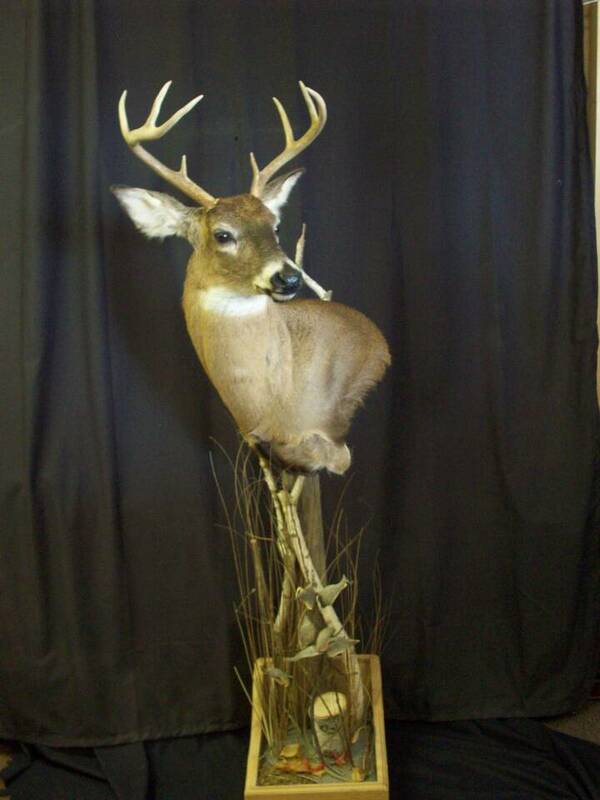 In Wisconsin the only season more important than Football season is Deer season. 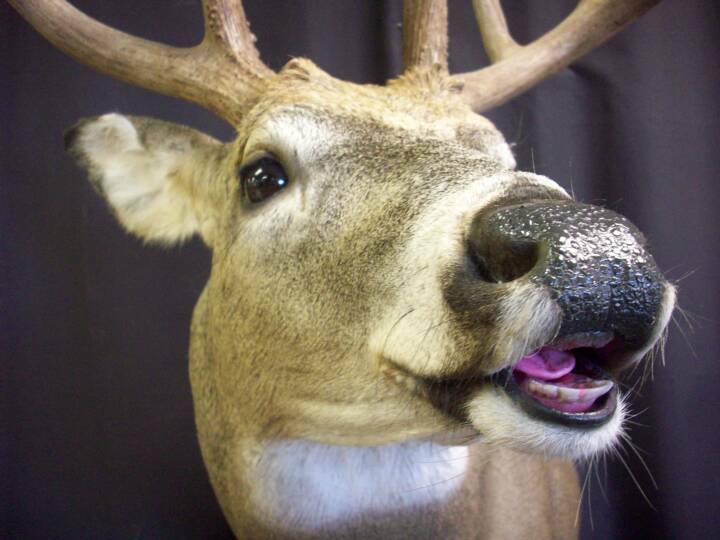 So do not expect to see people wearing any other color of clothing than green and gold or blaze orange during the month of November. 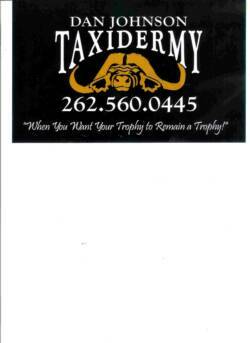 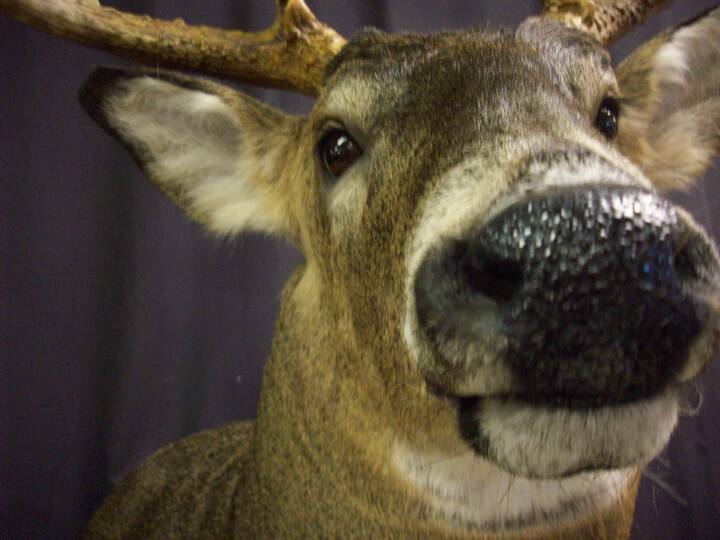 With approximately 700,000 hunting licenses sold for our 9 day gun season, deer hunting here is serious business. 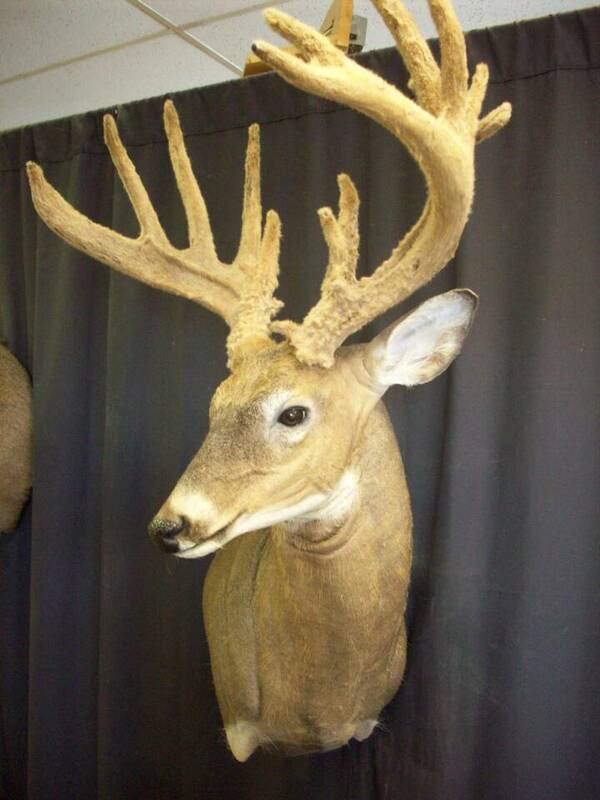 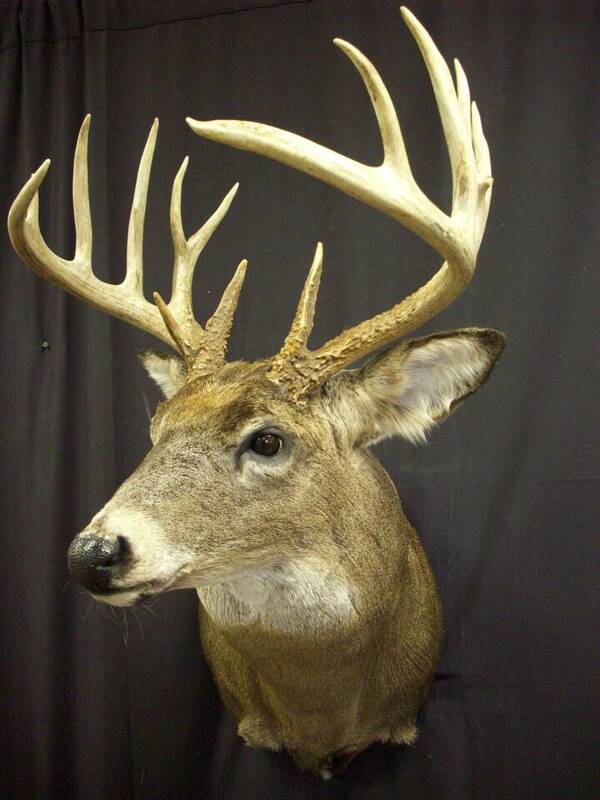 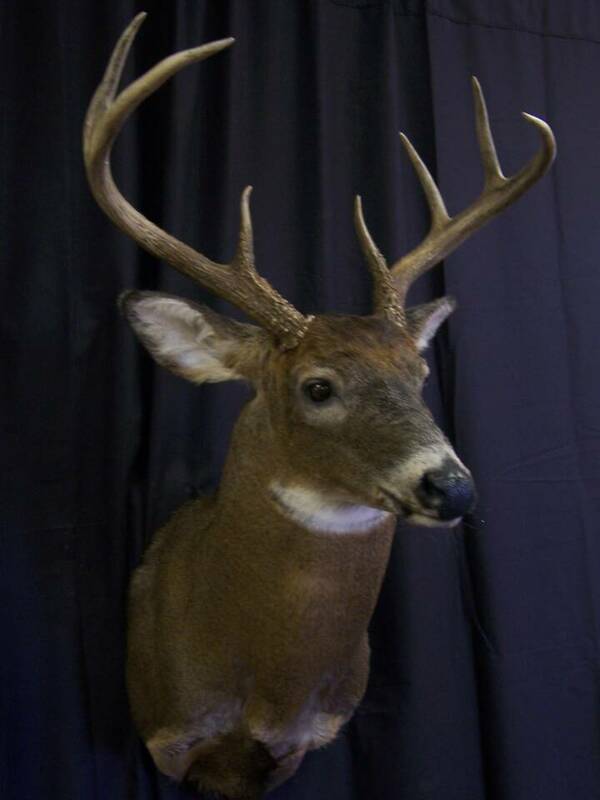 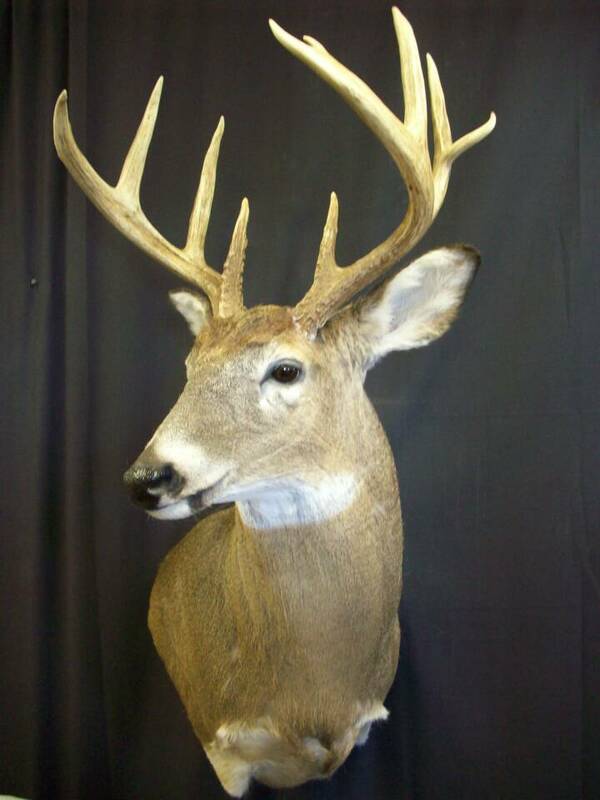 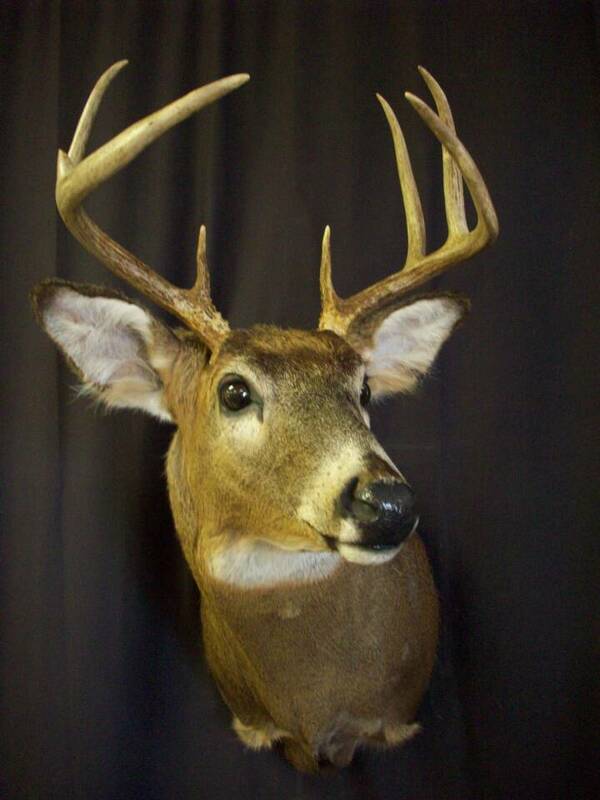 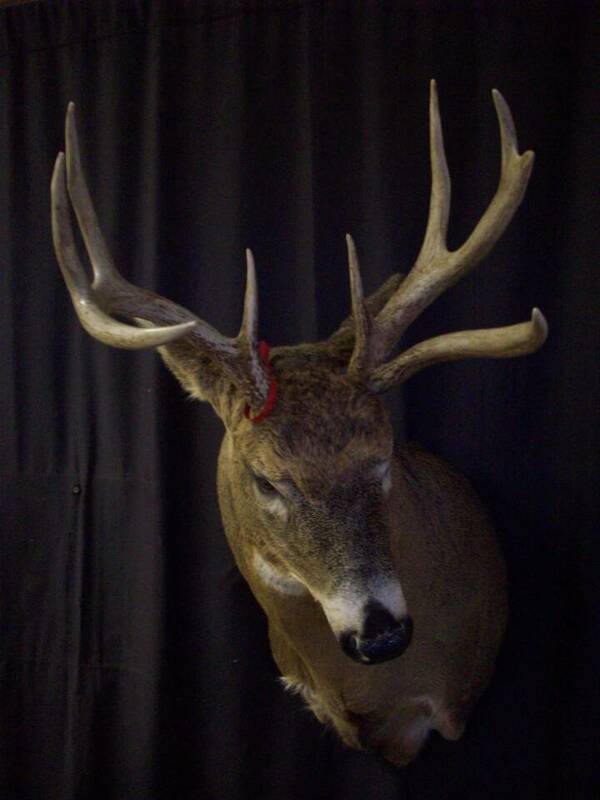 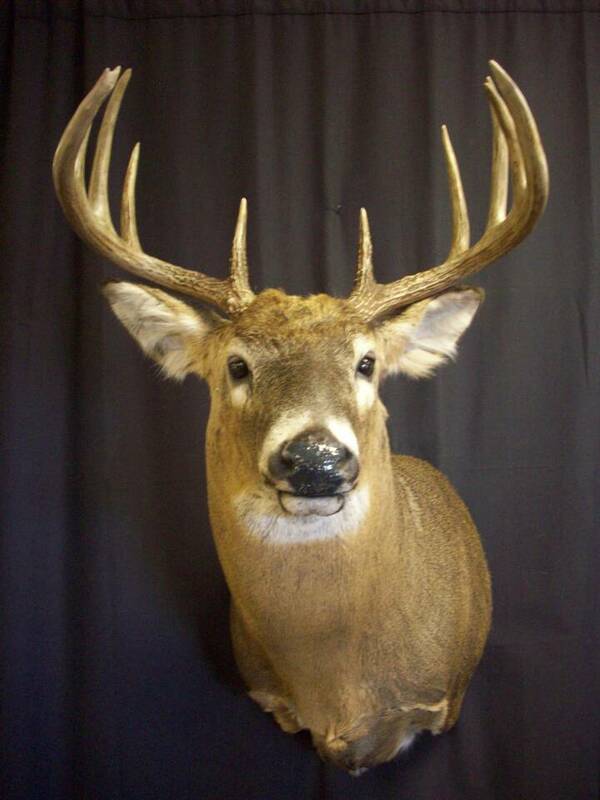 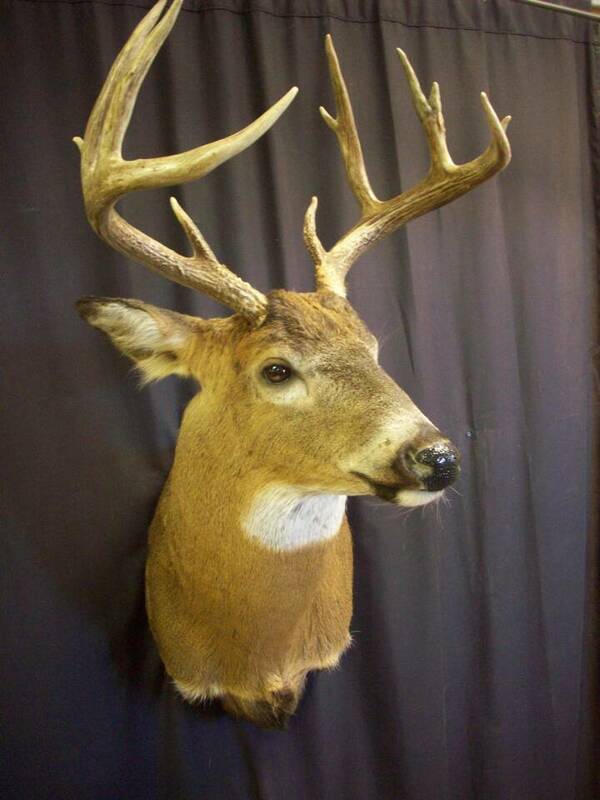 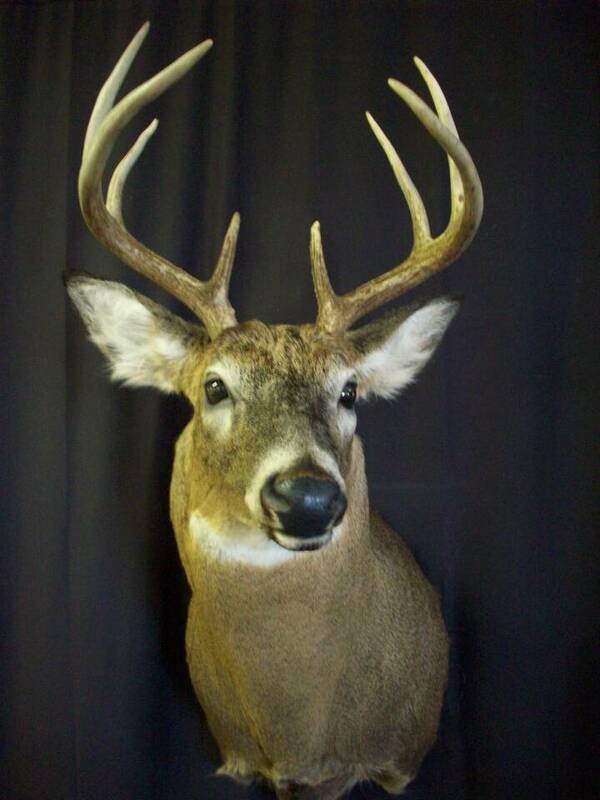 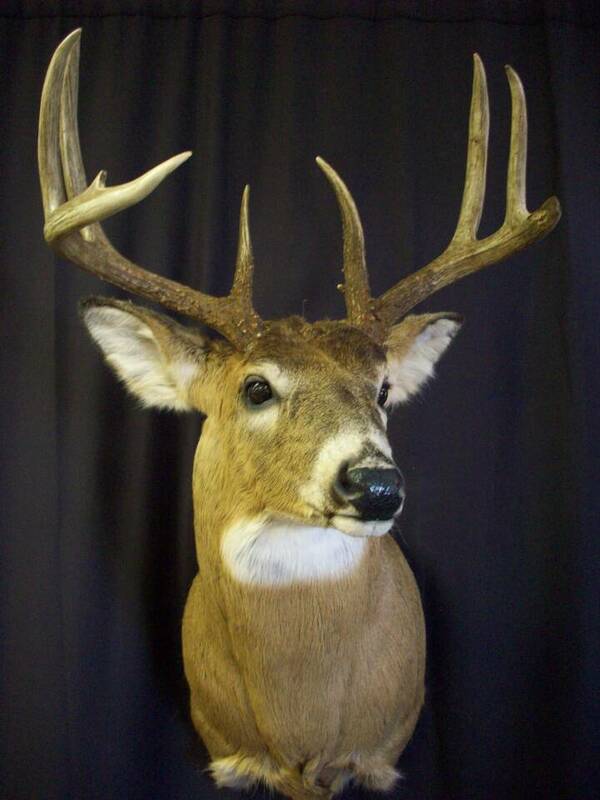 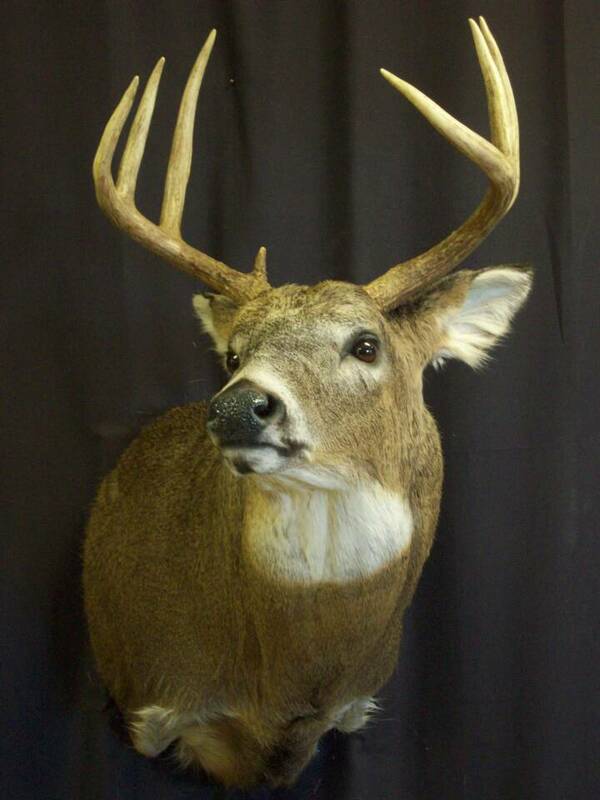 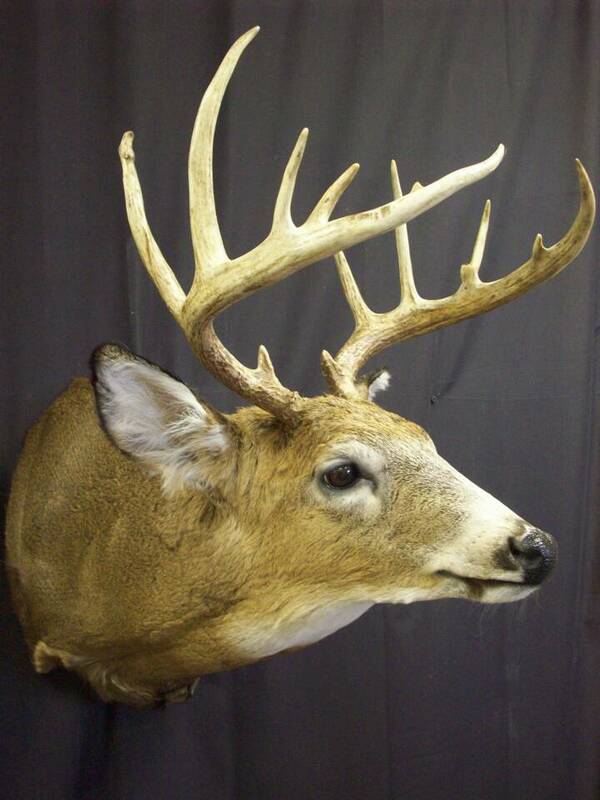 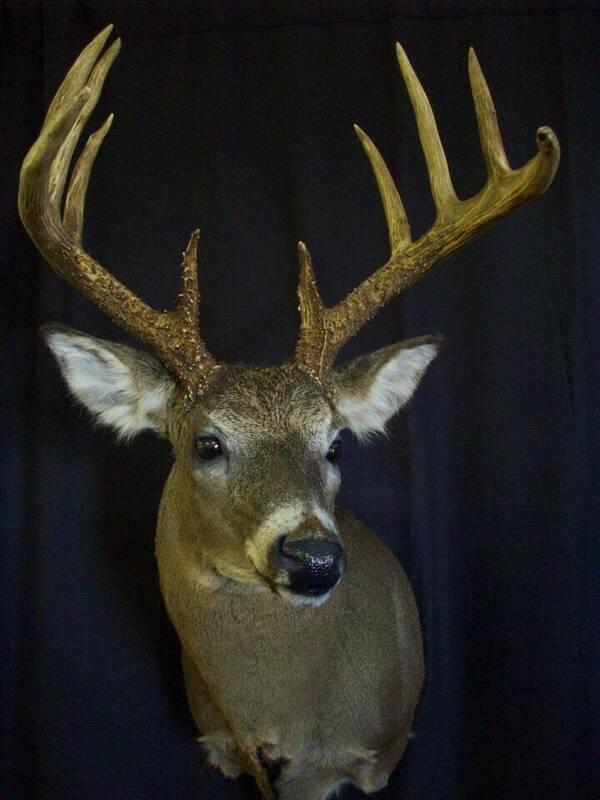 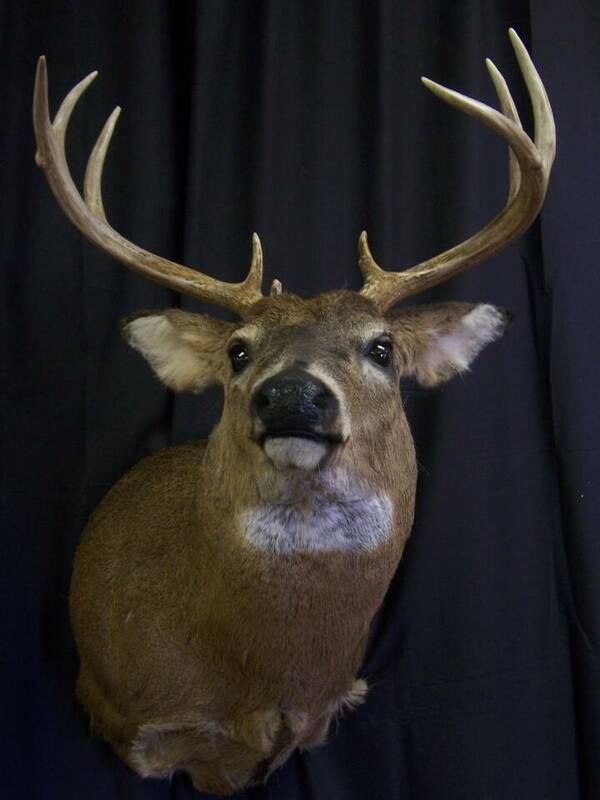 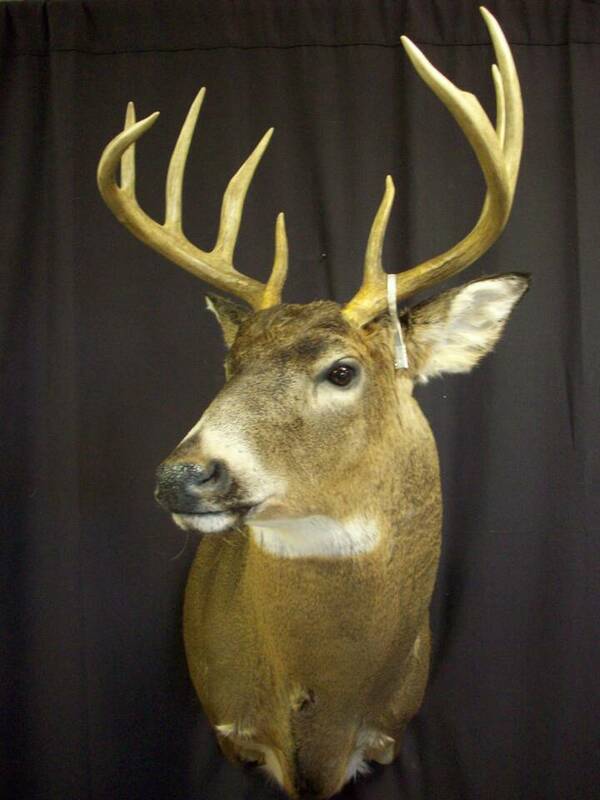 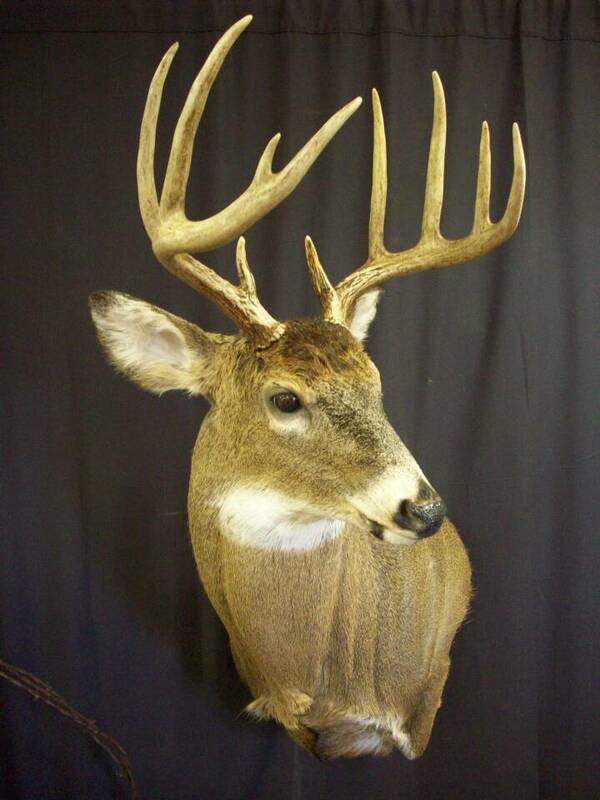 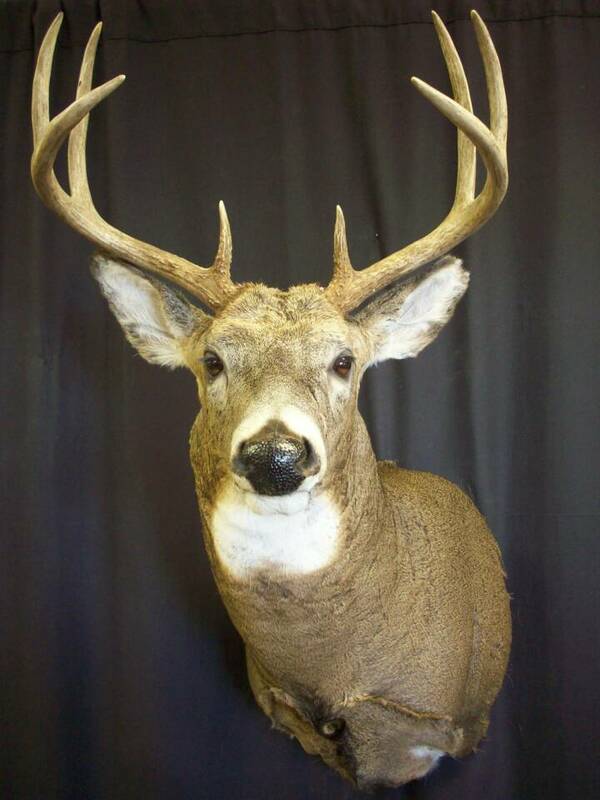 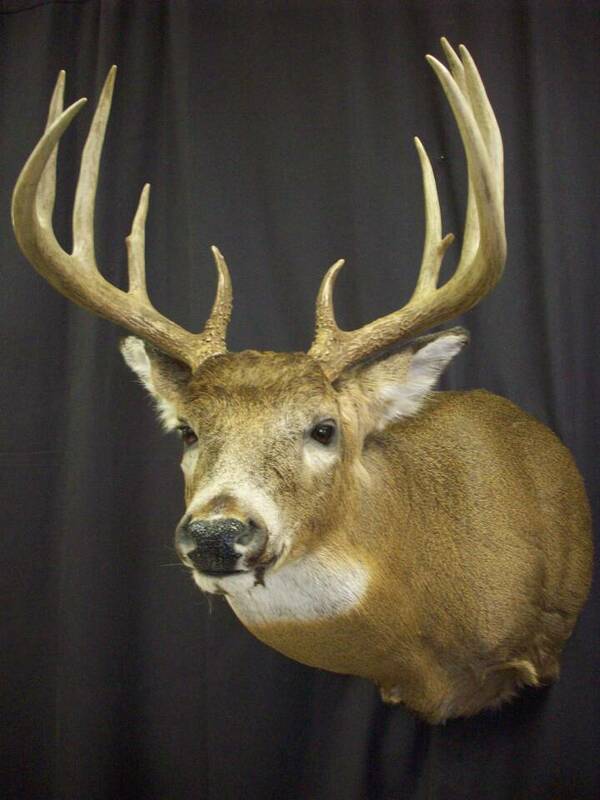 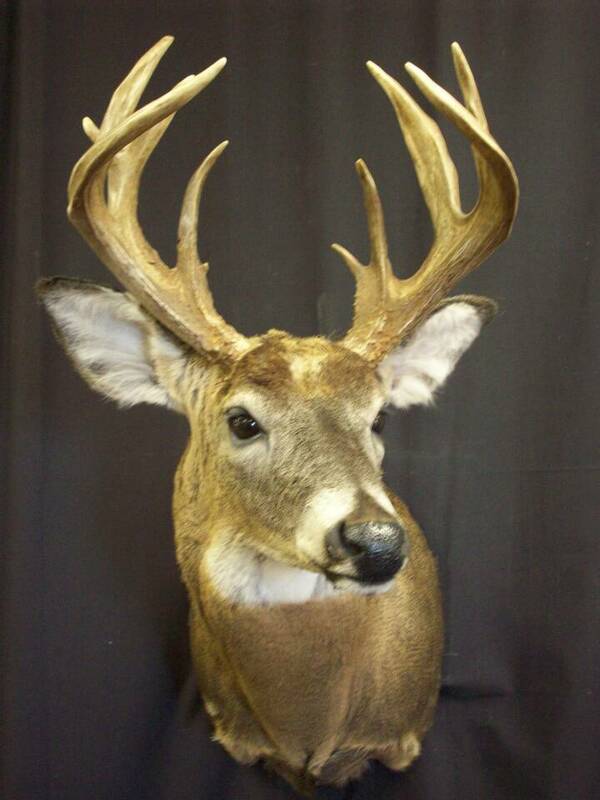 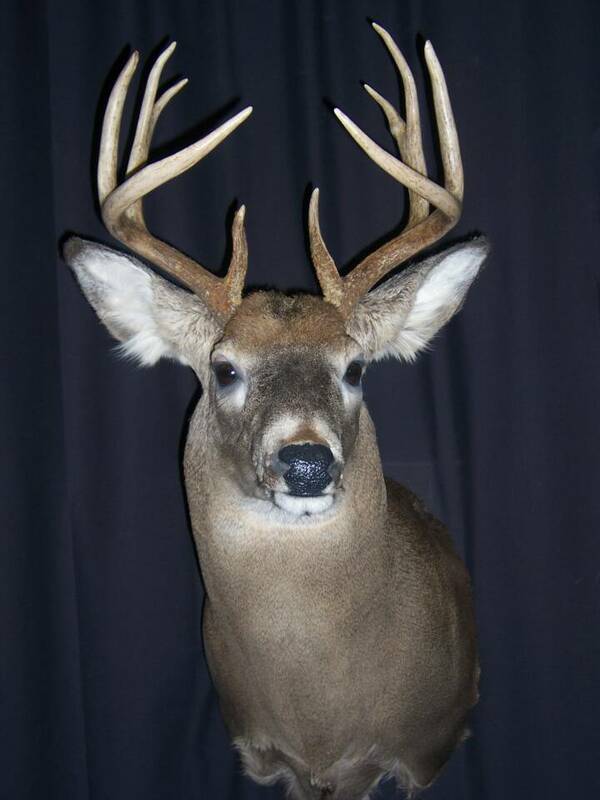 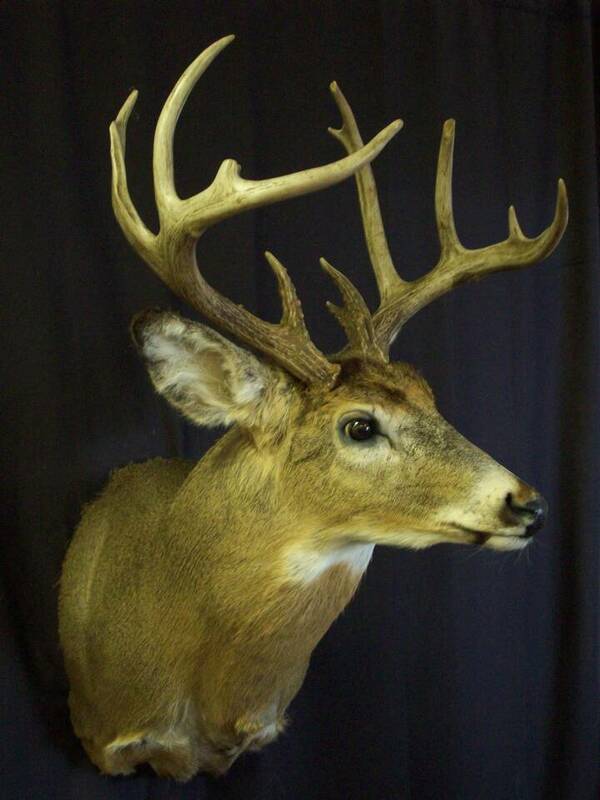 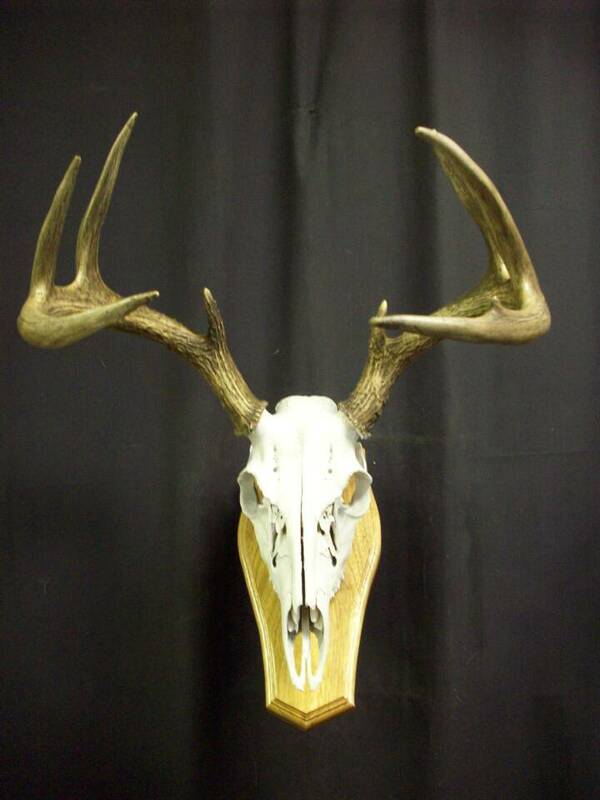 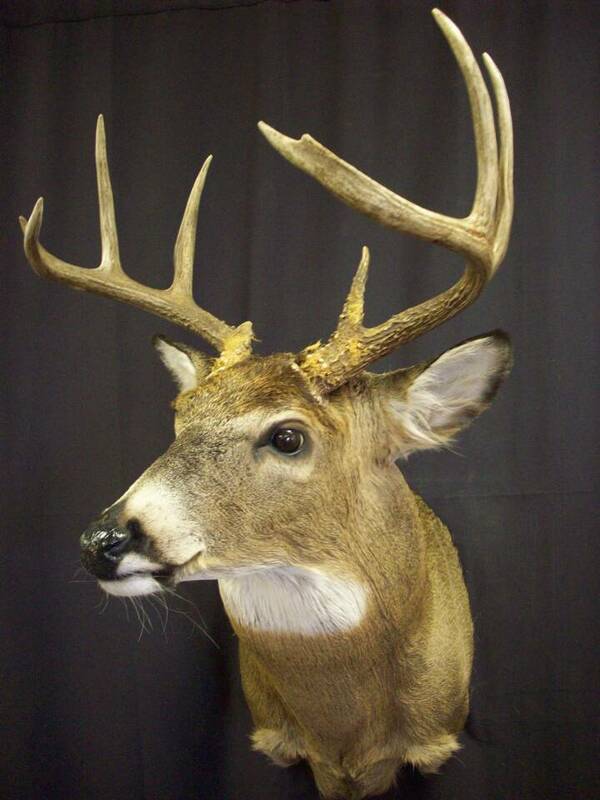 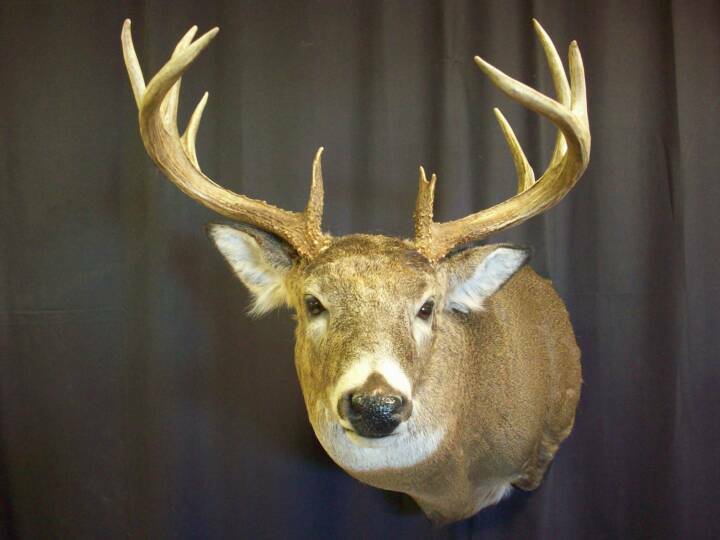 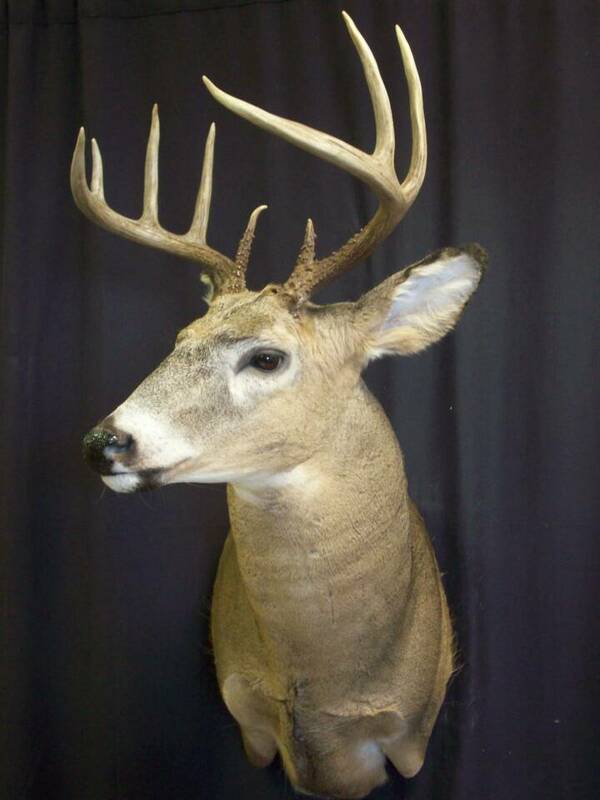 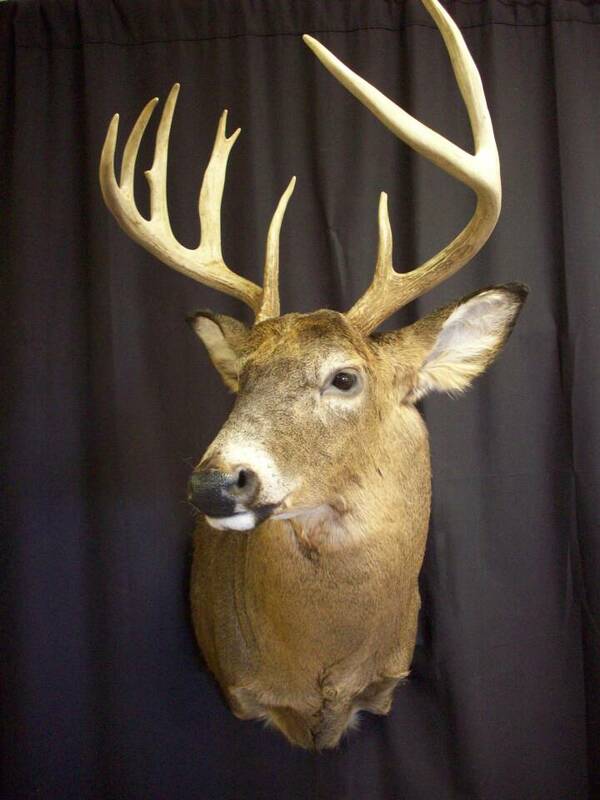 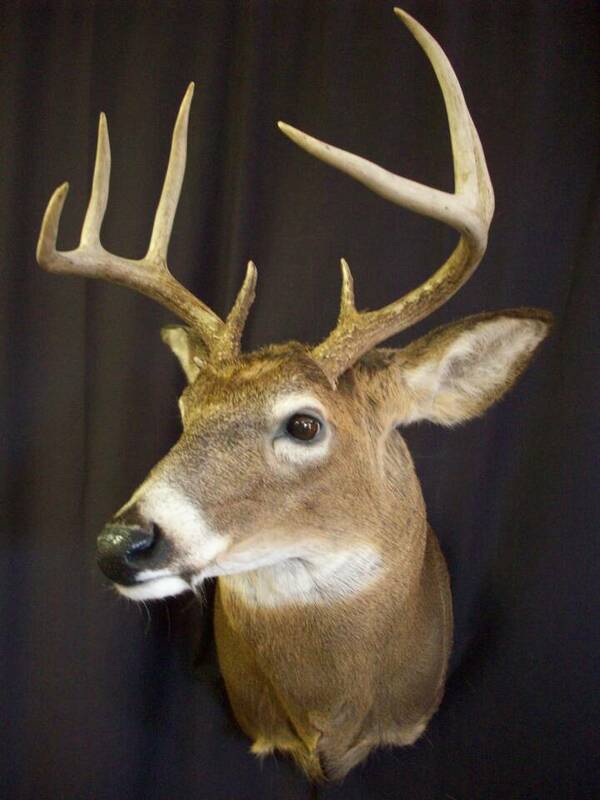 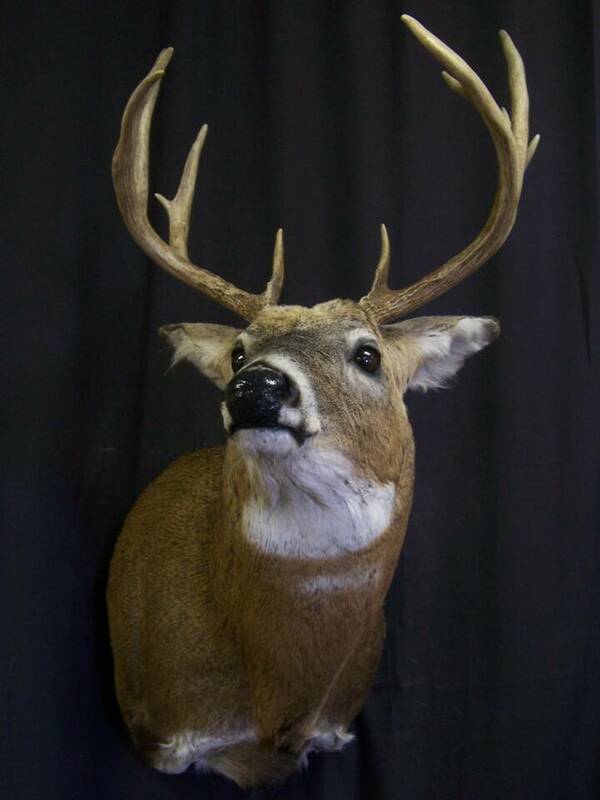 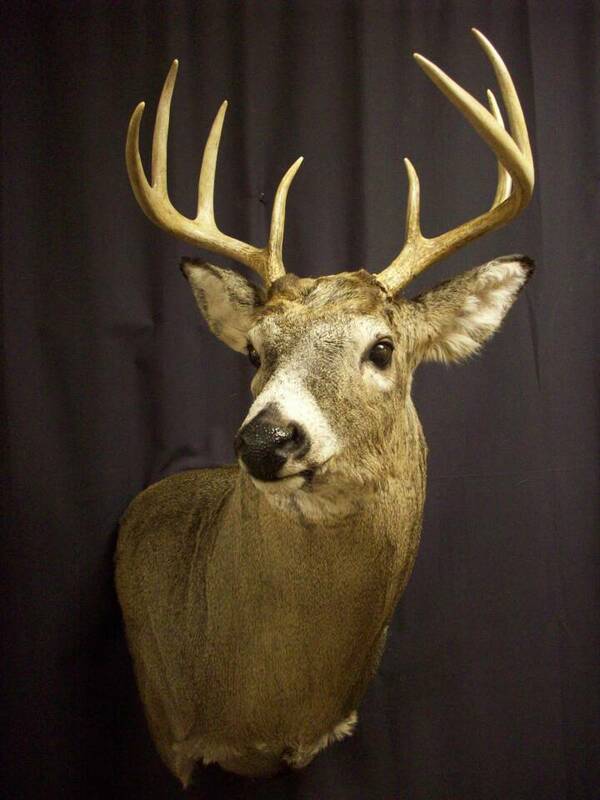 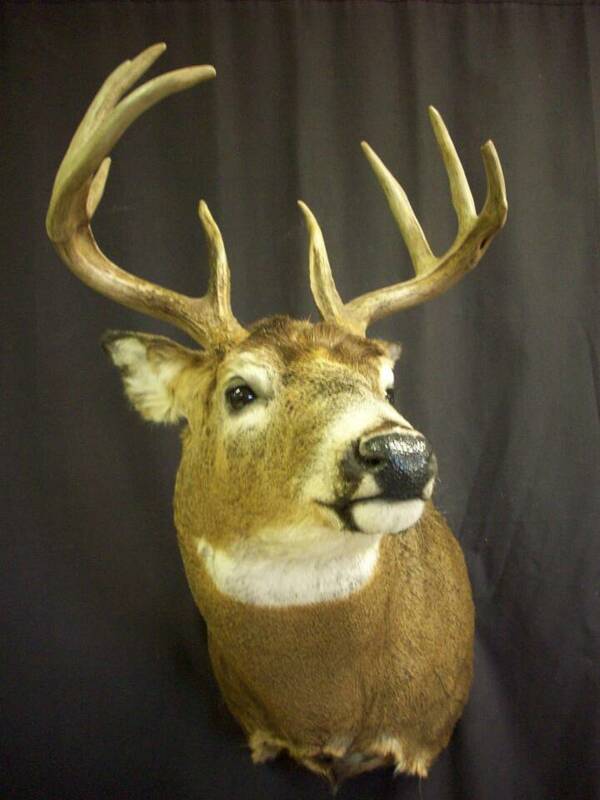 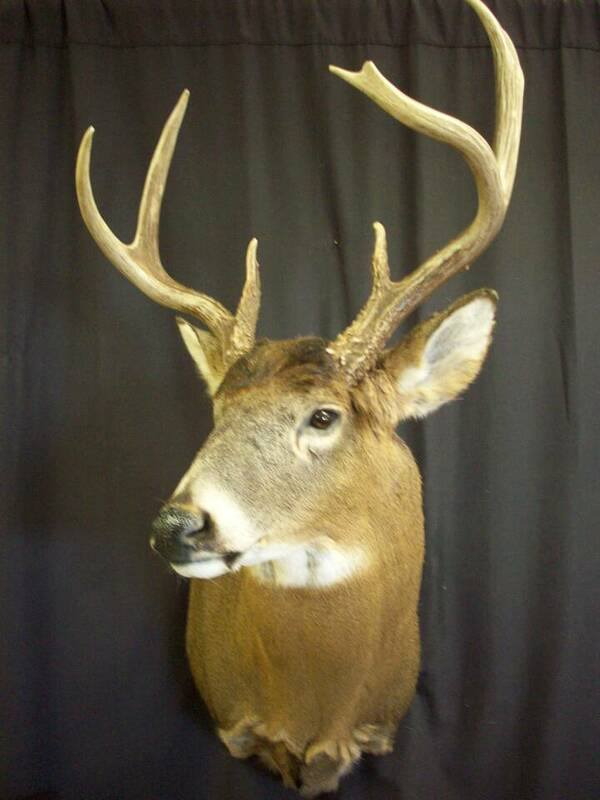 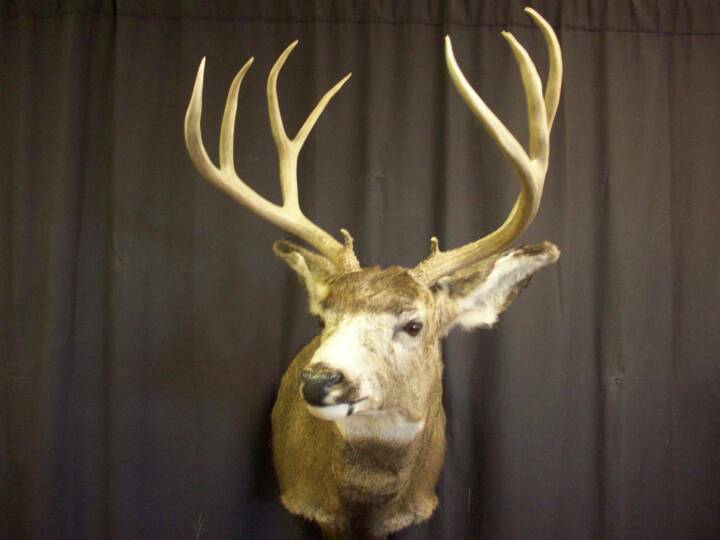 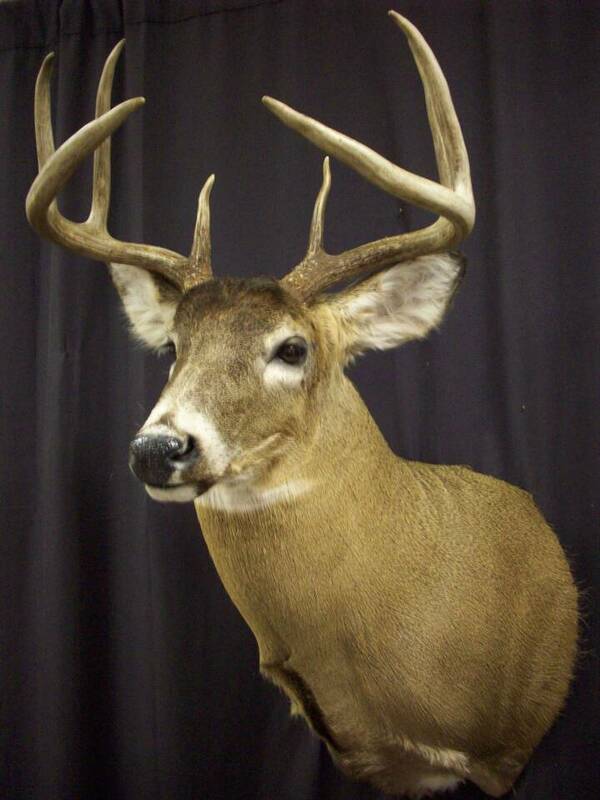 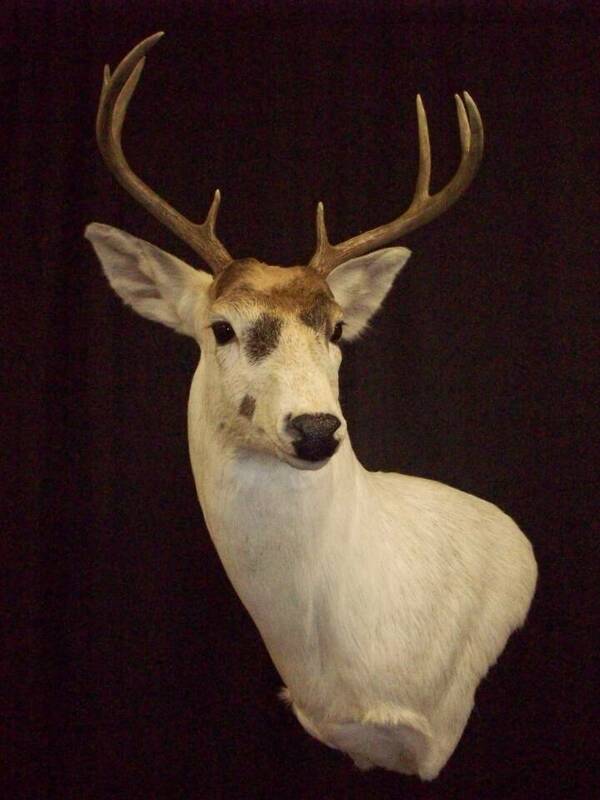 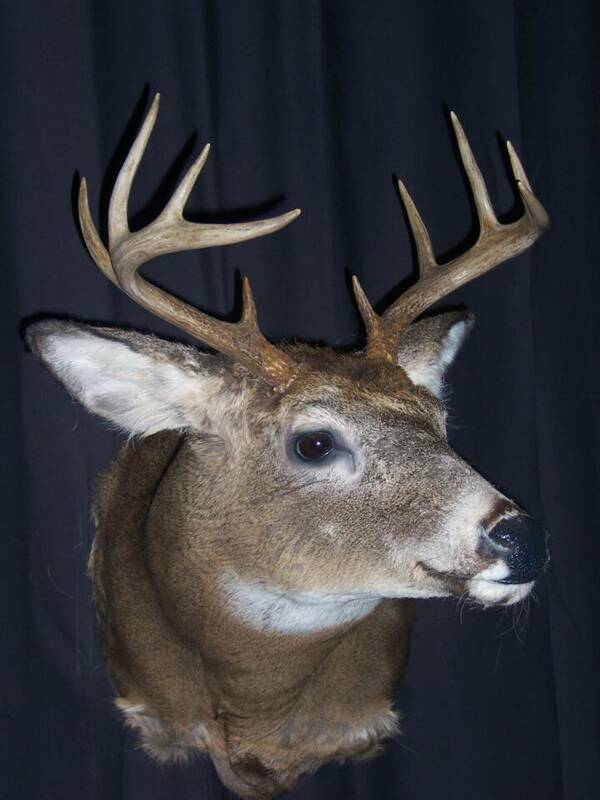 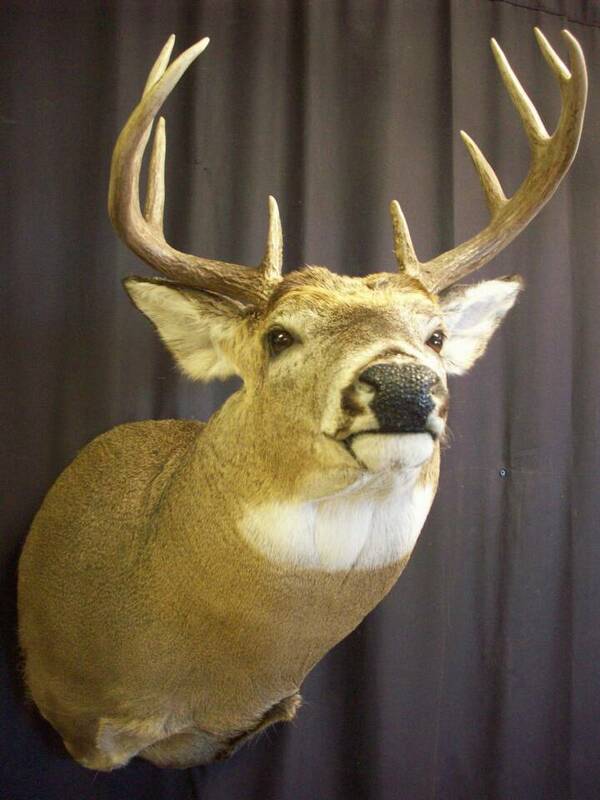 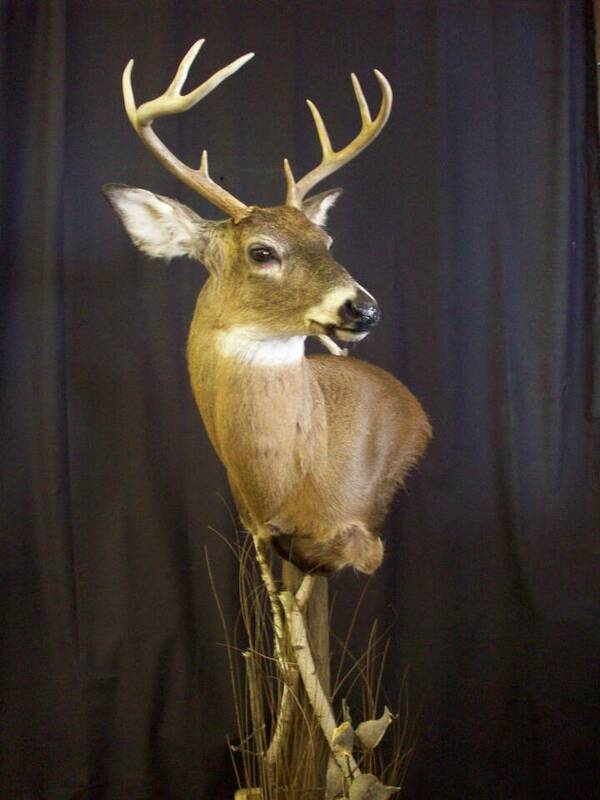 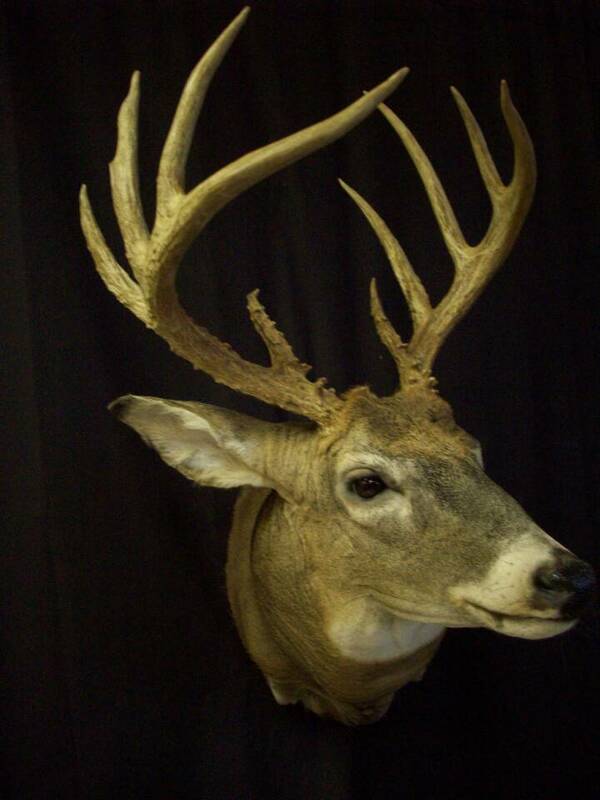 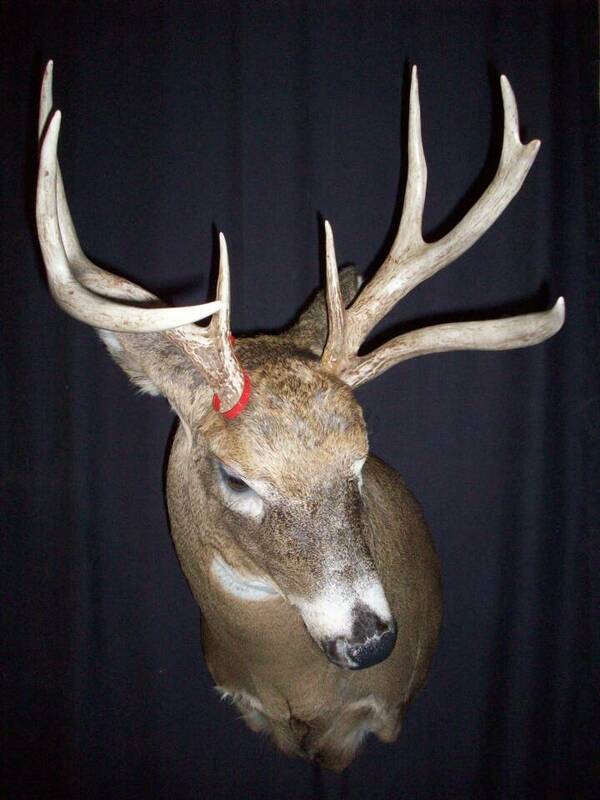 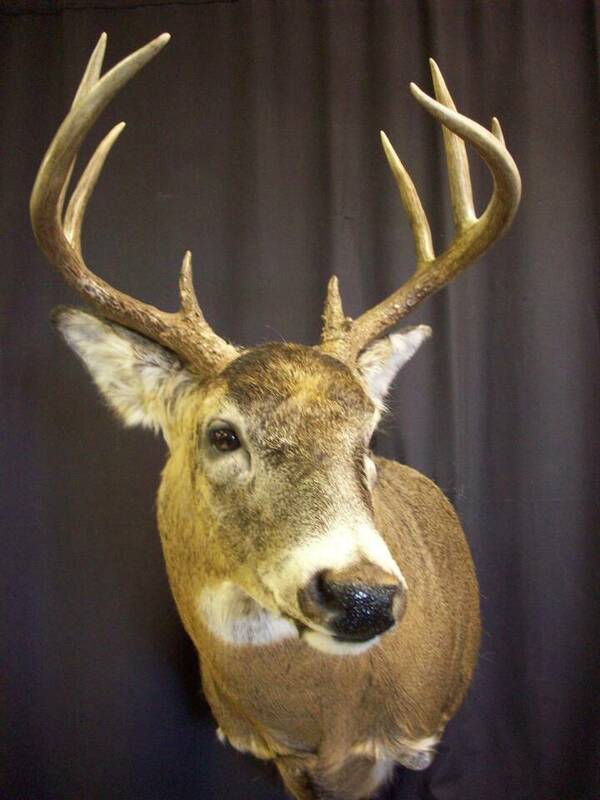 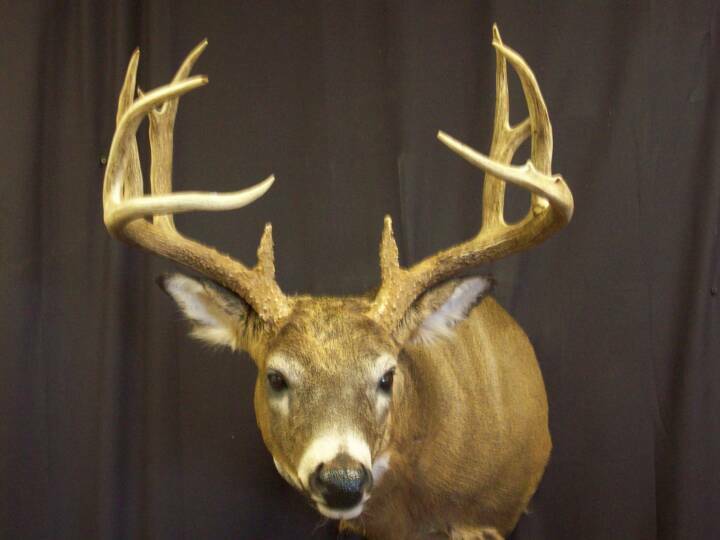 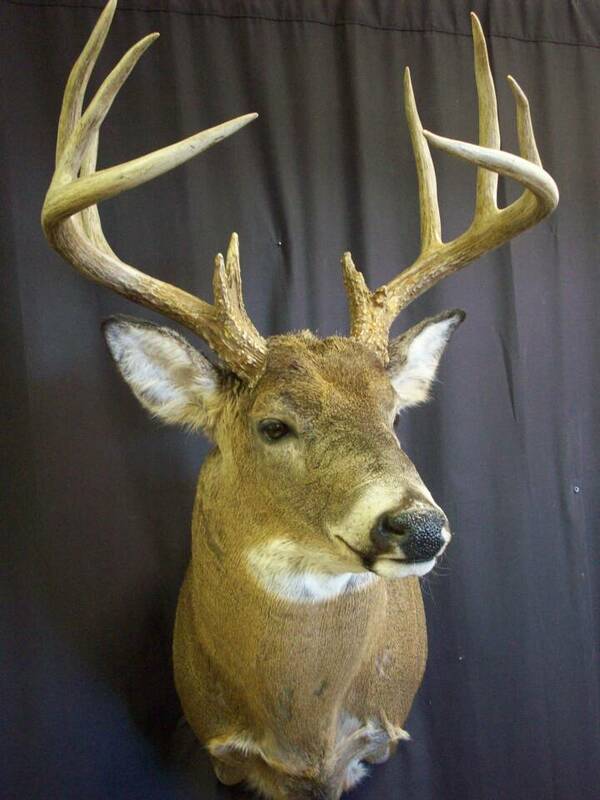 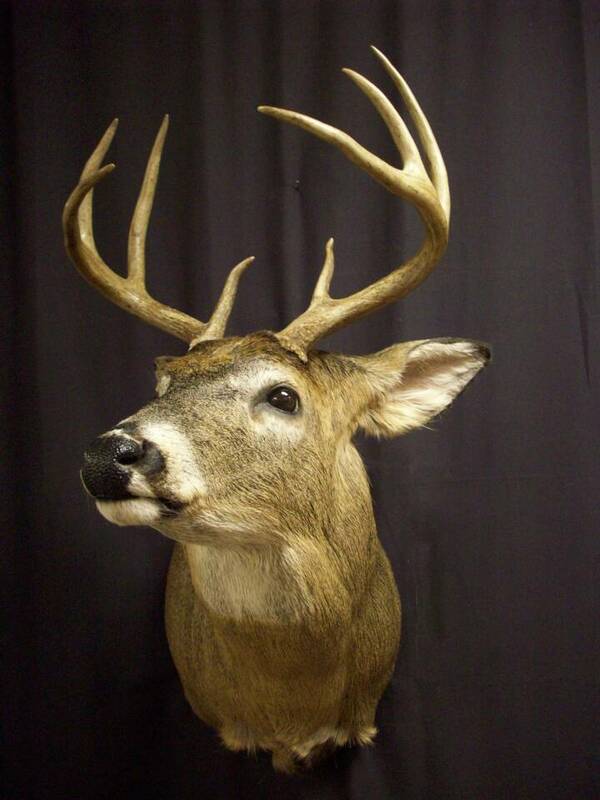 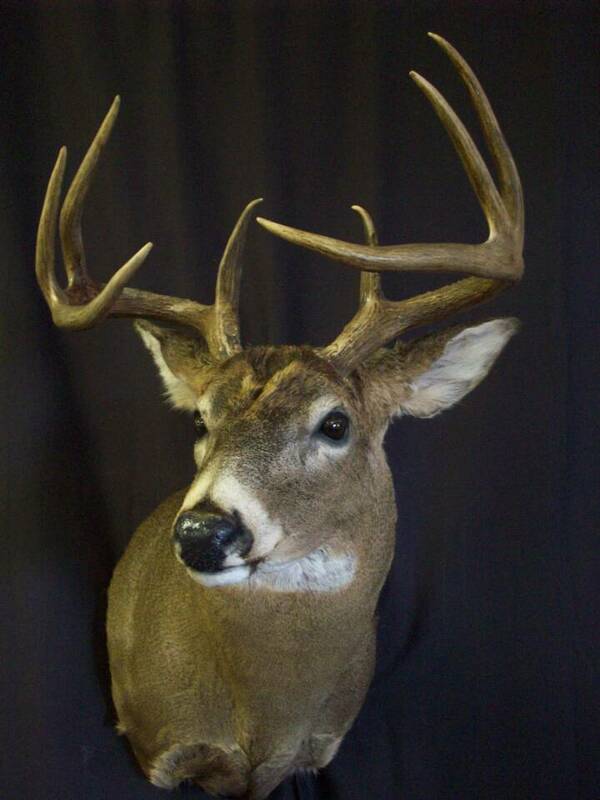 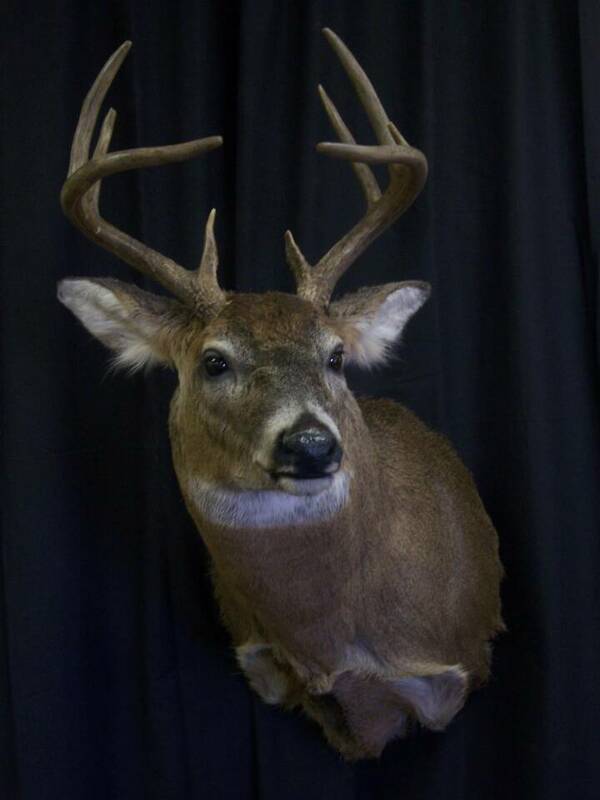 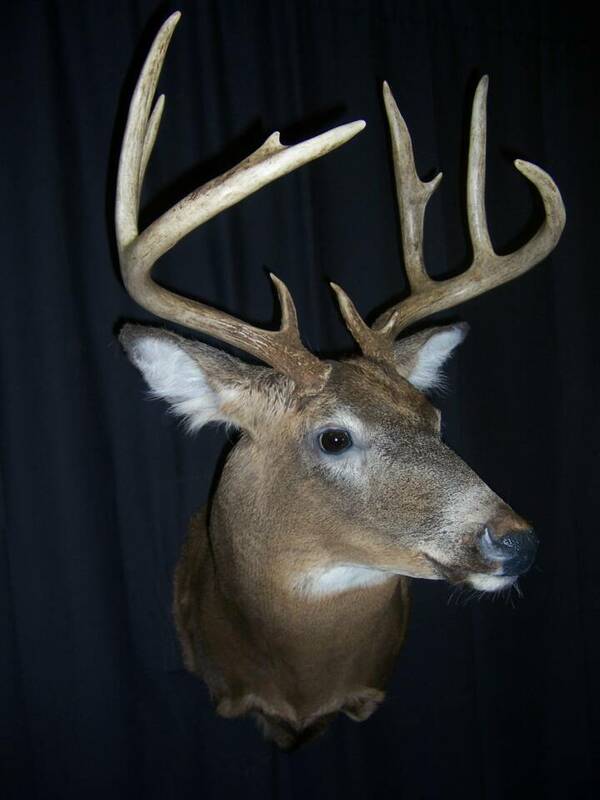 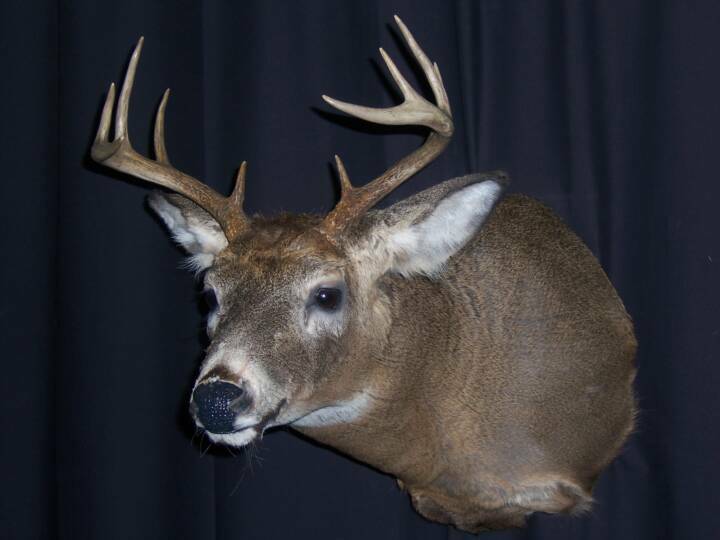 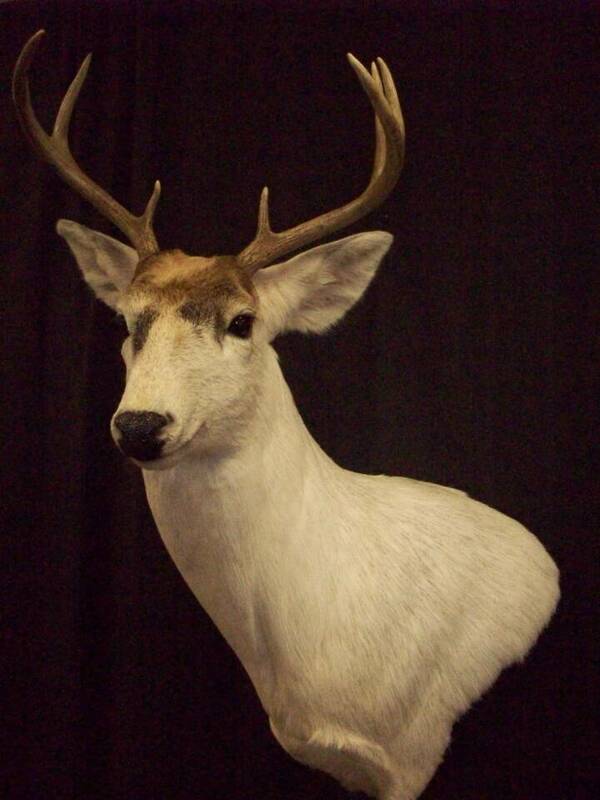 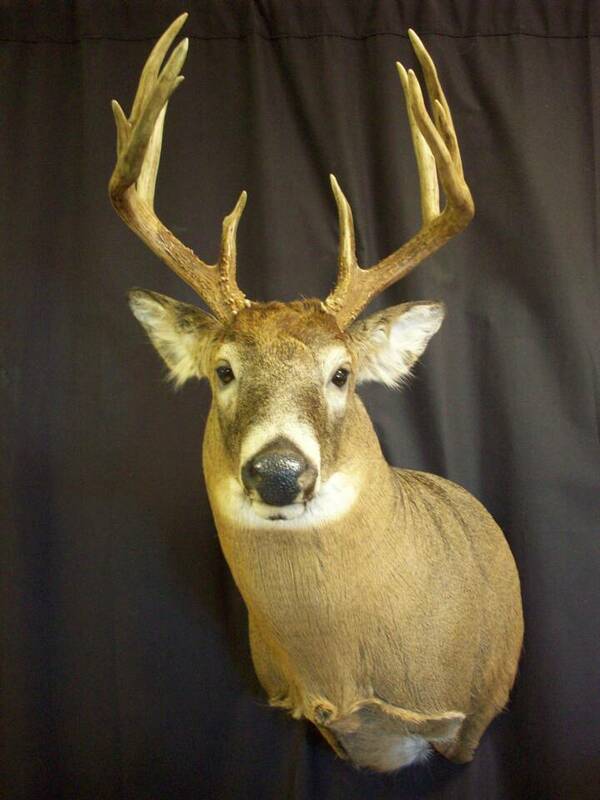 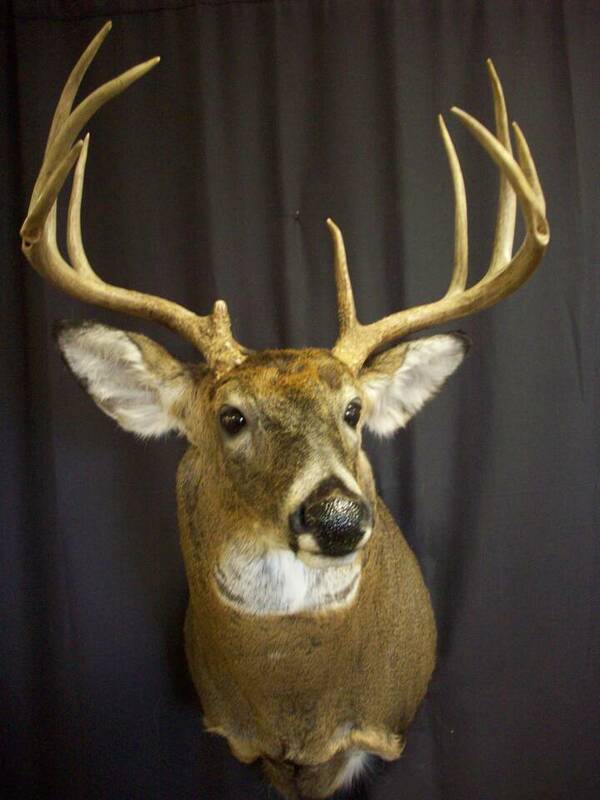 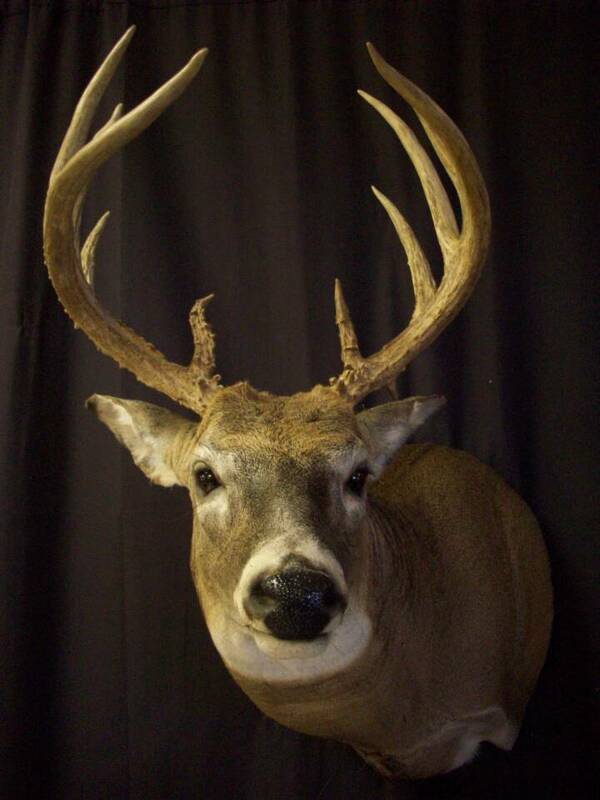 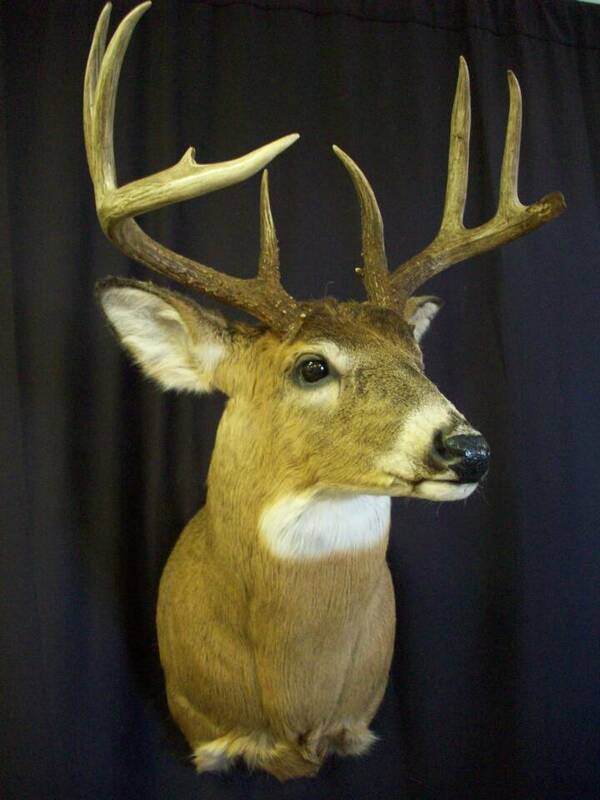 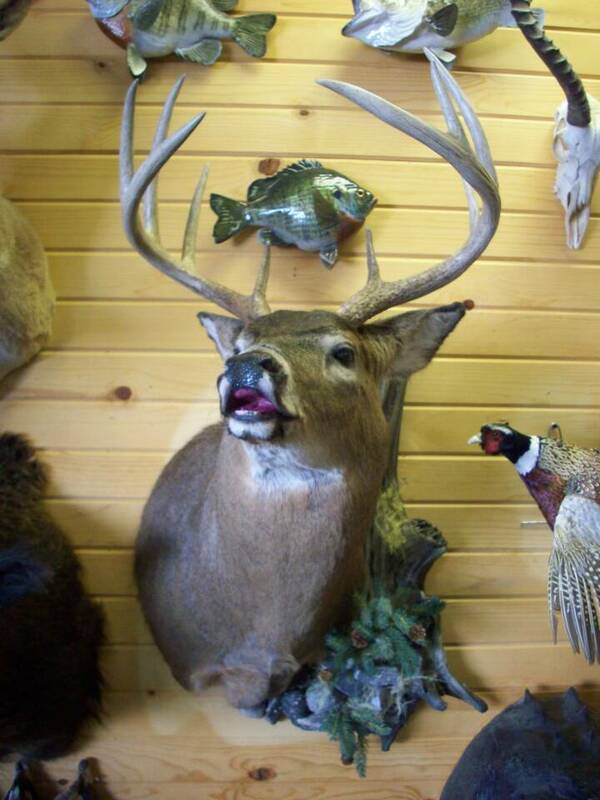 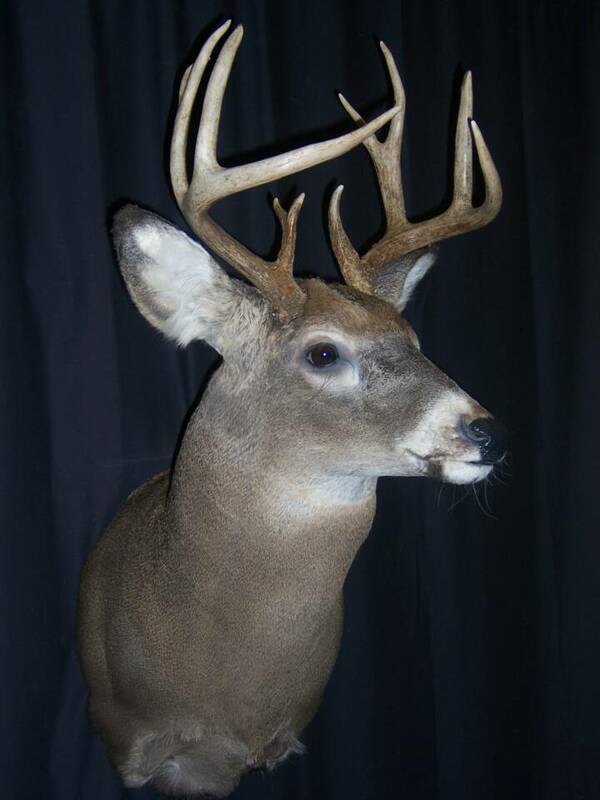 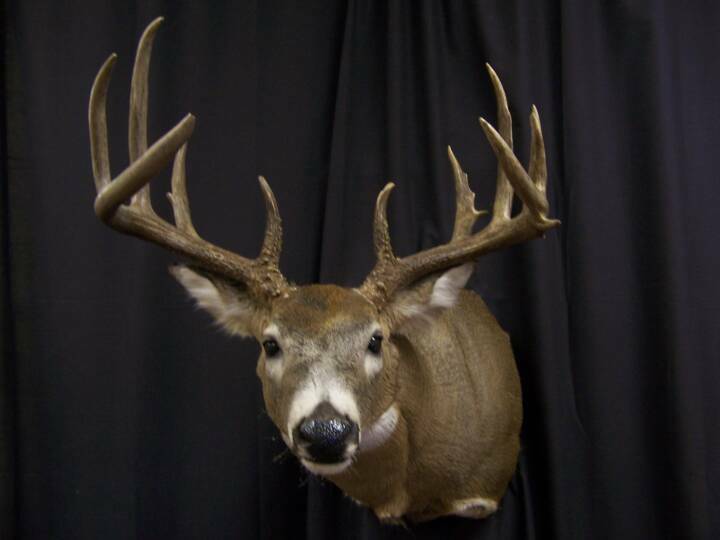 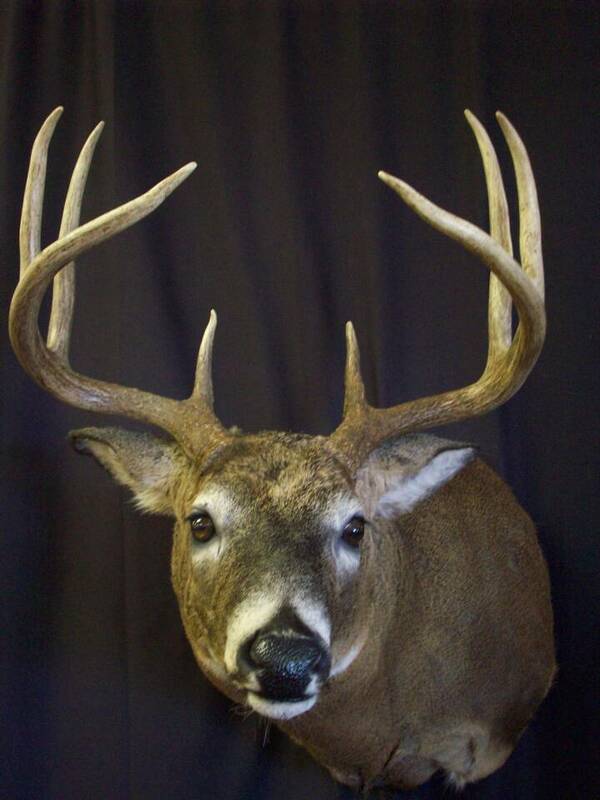 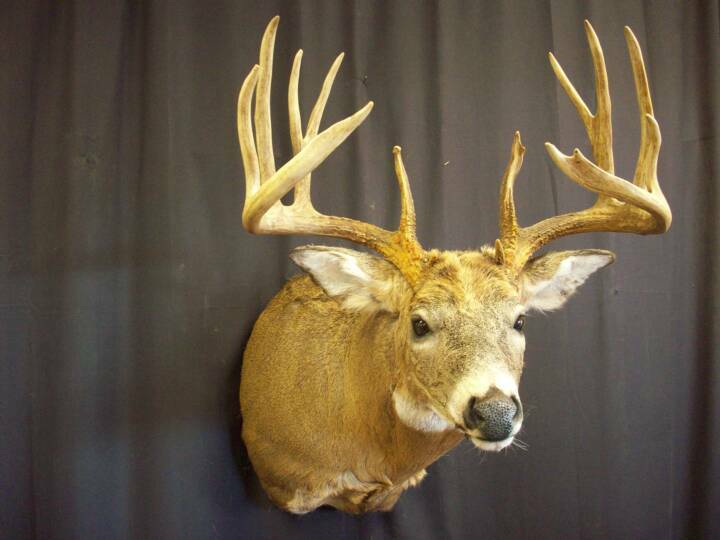 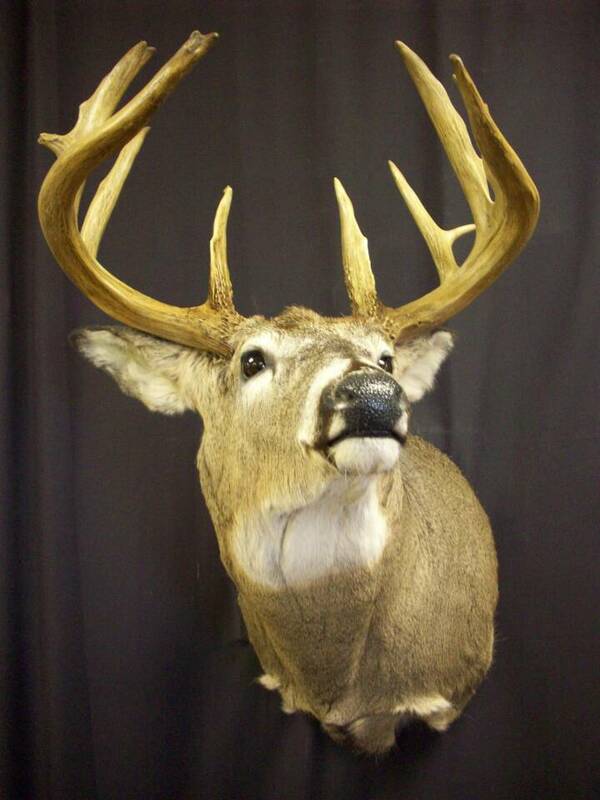 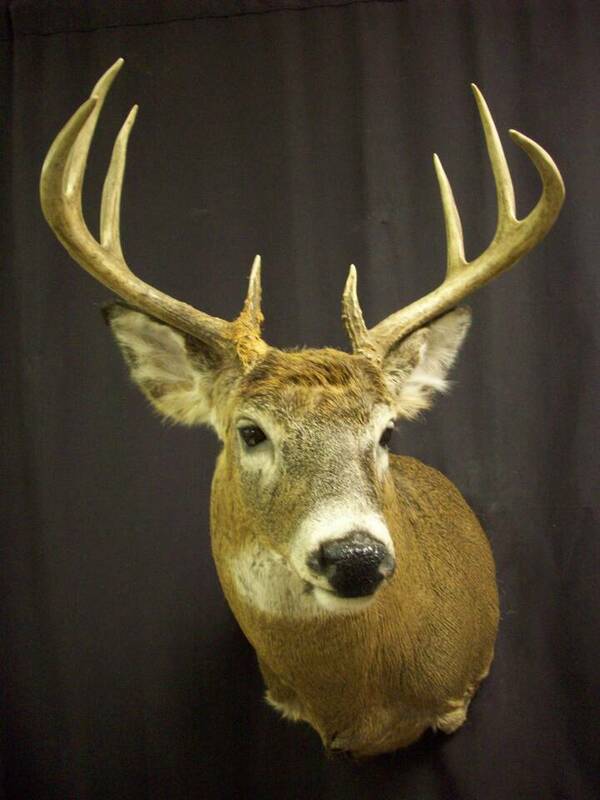 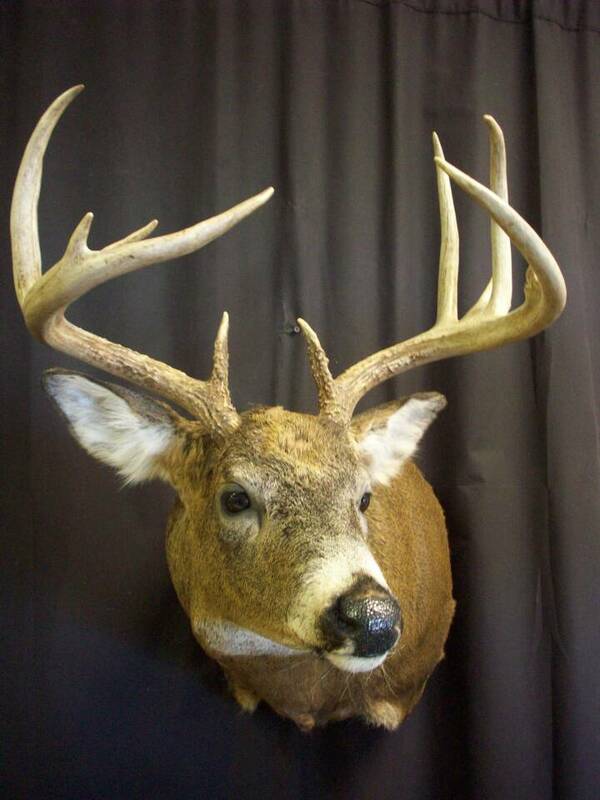 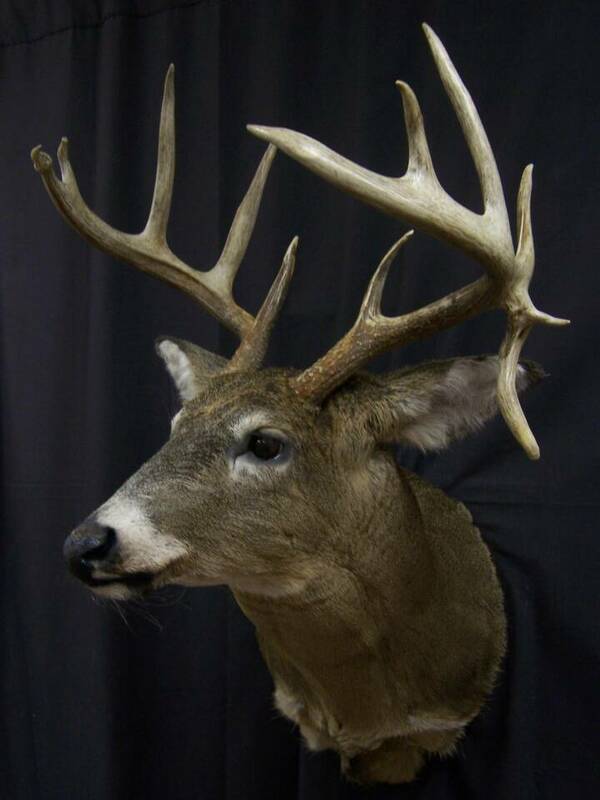 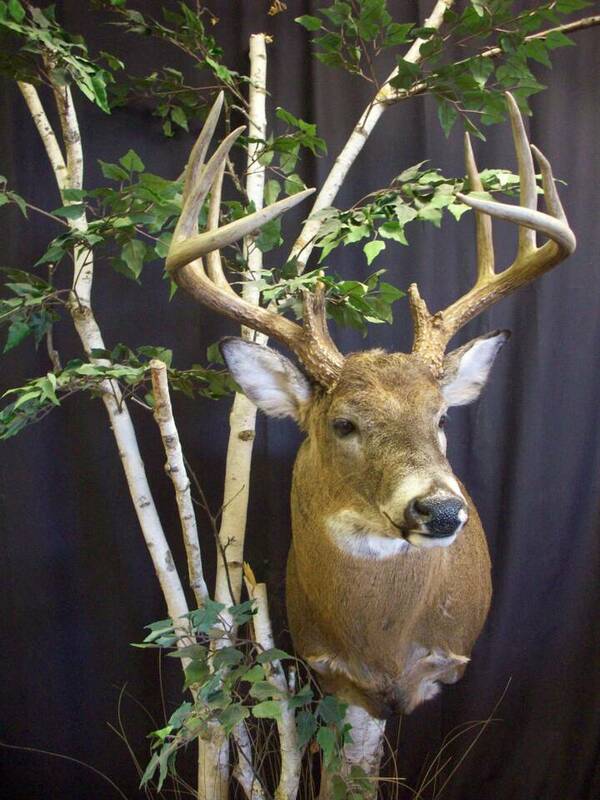 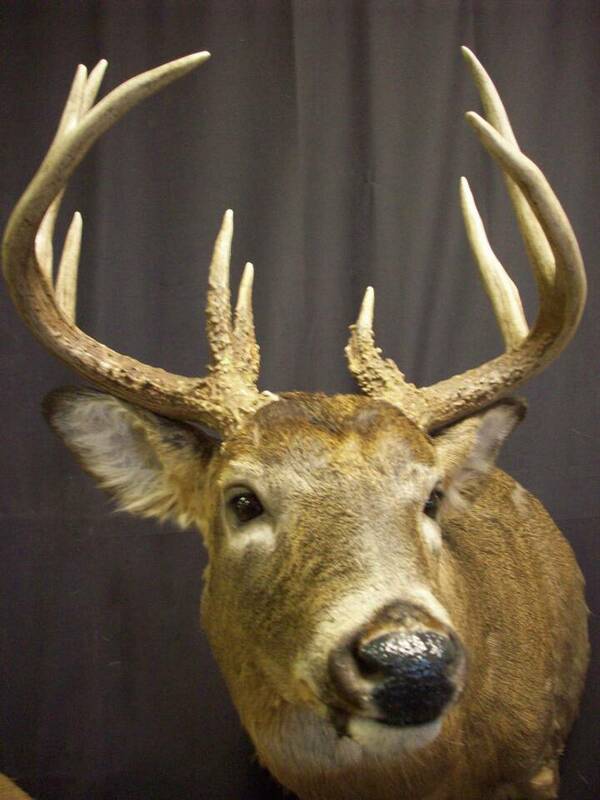 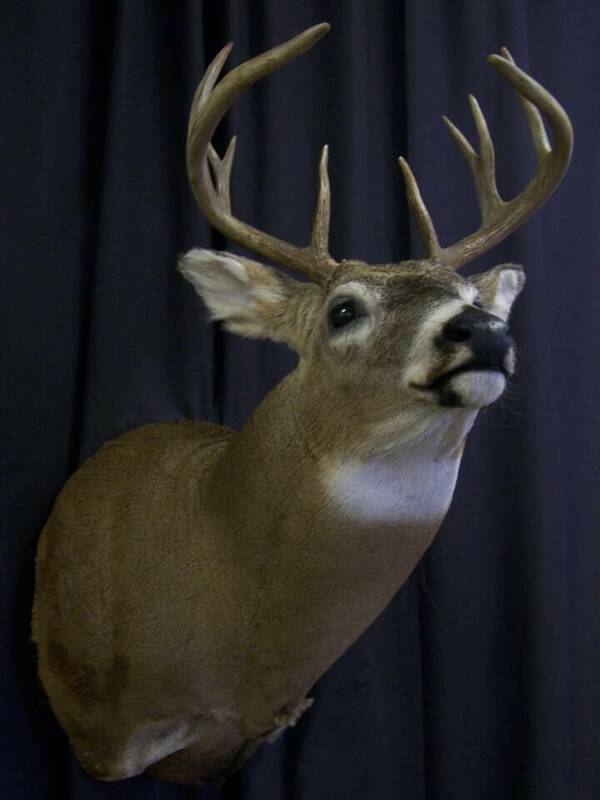 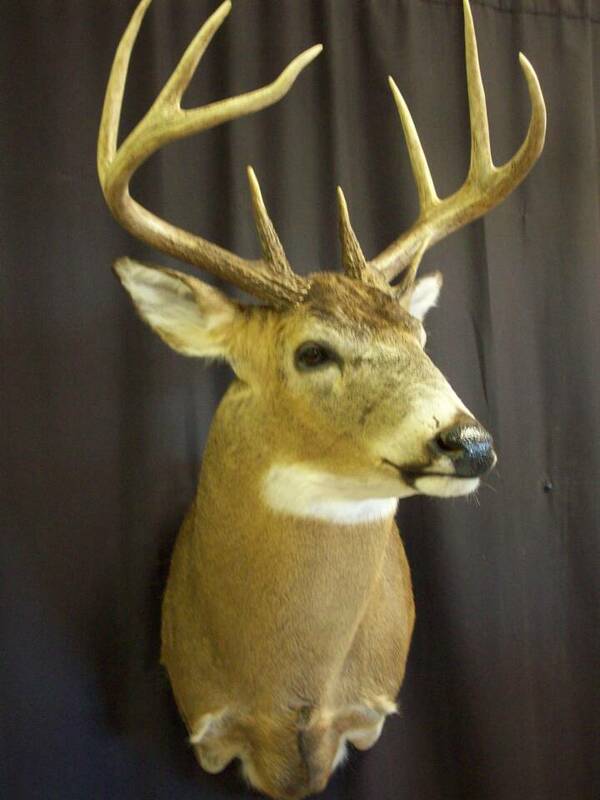 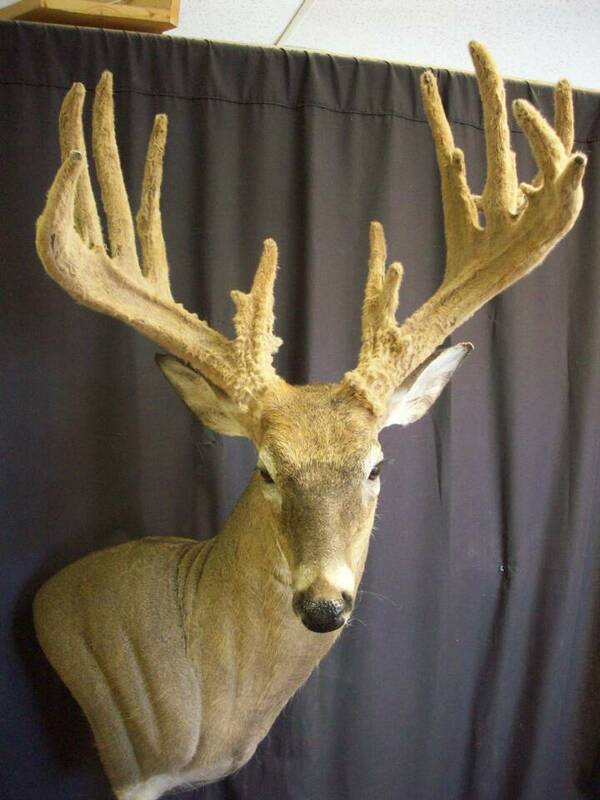 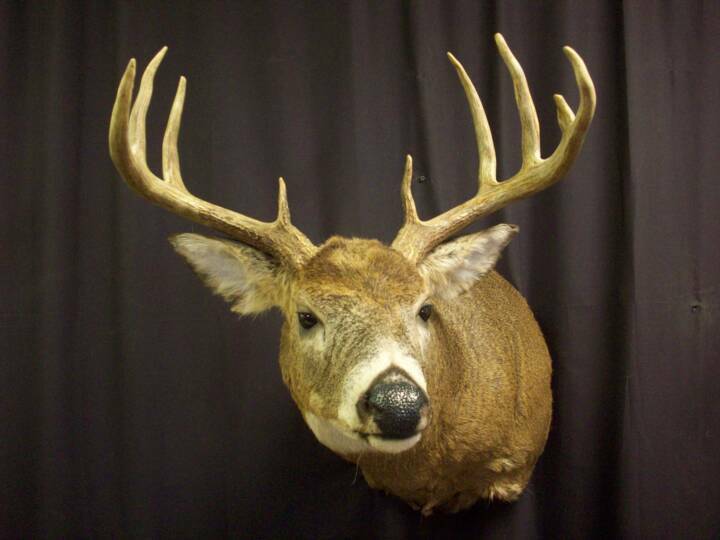 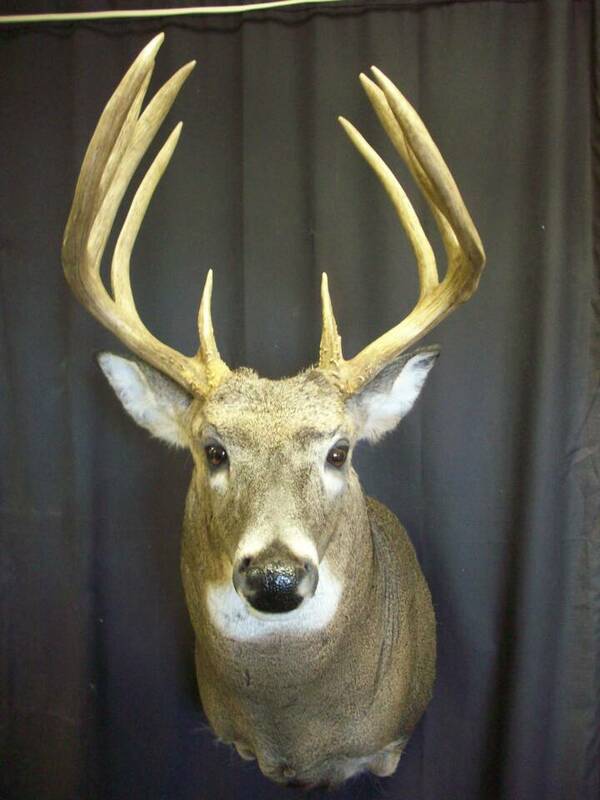 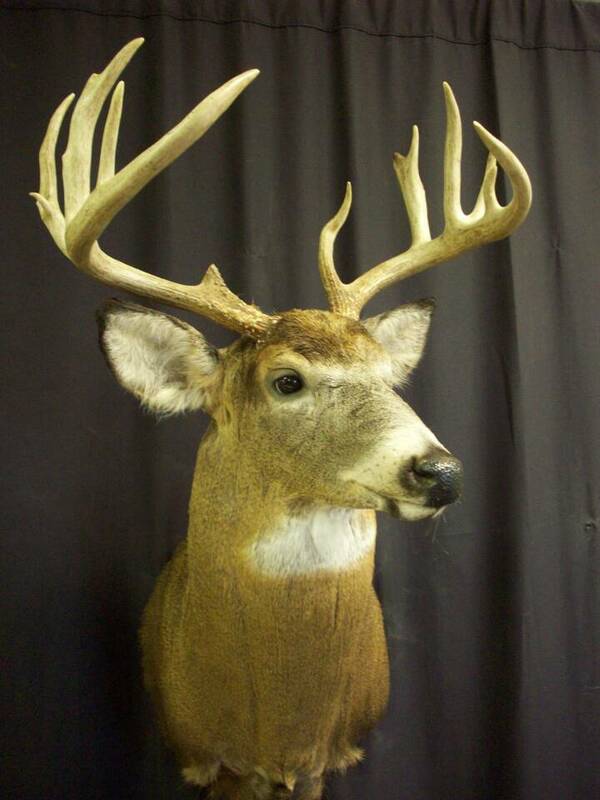 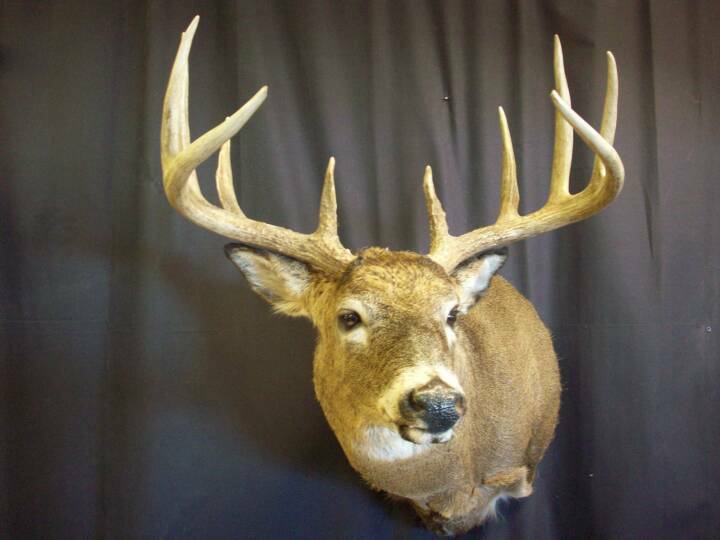 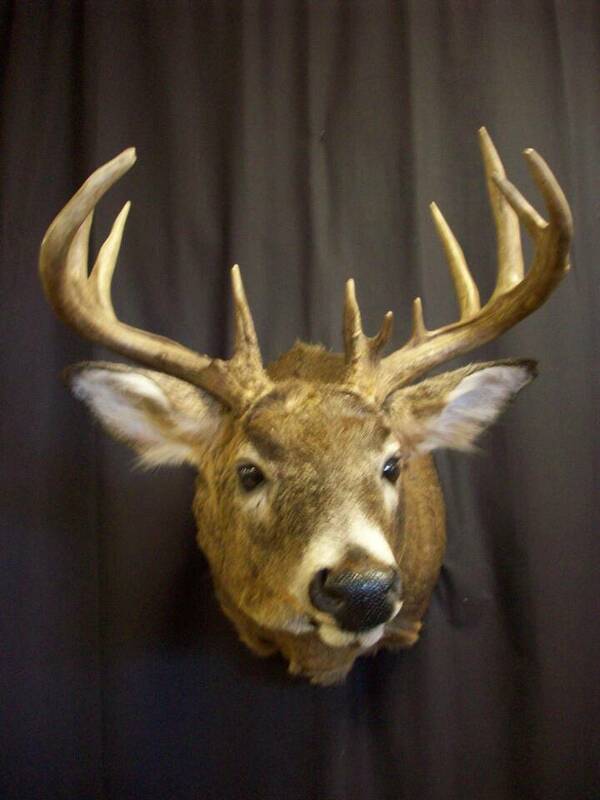 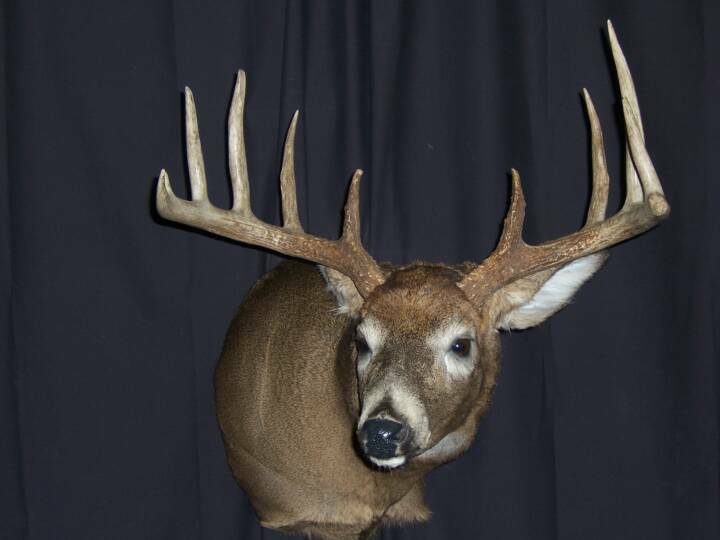 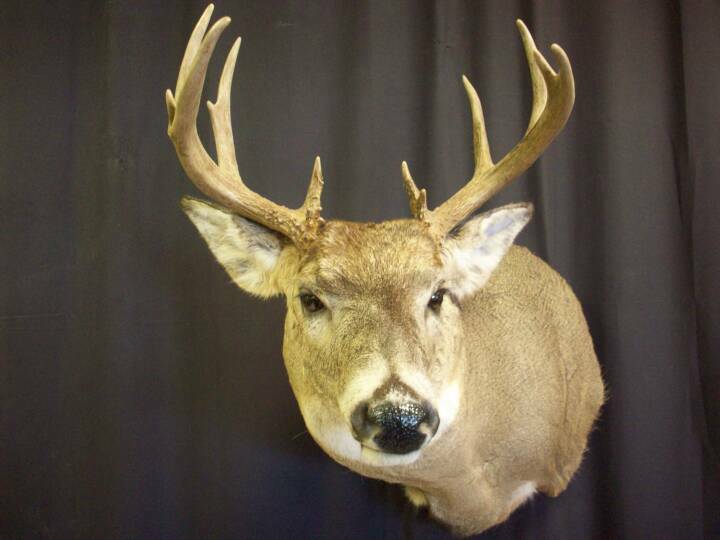 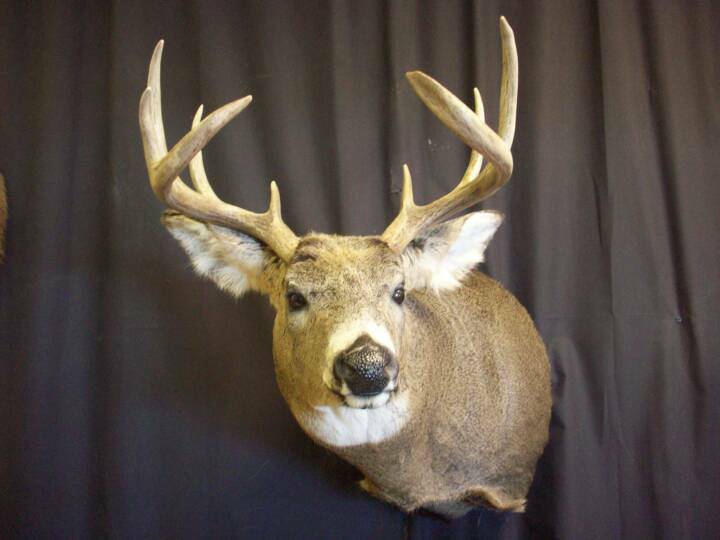 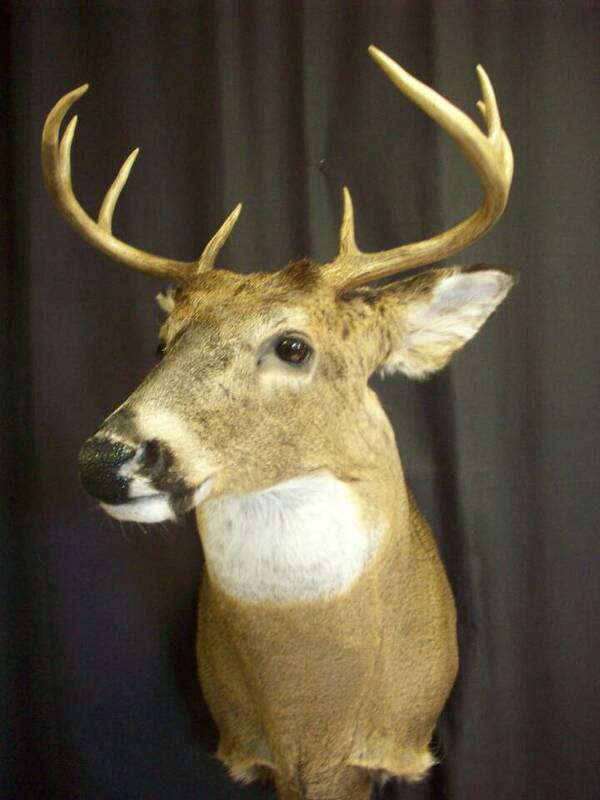 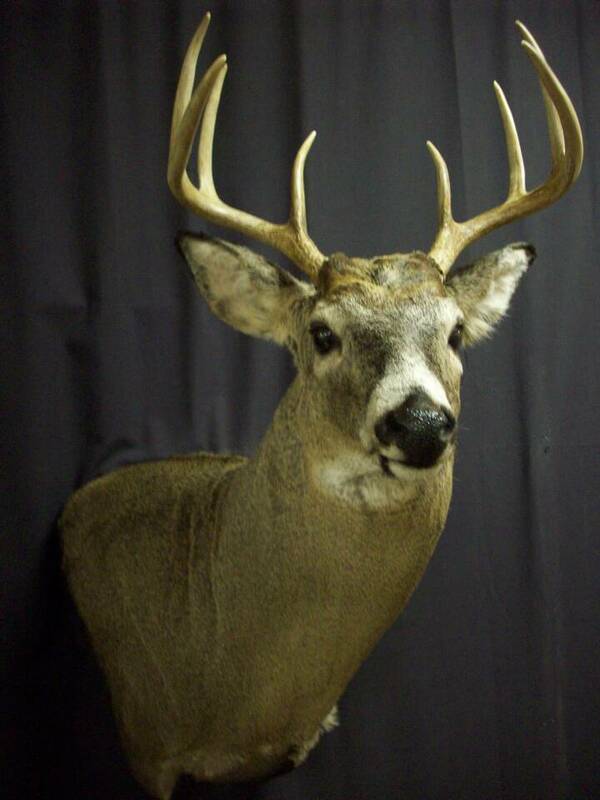 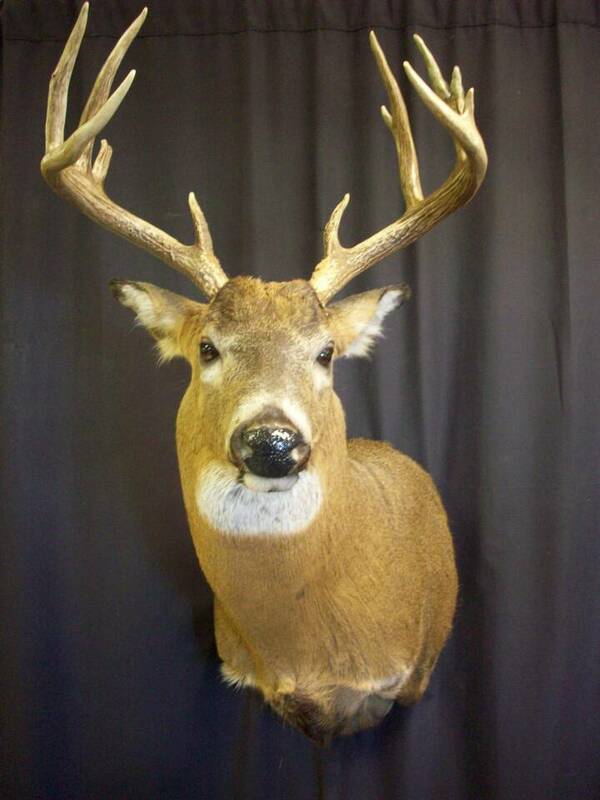 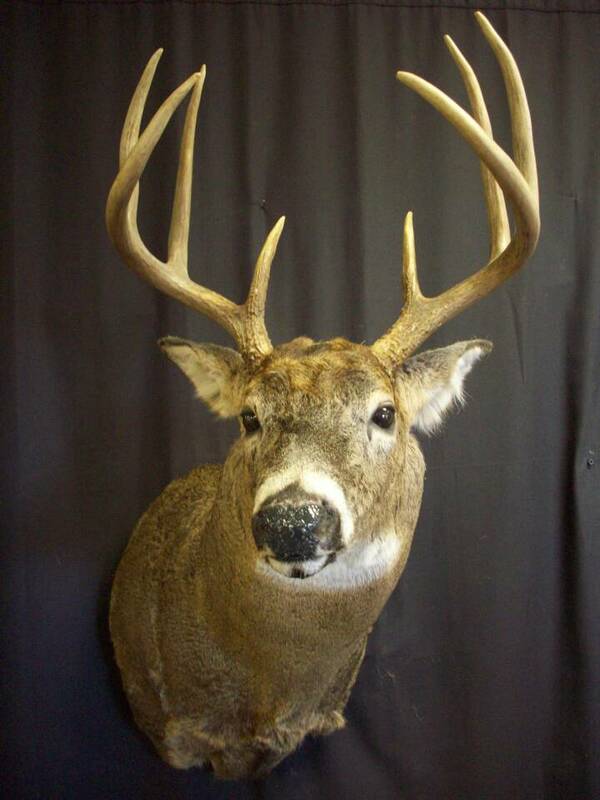 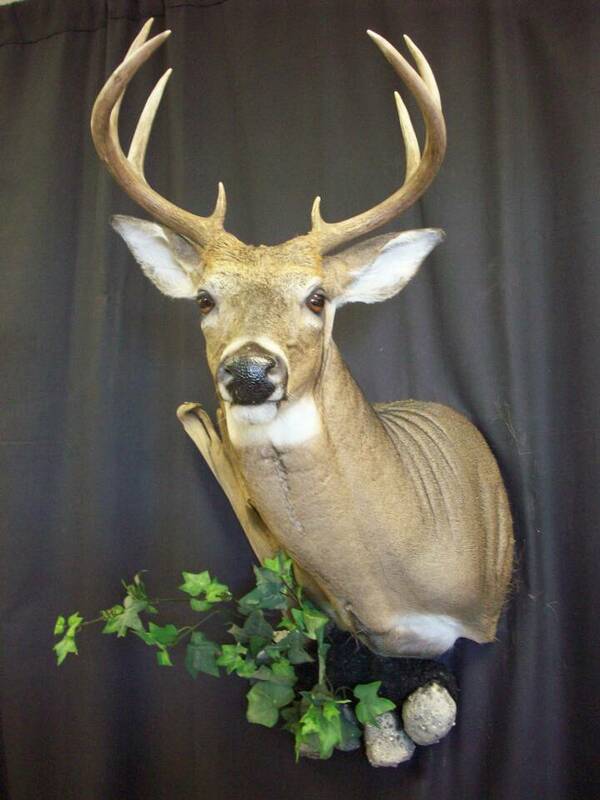 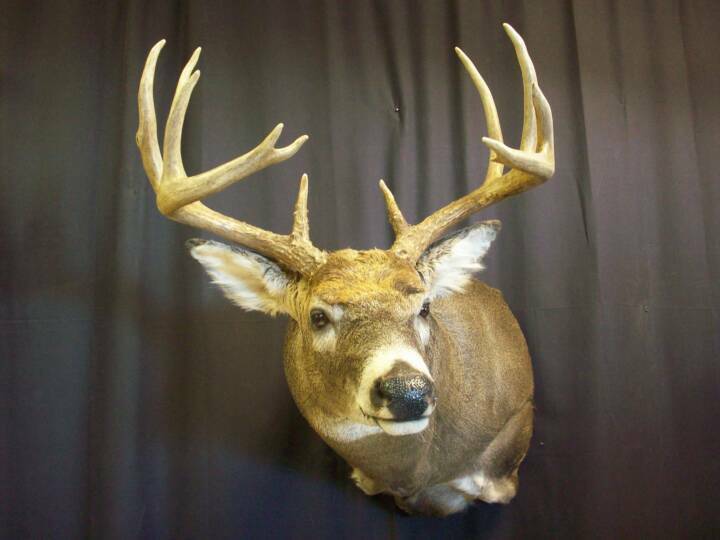 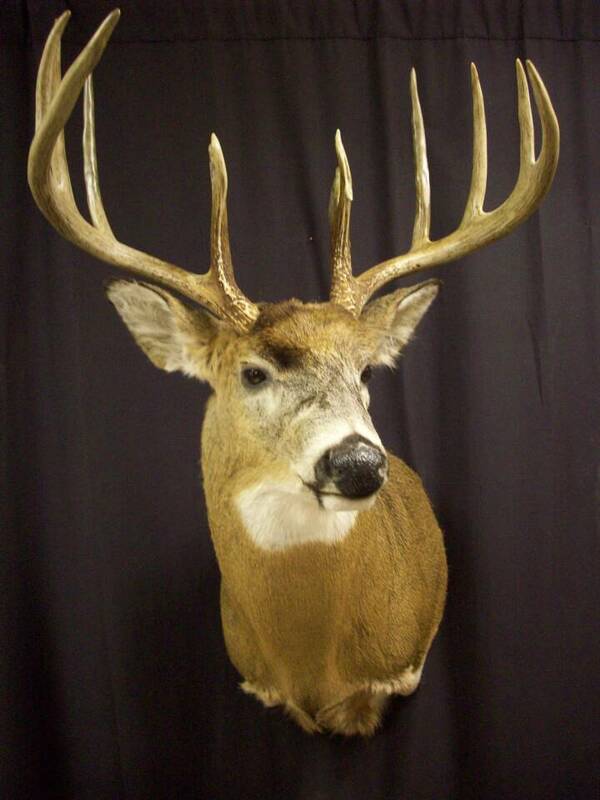 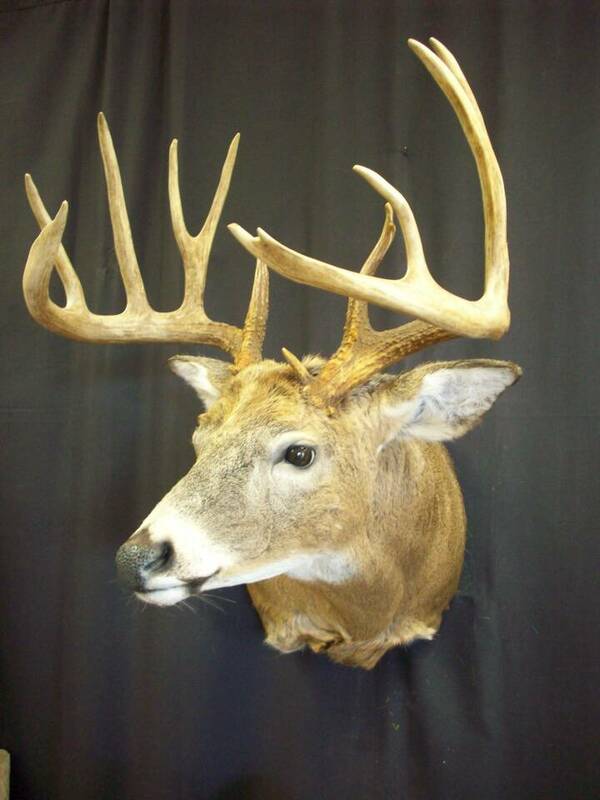 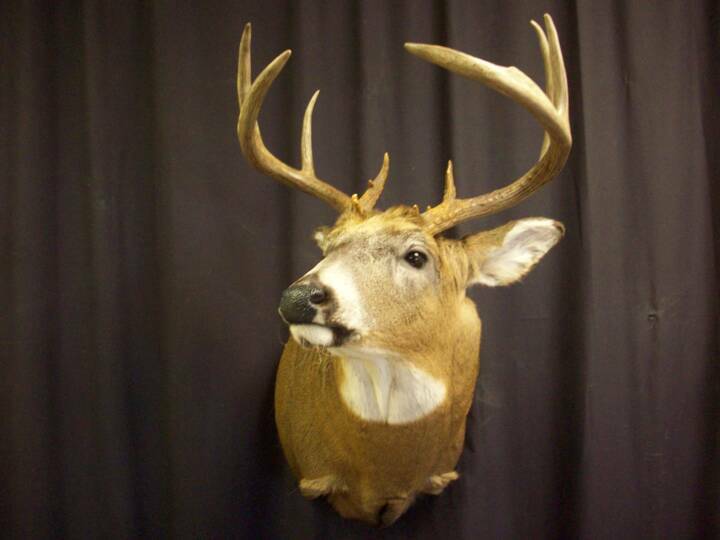 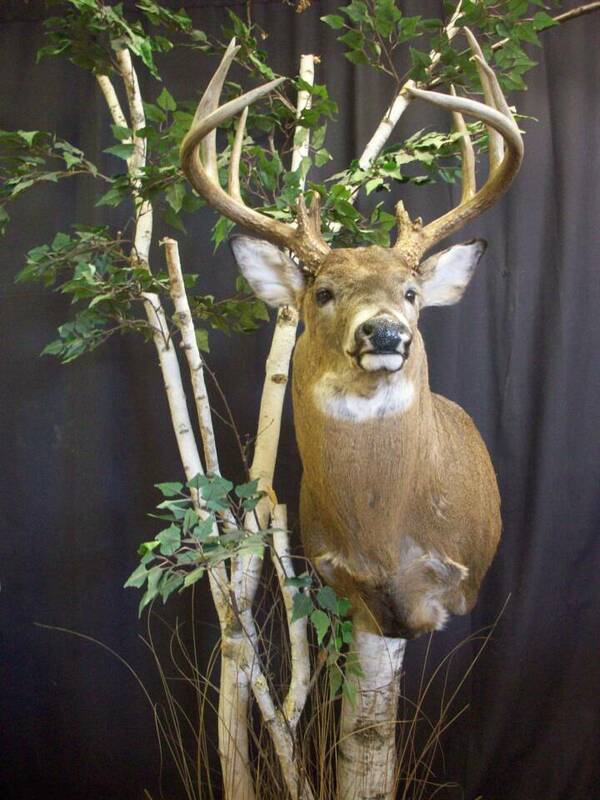 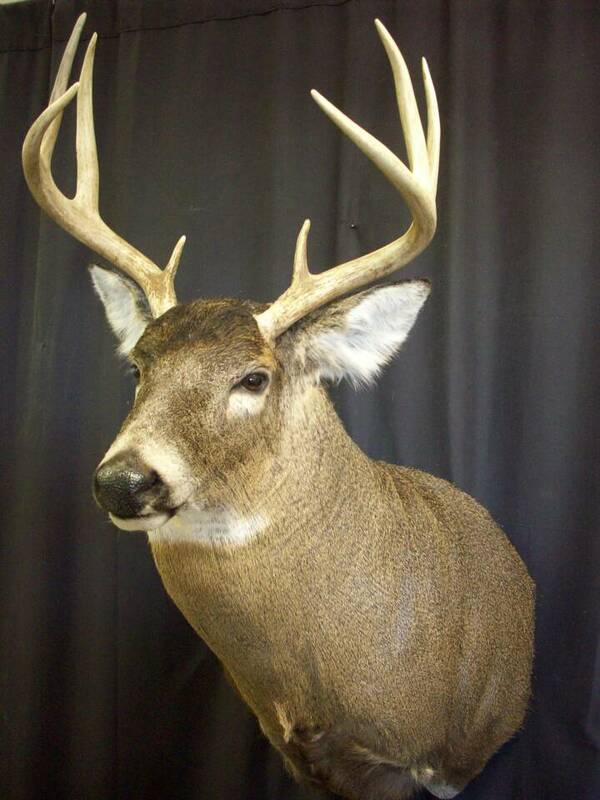 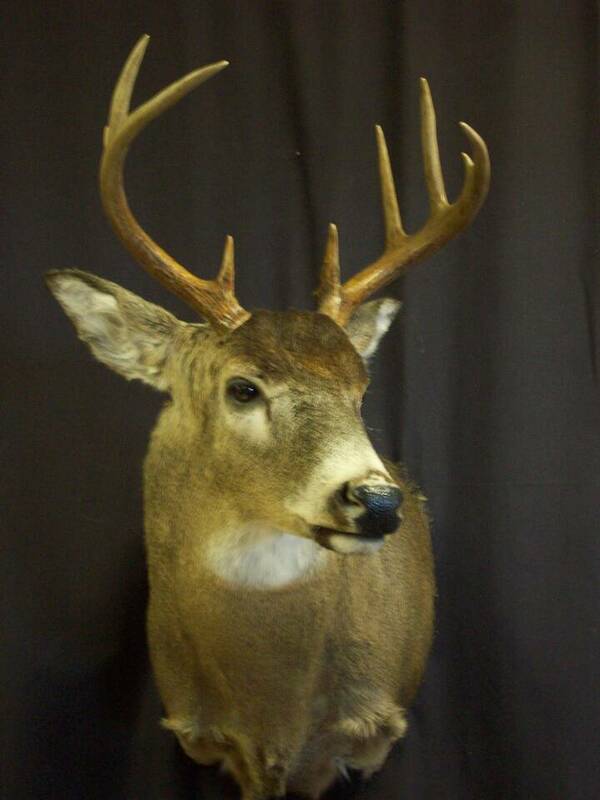 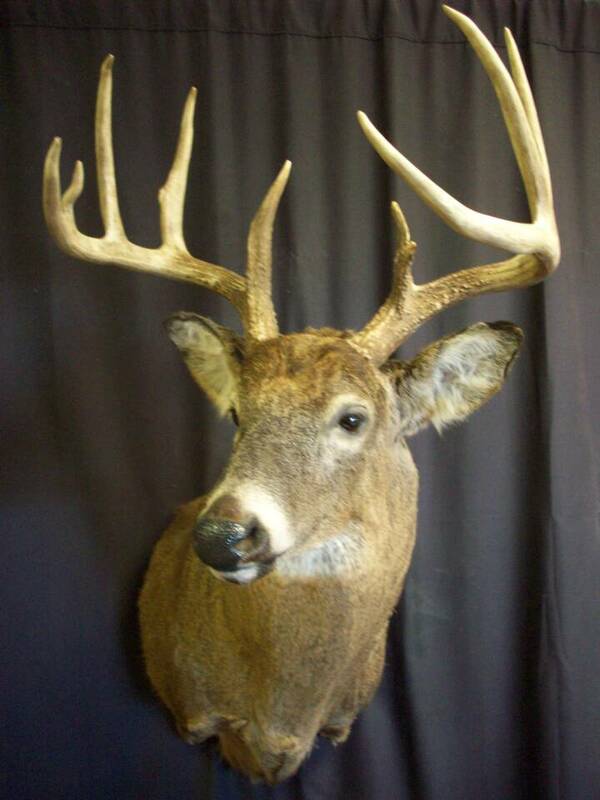 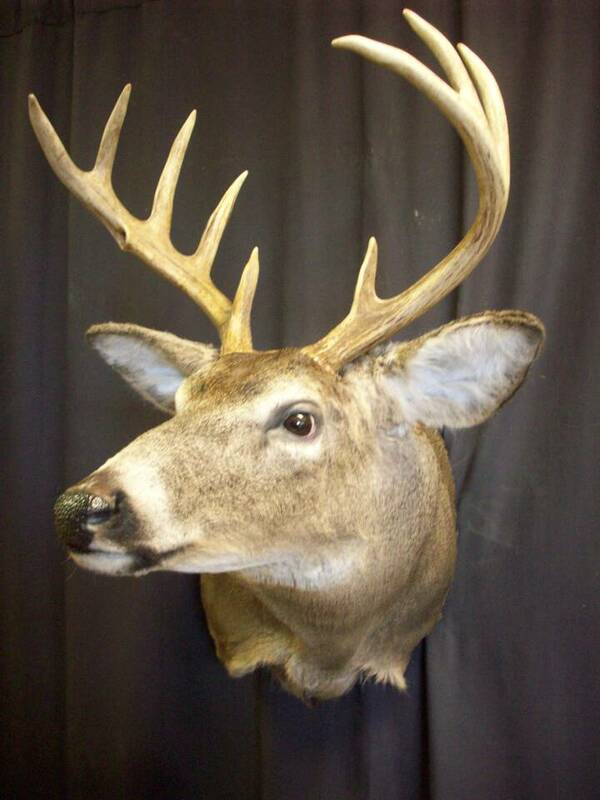 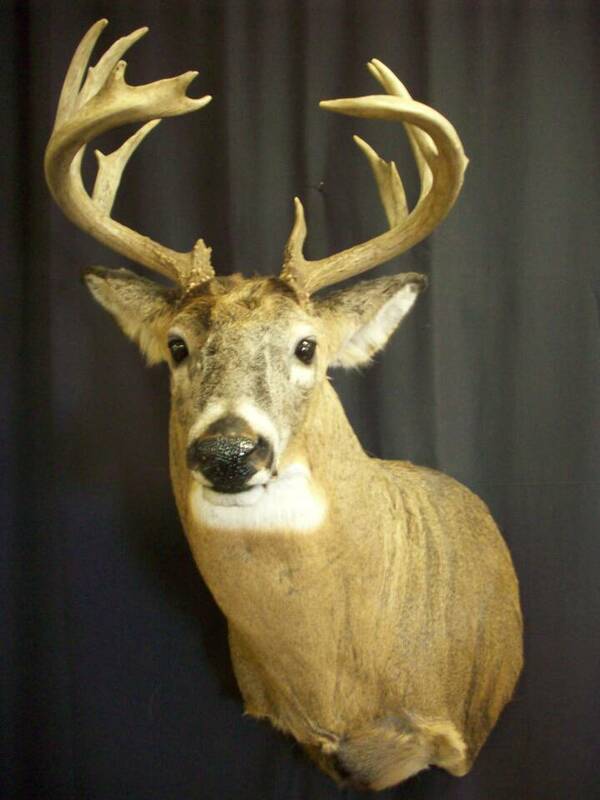 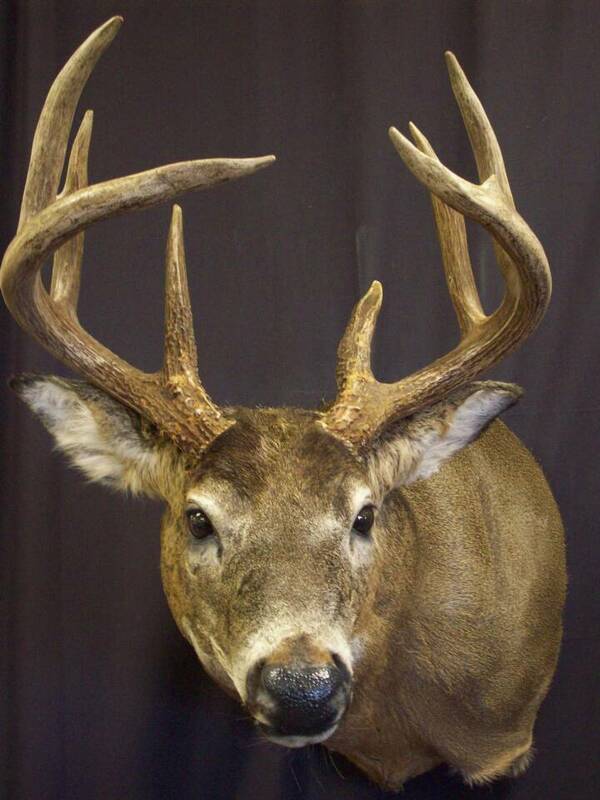 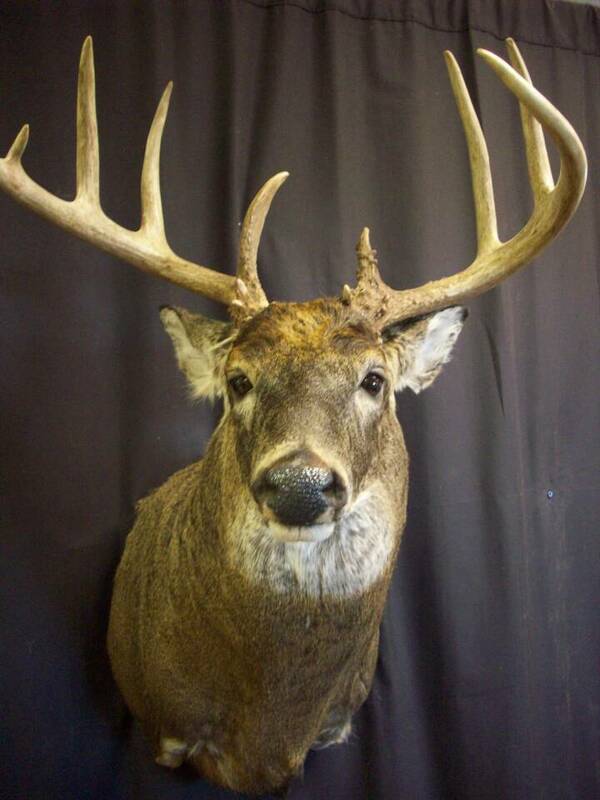 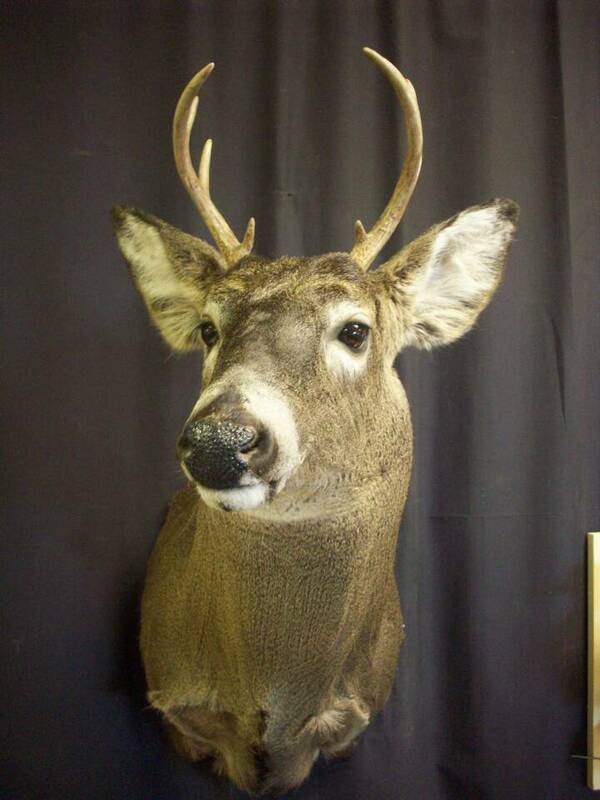 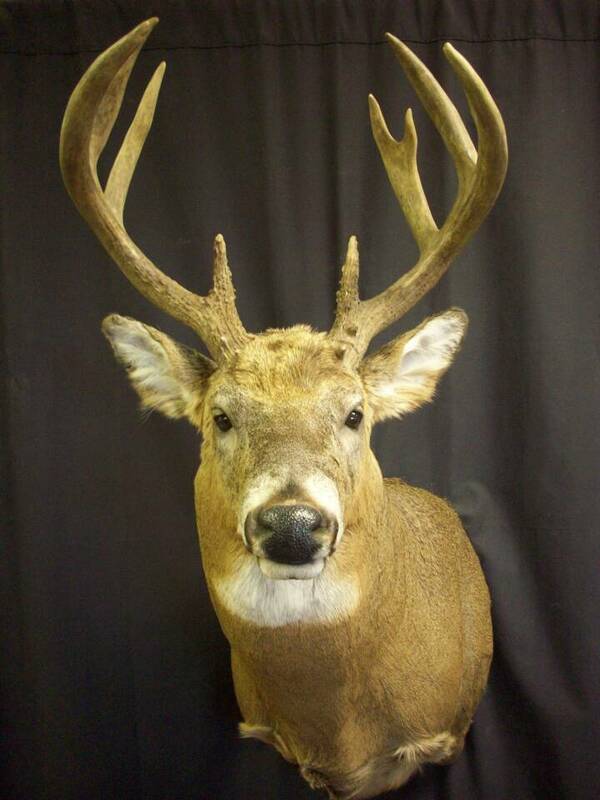 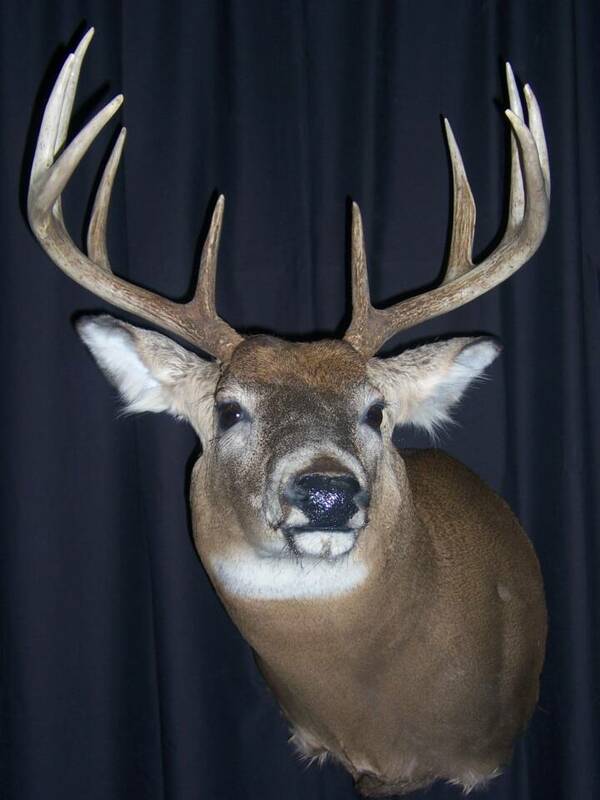 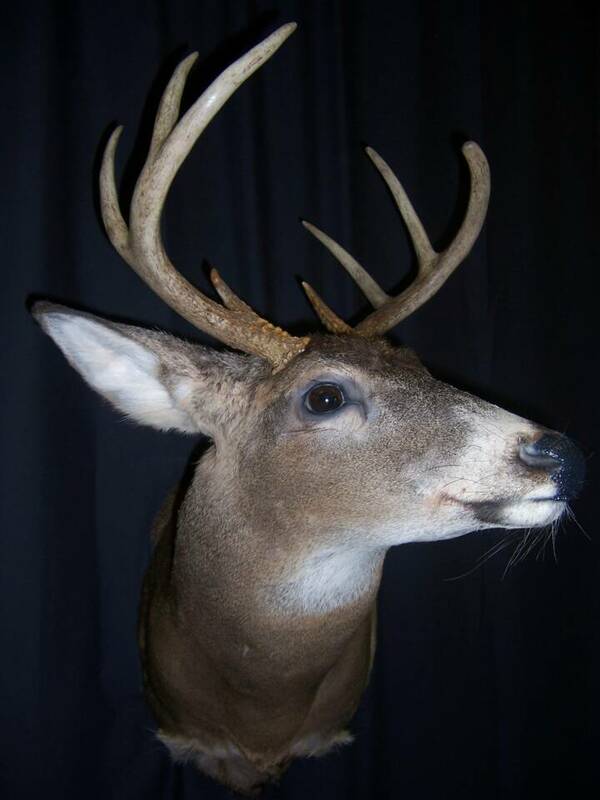 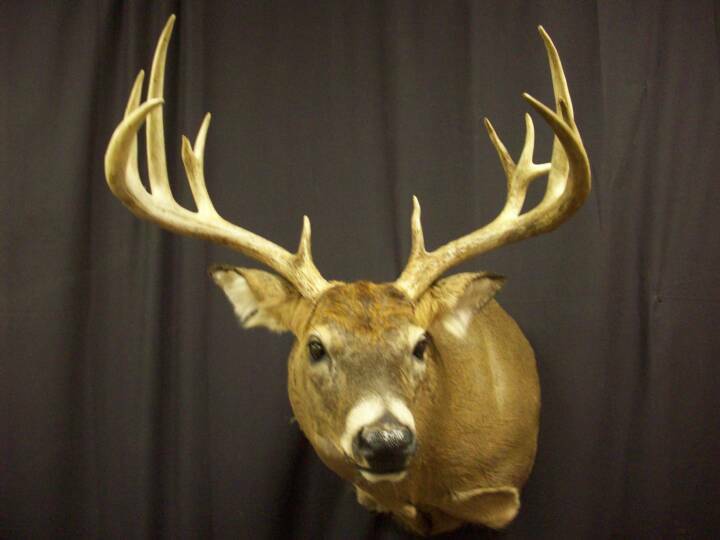 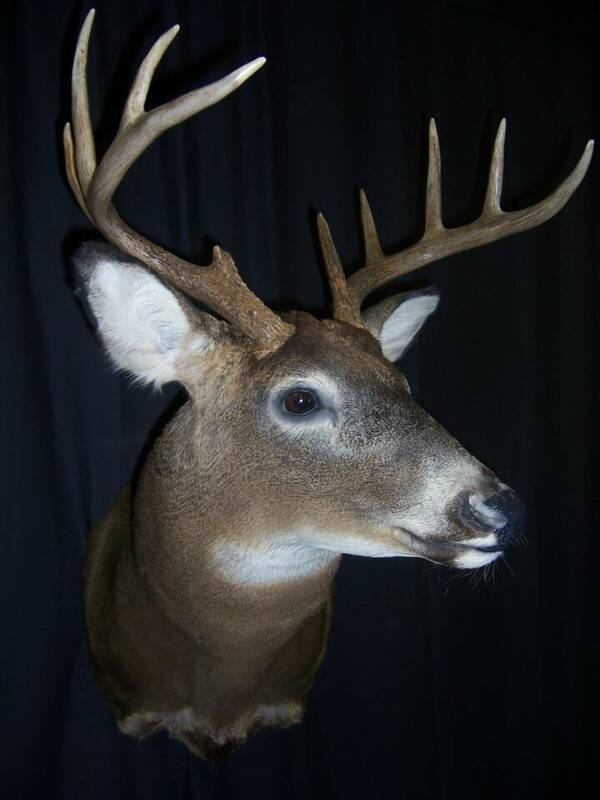 I have dedicated this entire web page to just Whitetails, 150 of them to be exact.Irregardless of the size of your Trophy I am ready to provide you with a quality deer mount. 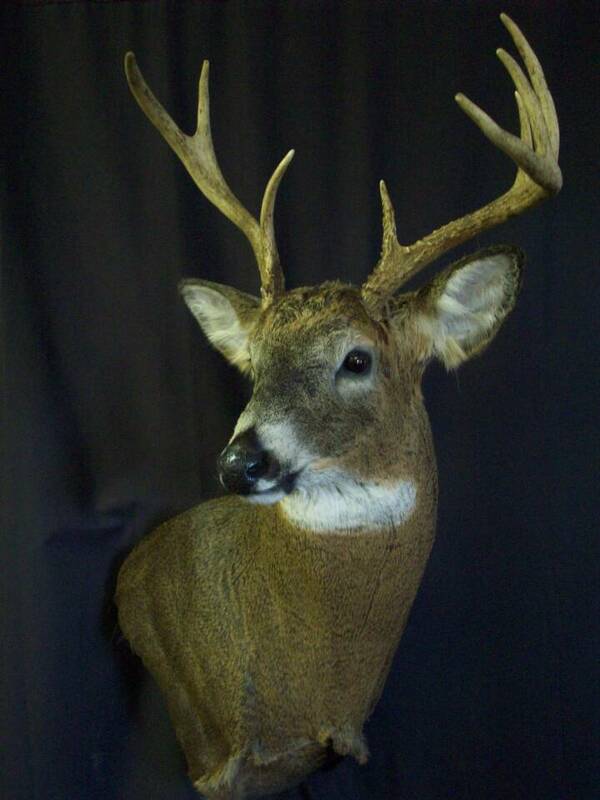 It all starts with the proper forms. 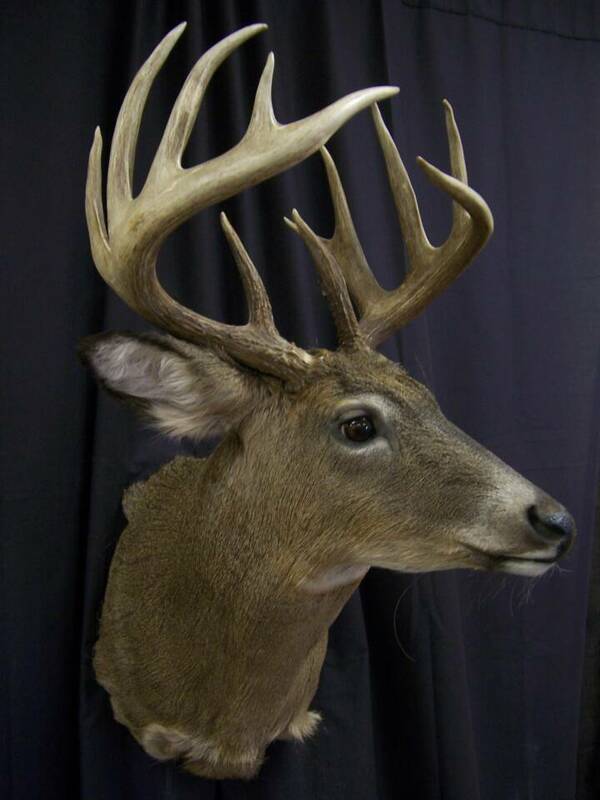 Properly measuring the deer for form selection and choosing a form that is sculpted by artists that know anatomy of Midwestern deer..Deer from Wisconsin do not share the same body shape as a whitetail from Texas and forms need to be selected accordingly. 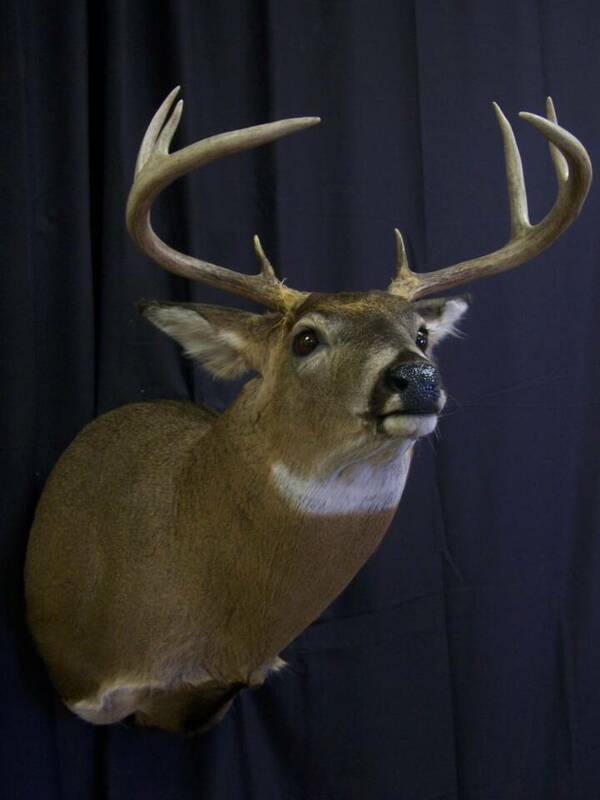 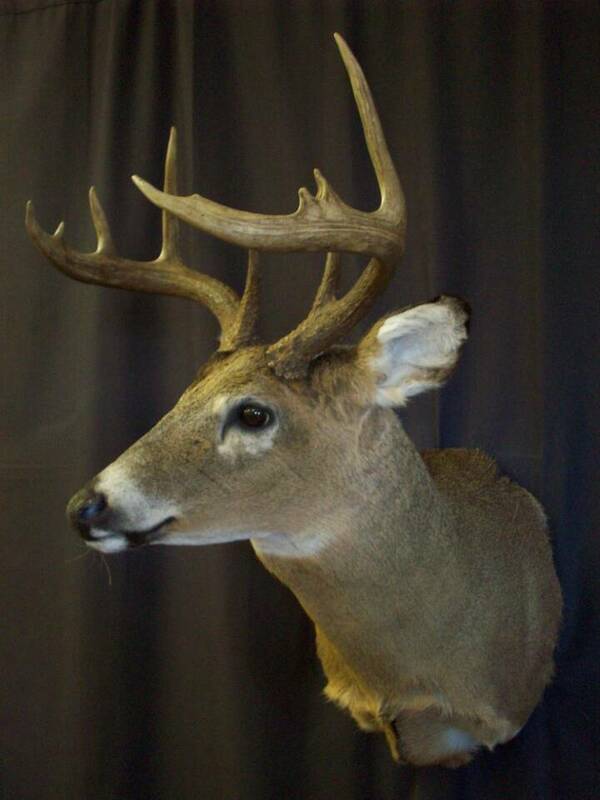 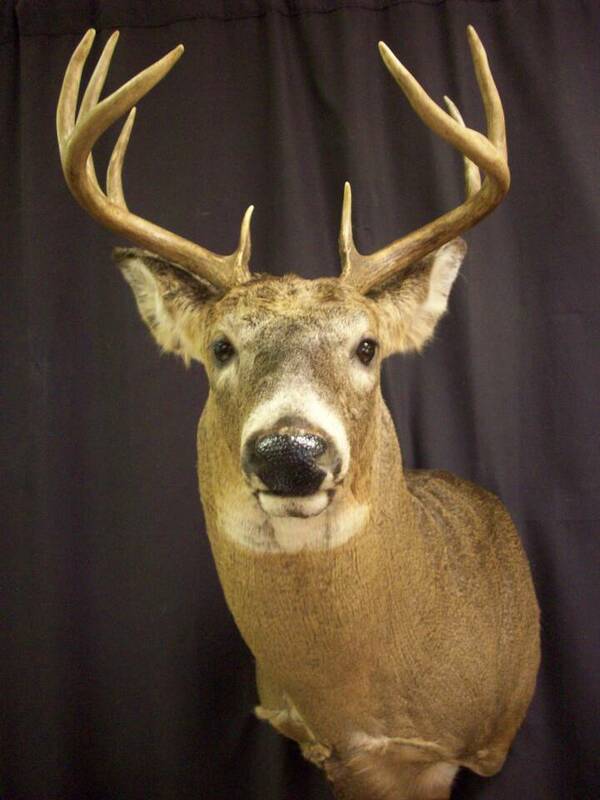 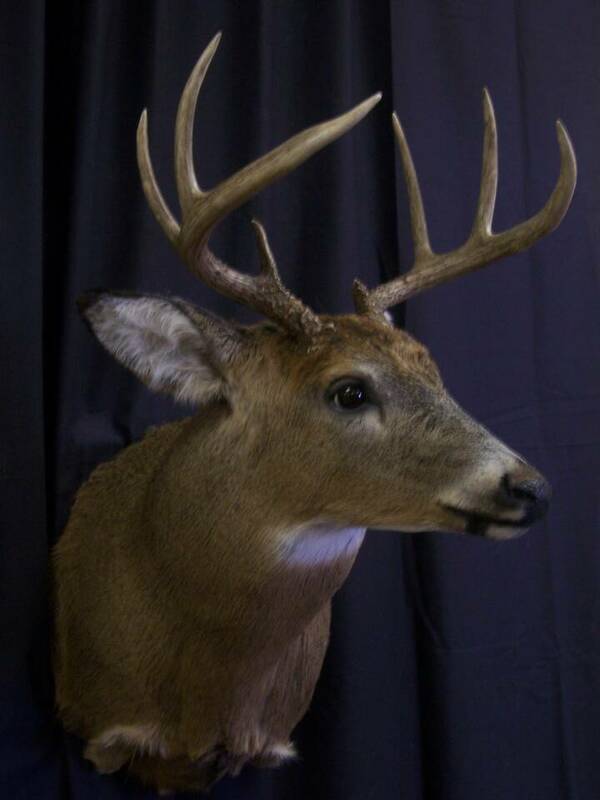 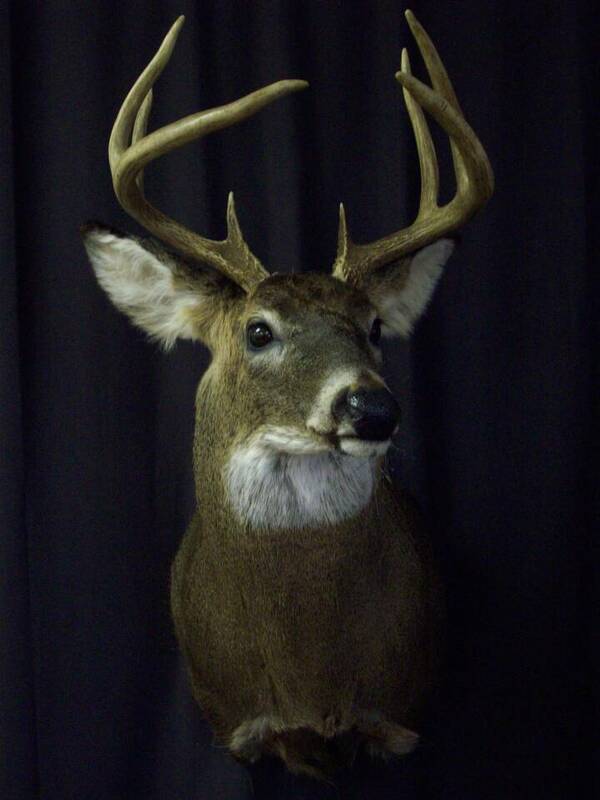 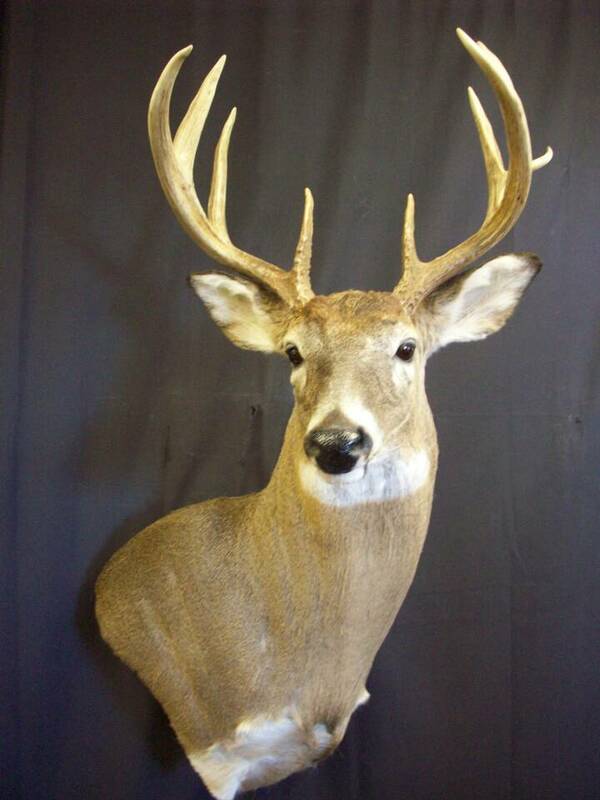 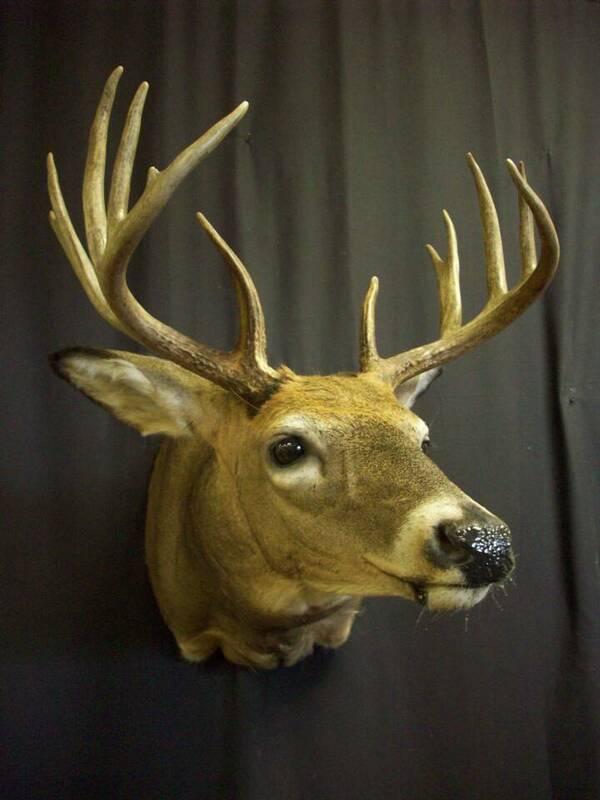 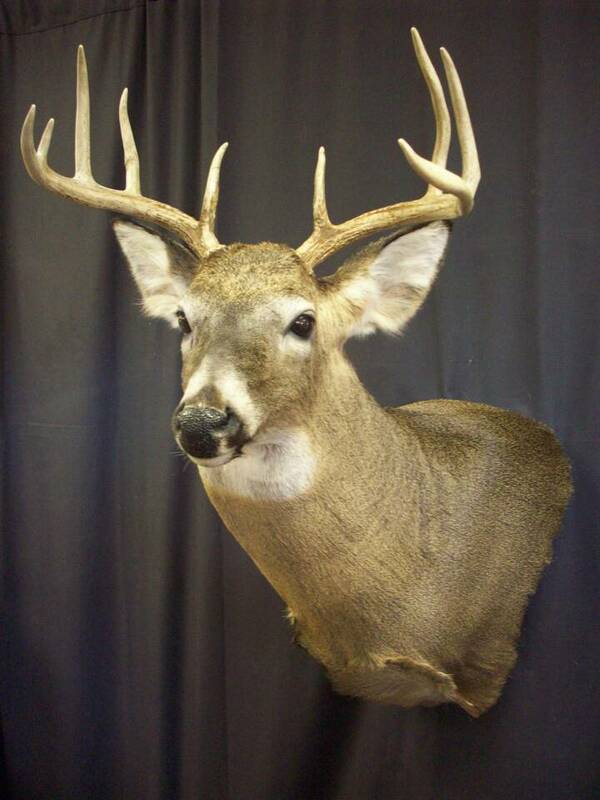 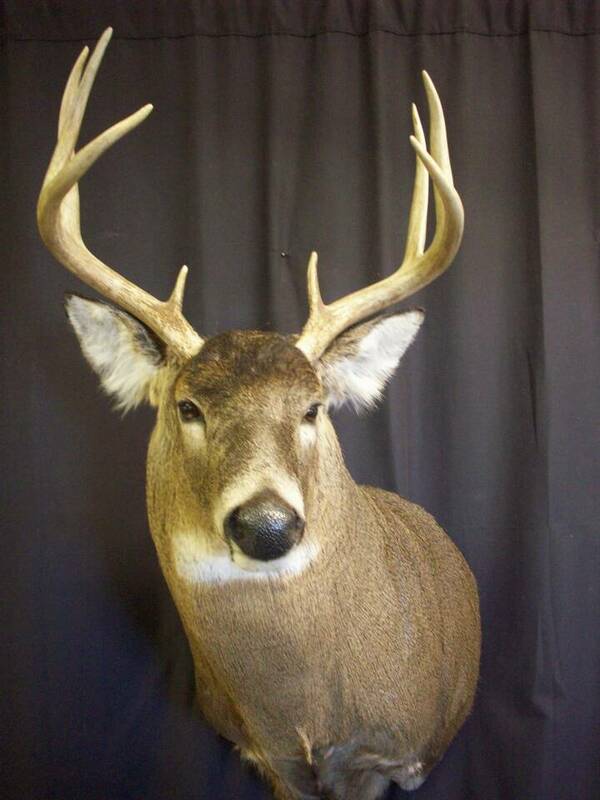 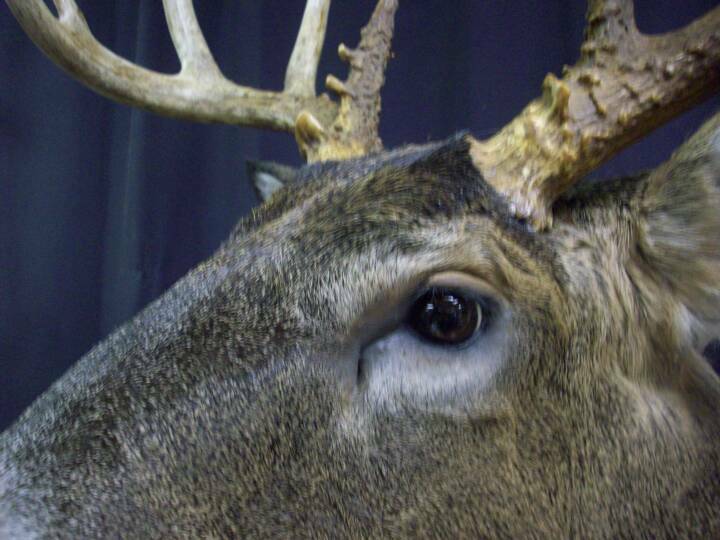 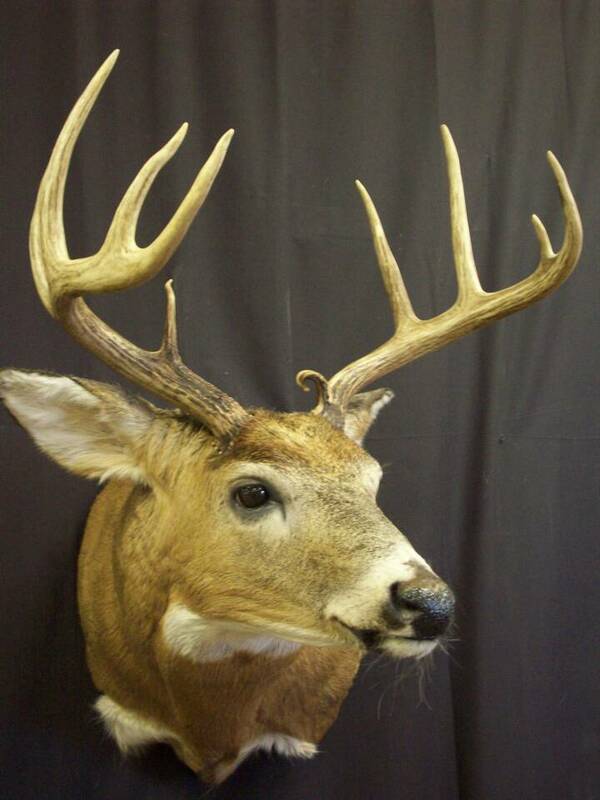 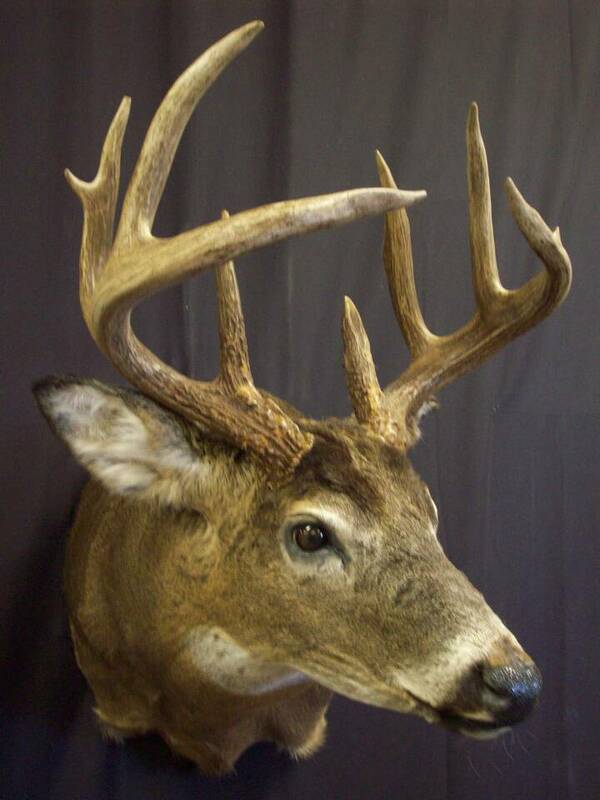 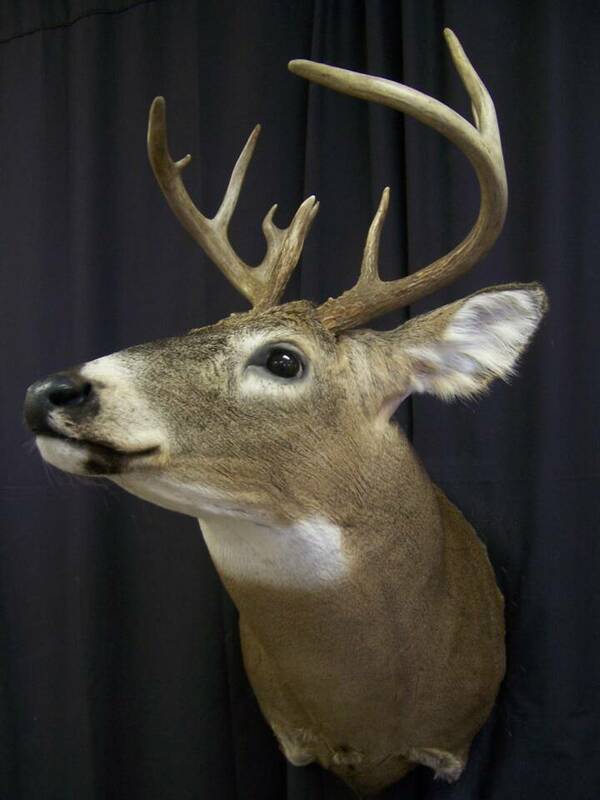 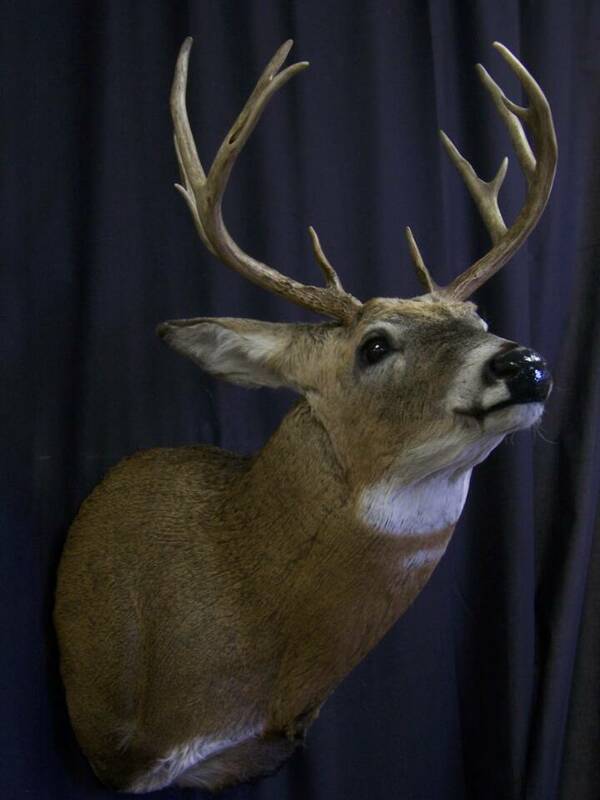 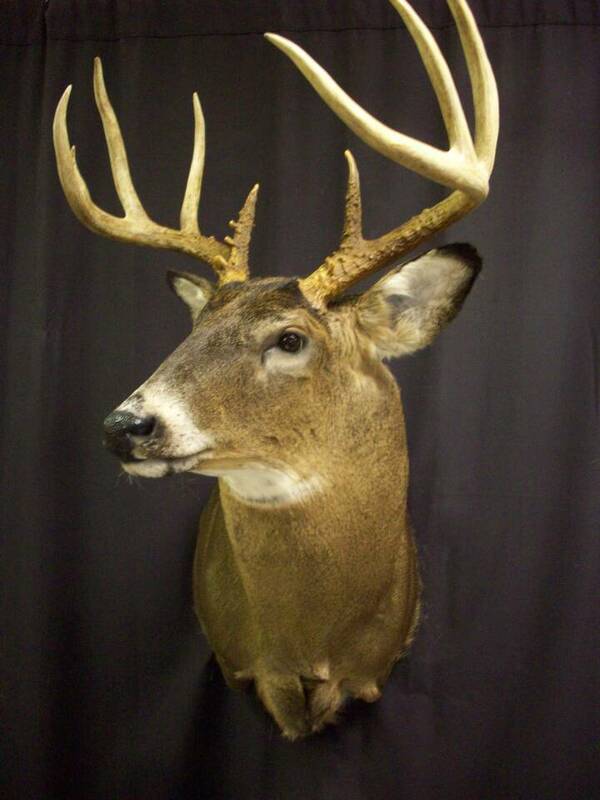 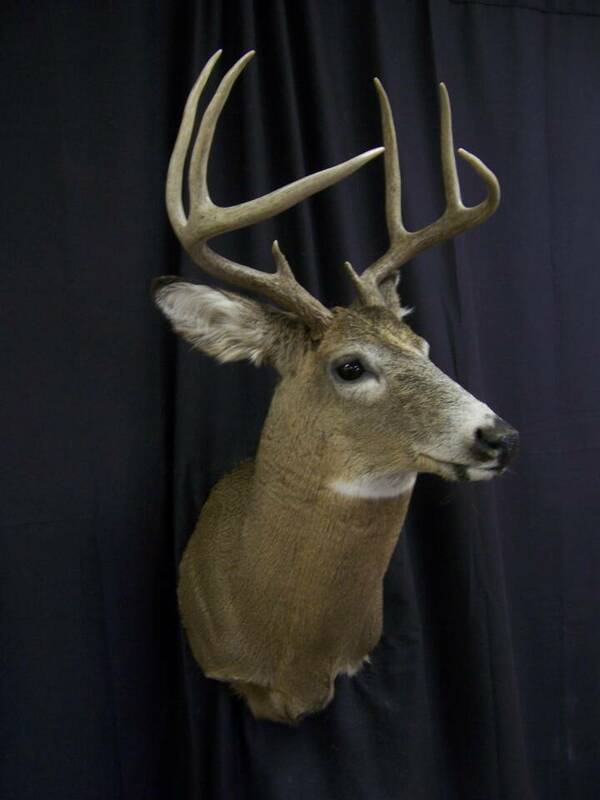 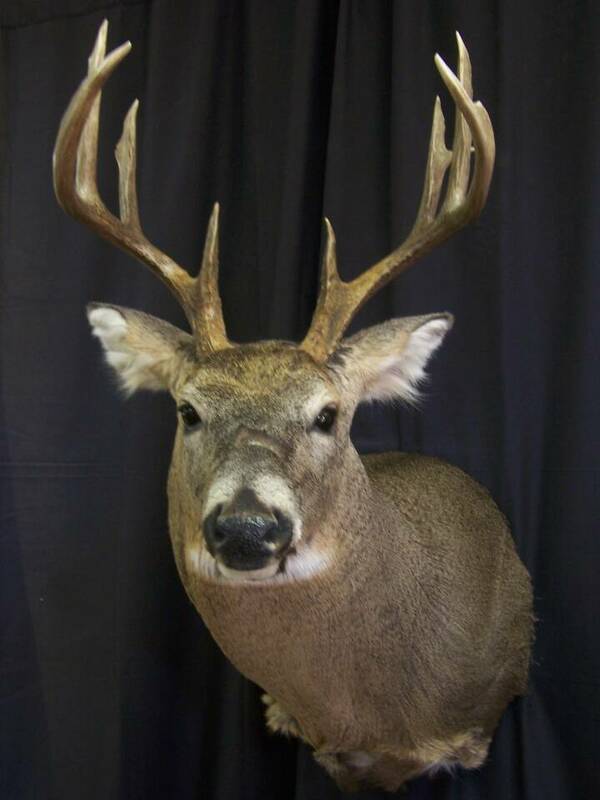 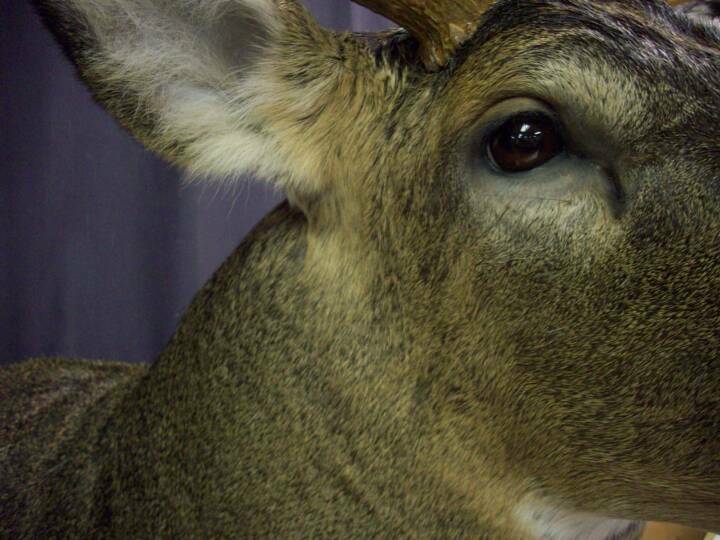 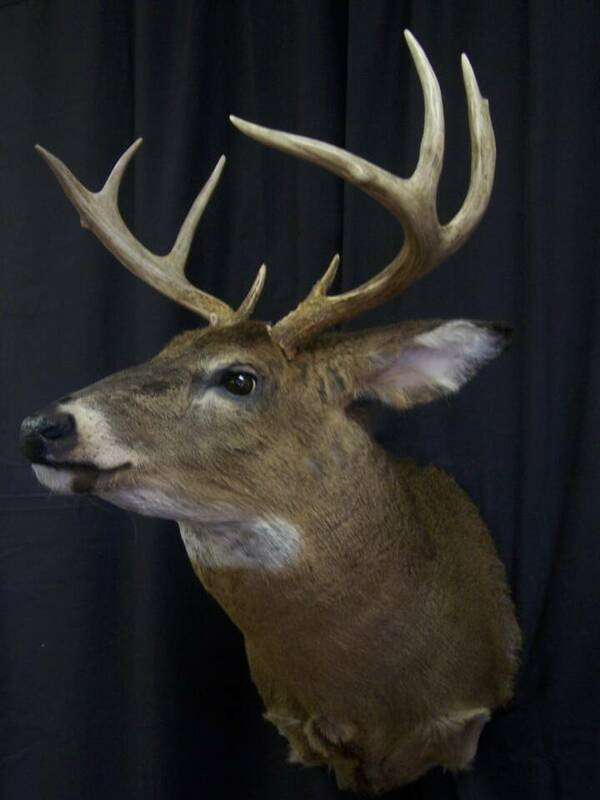 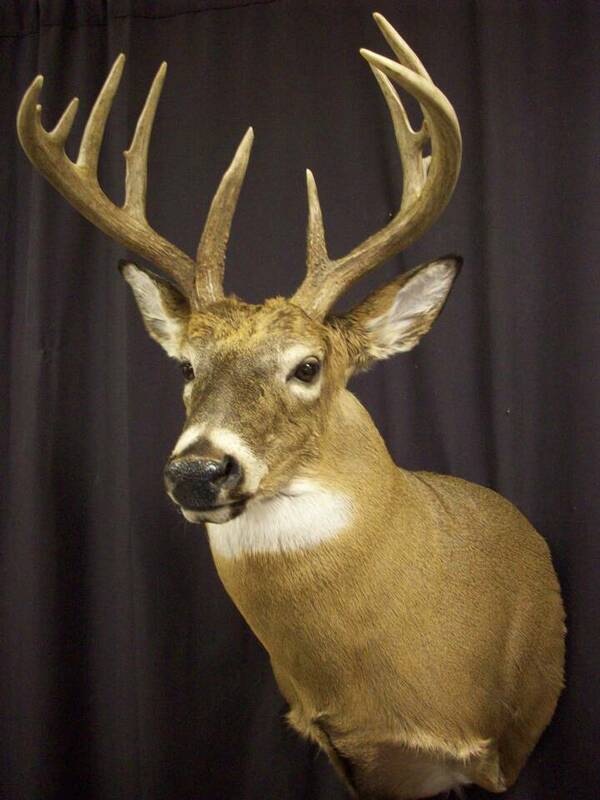 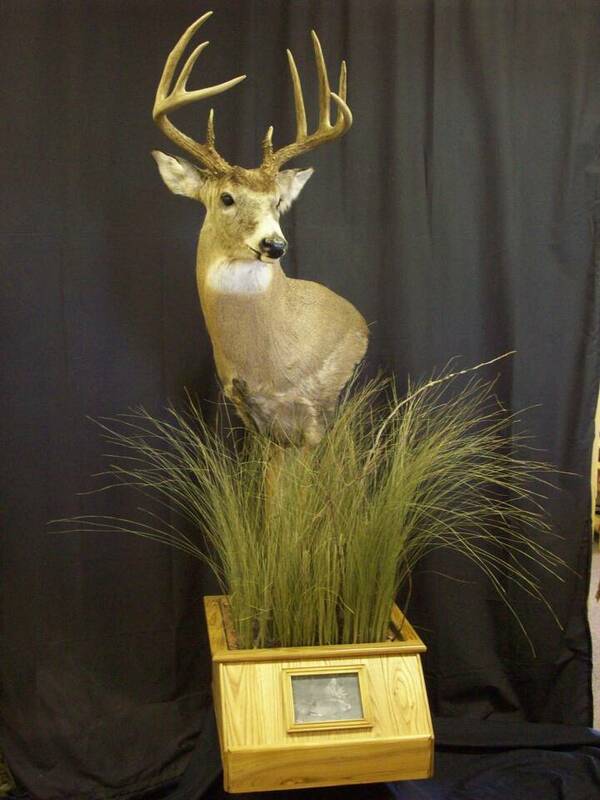 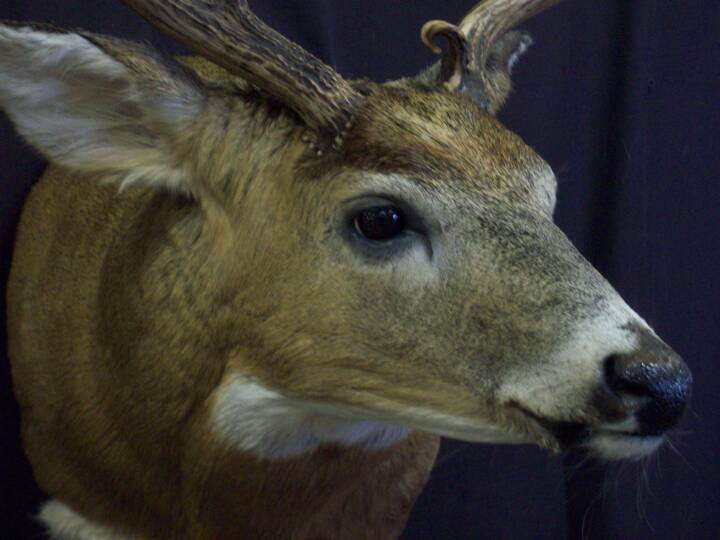 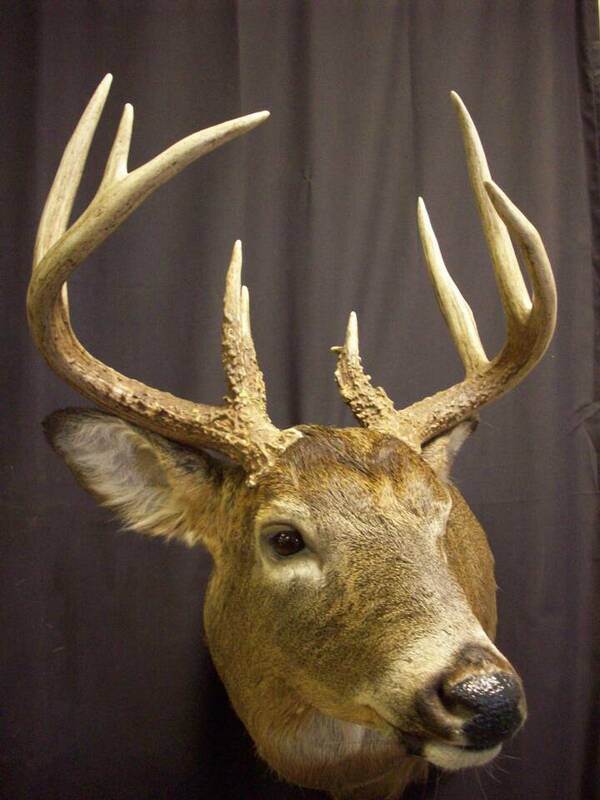 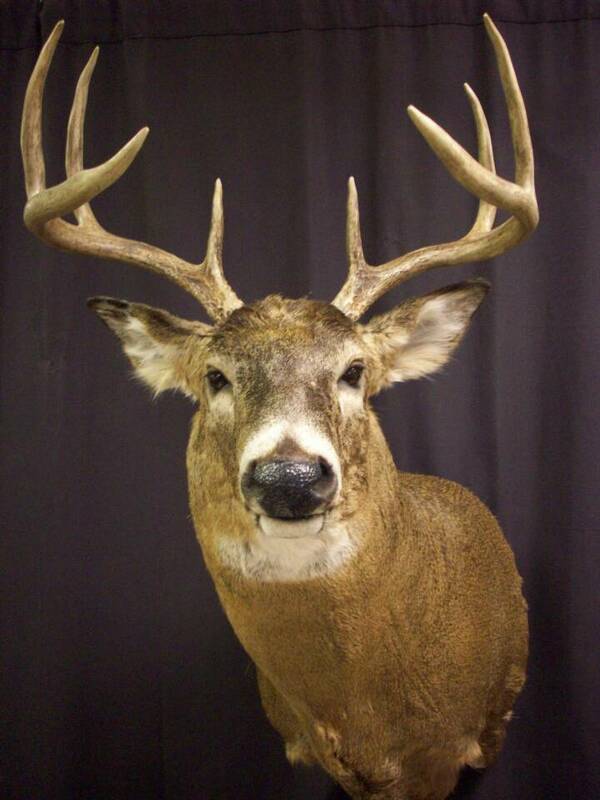 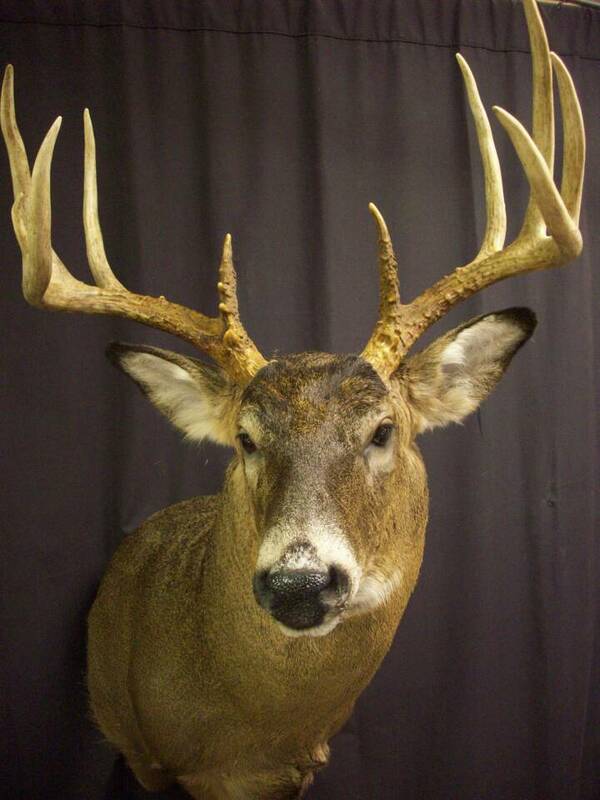 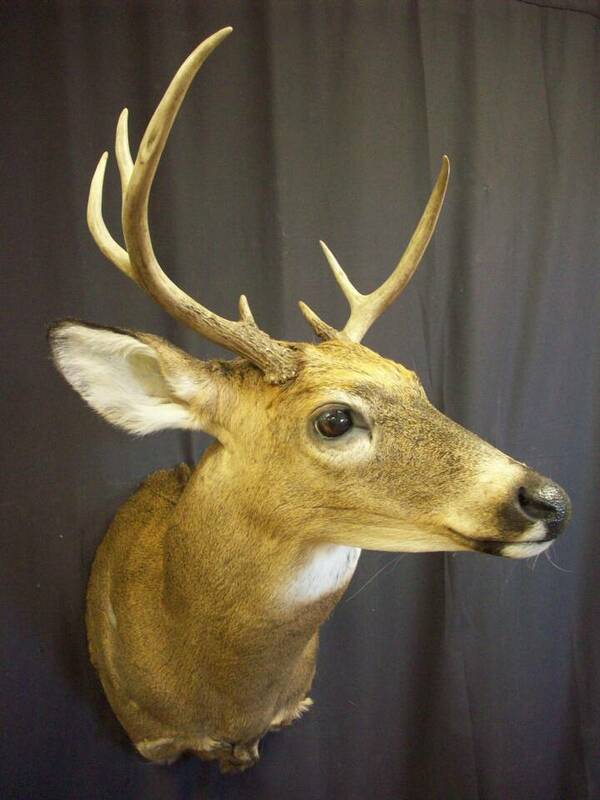 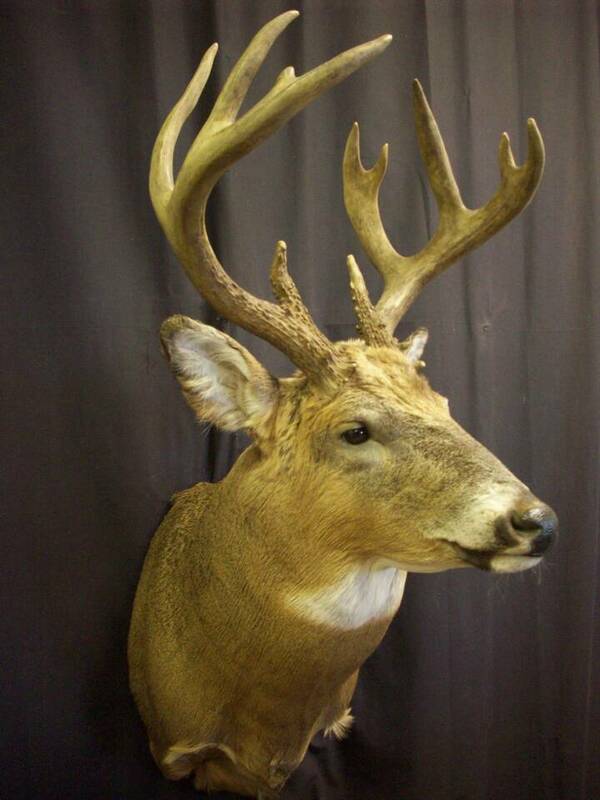 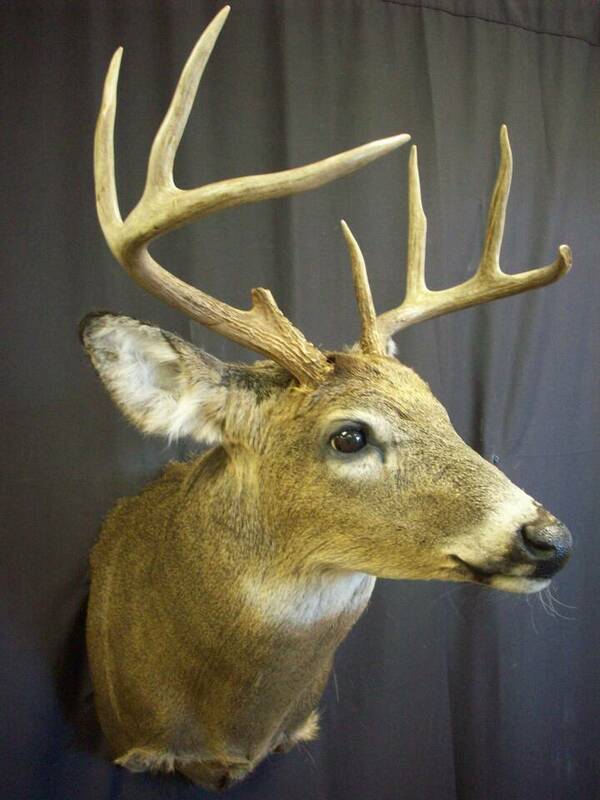 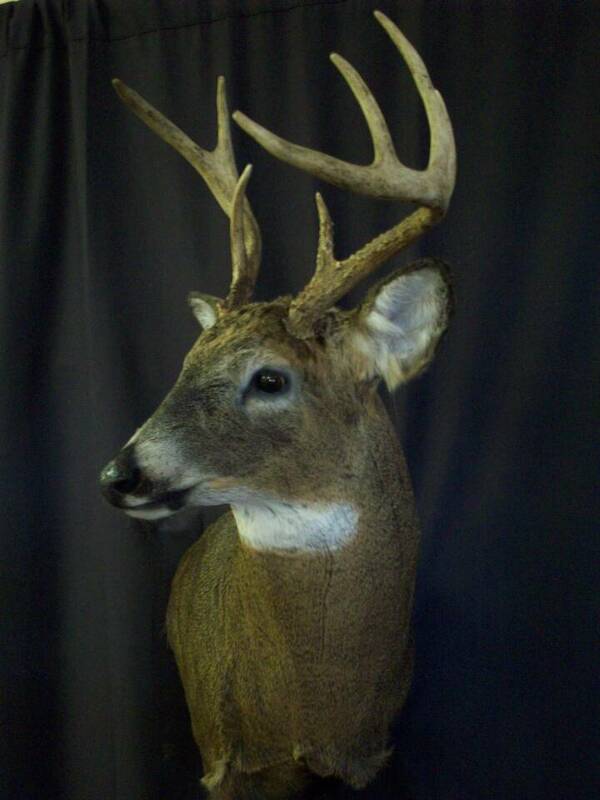 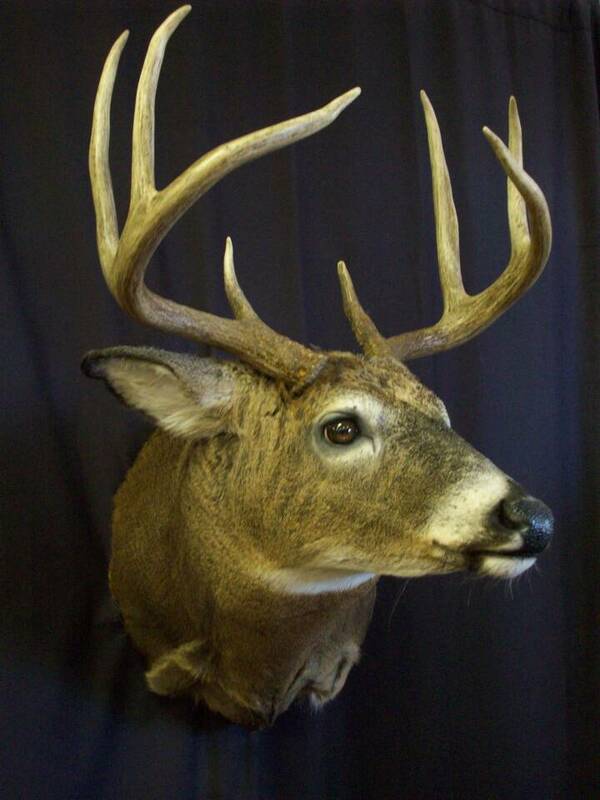 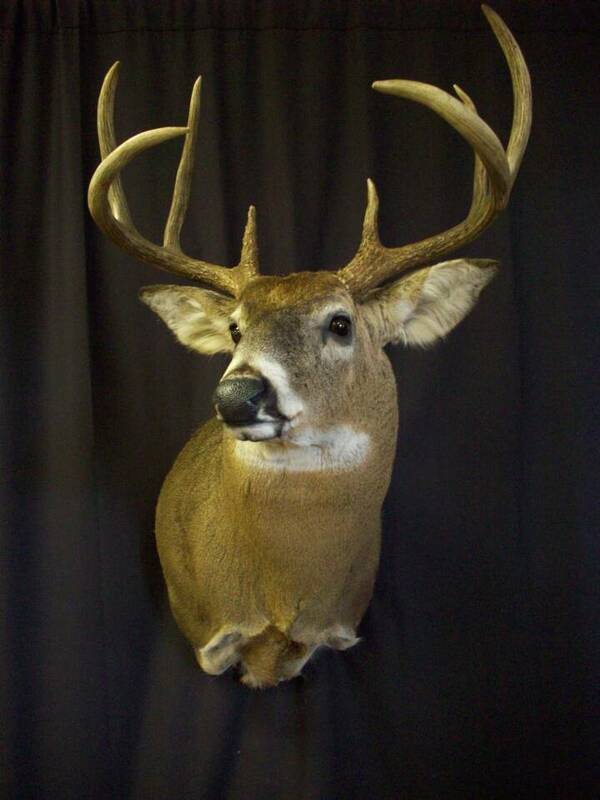 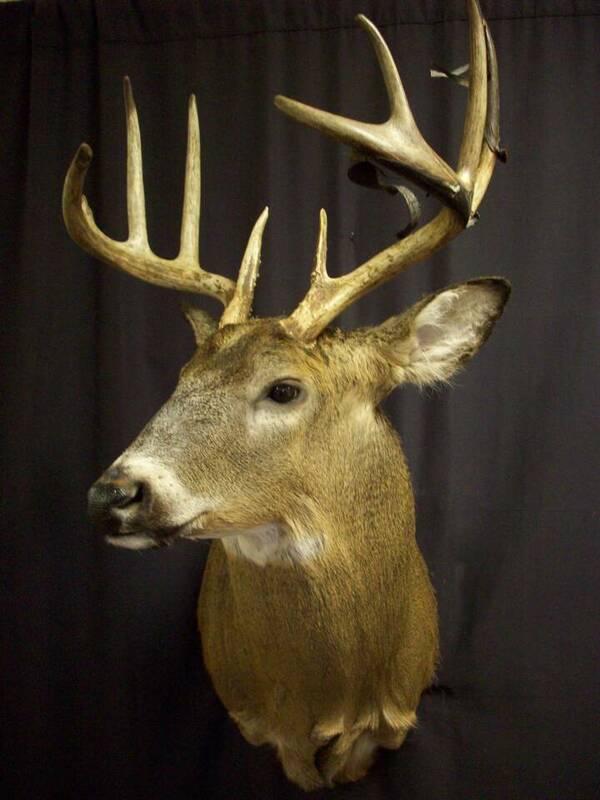 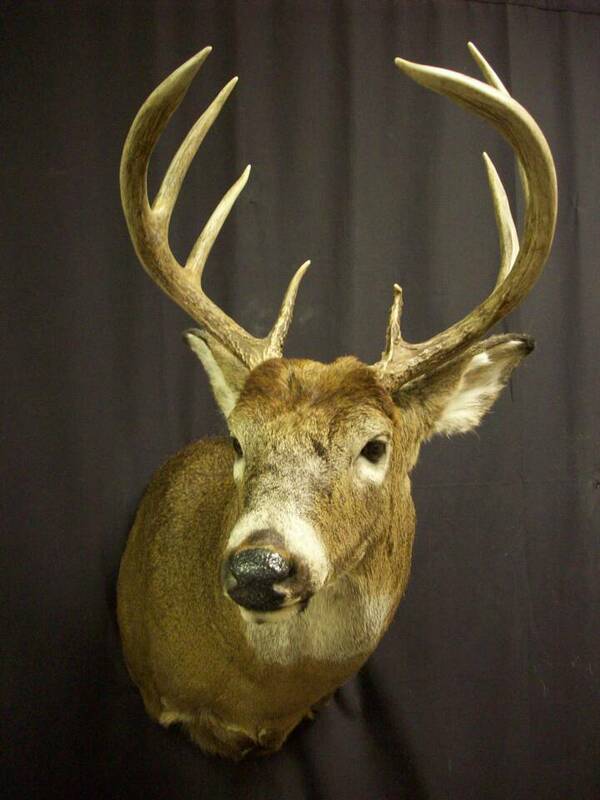 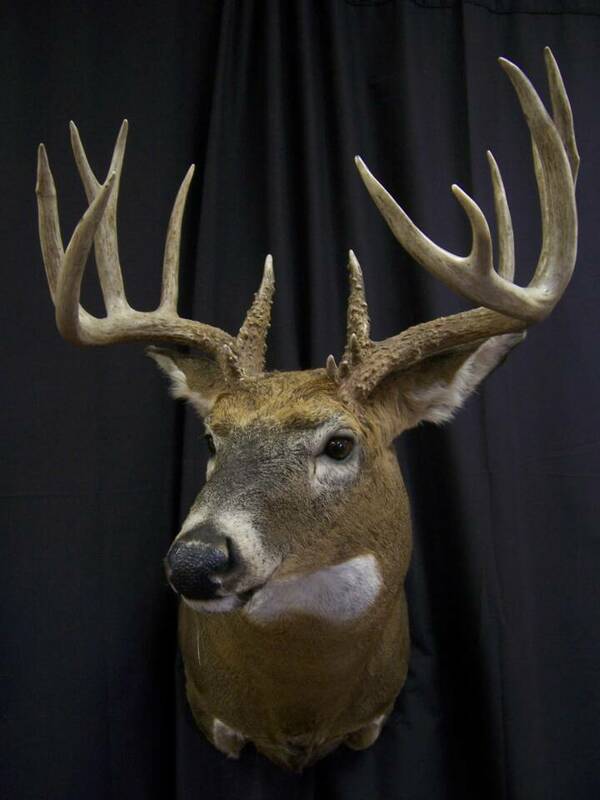 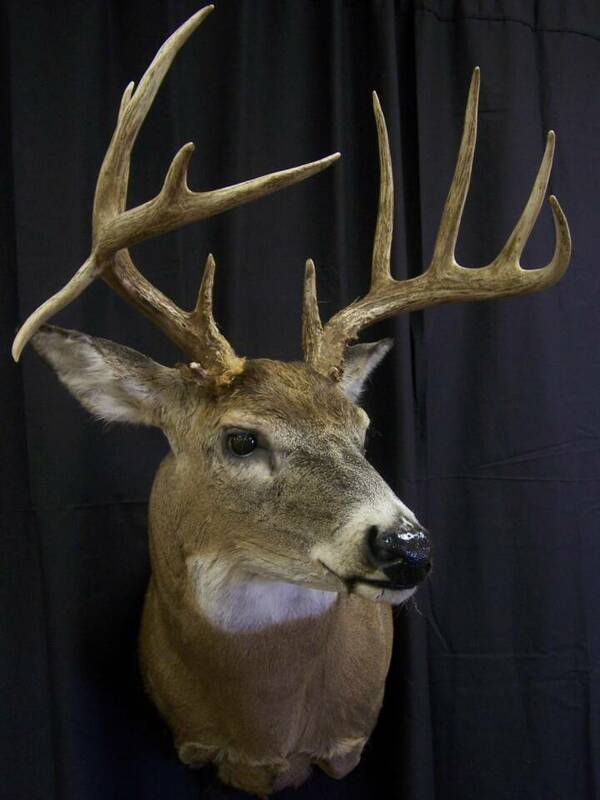 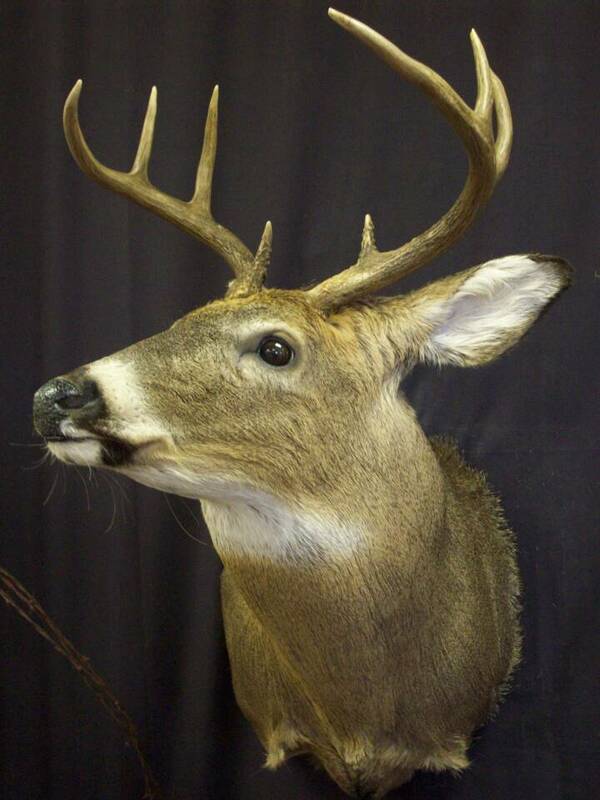 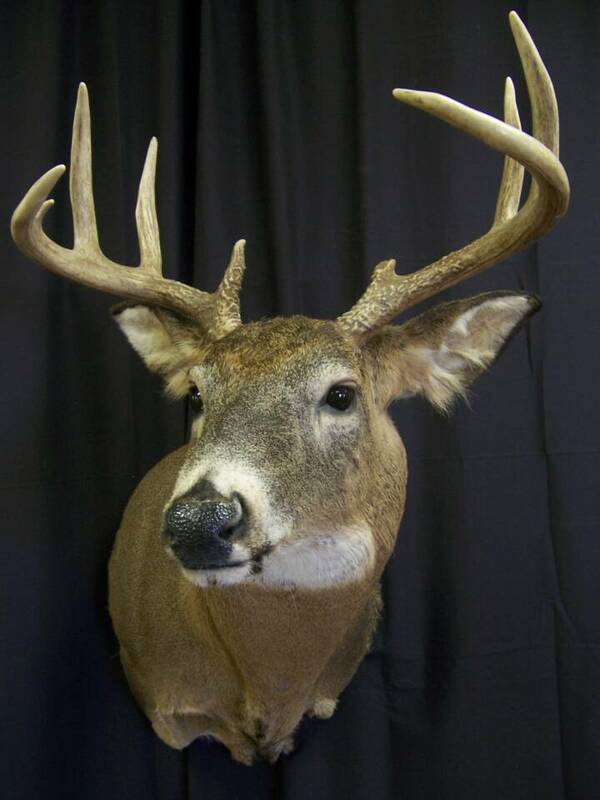 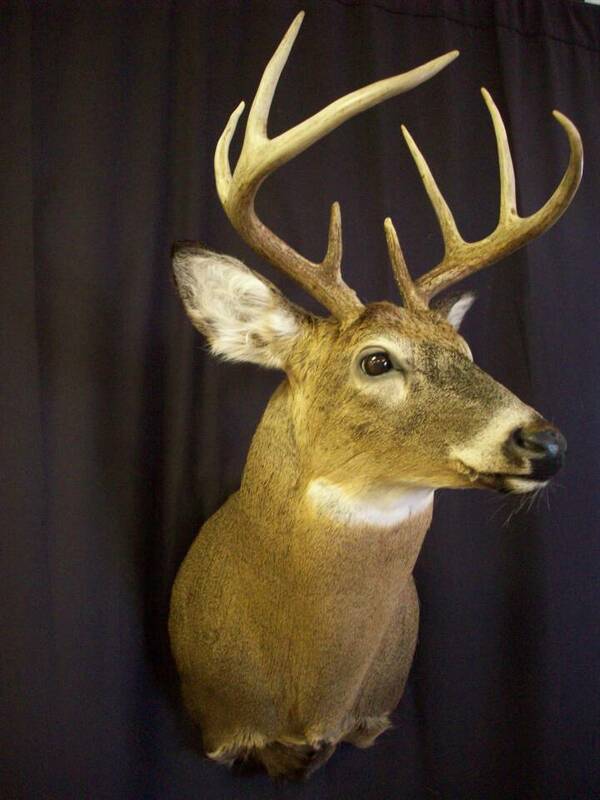 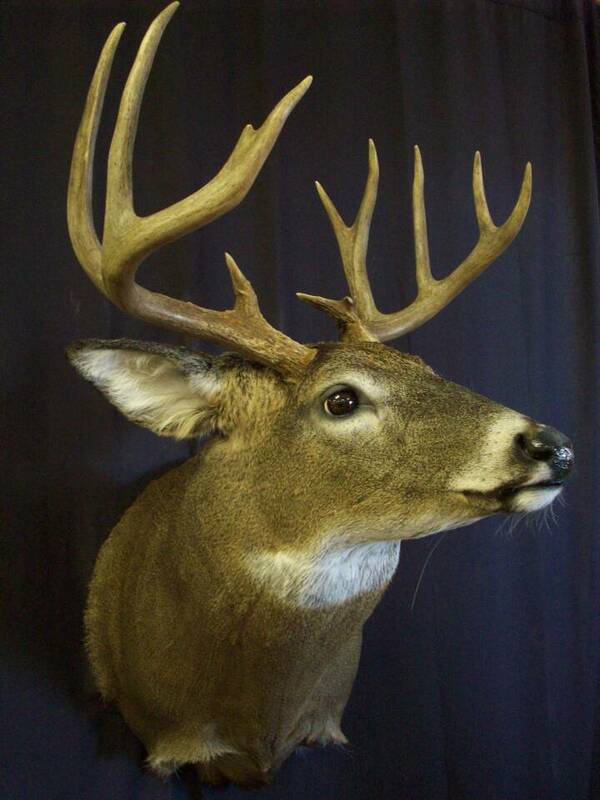 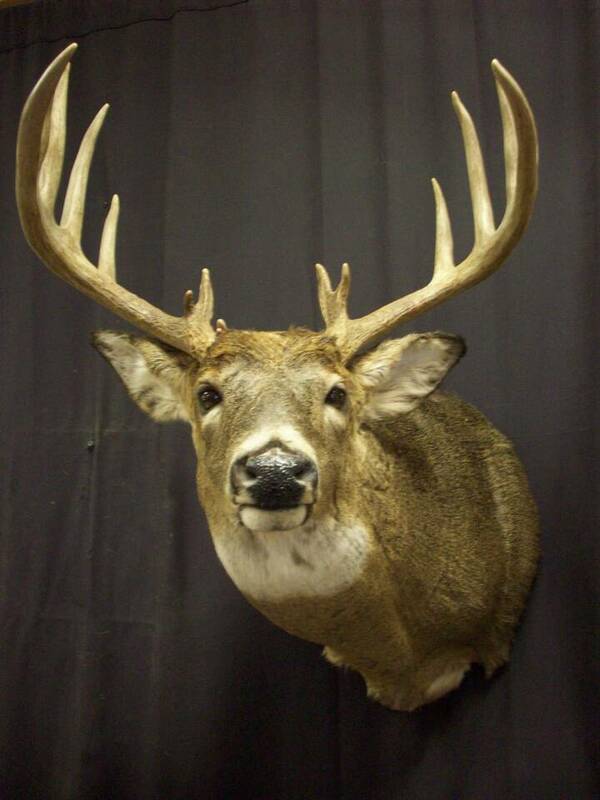 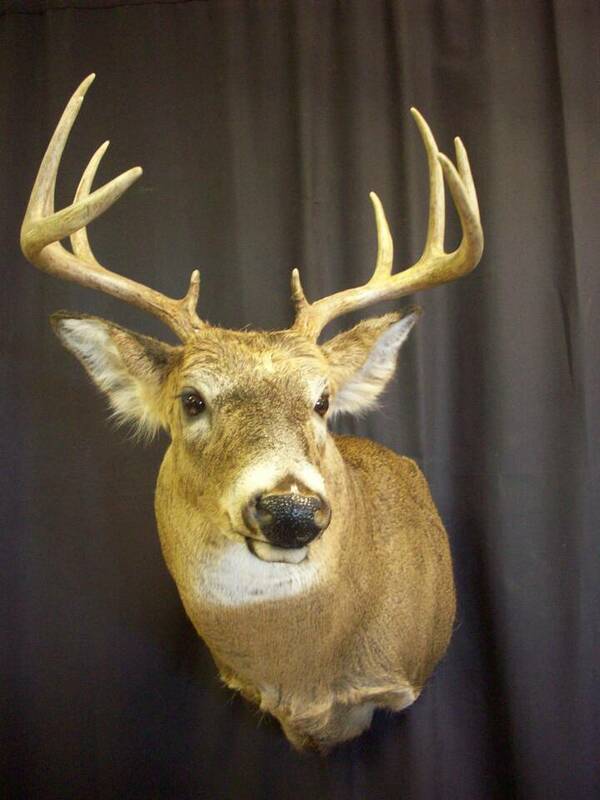 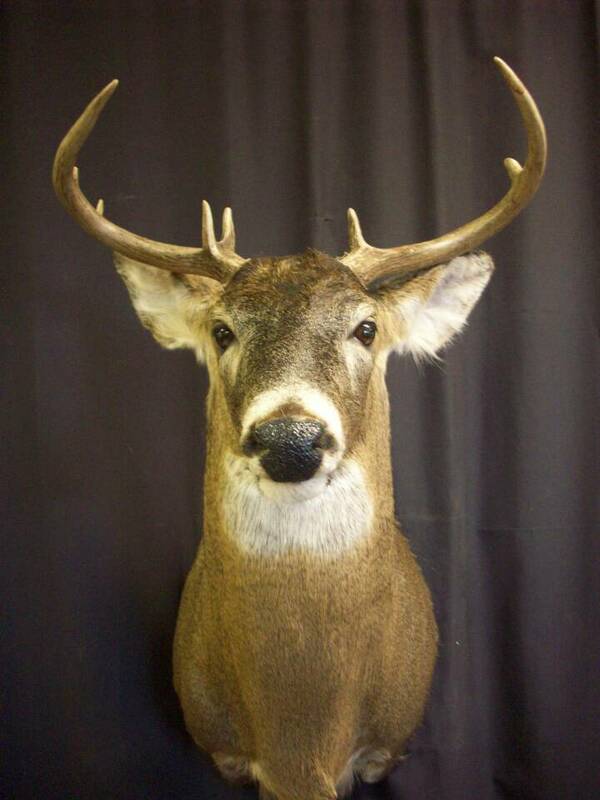 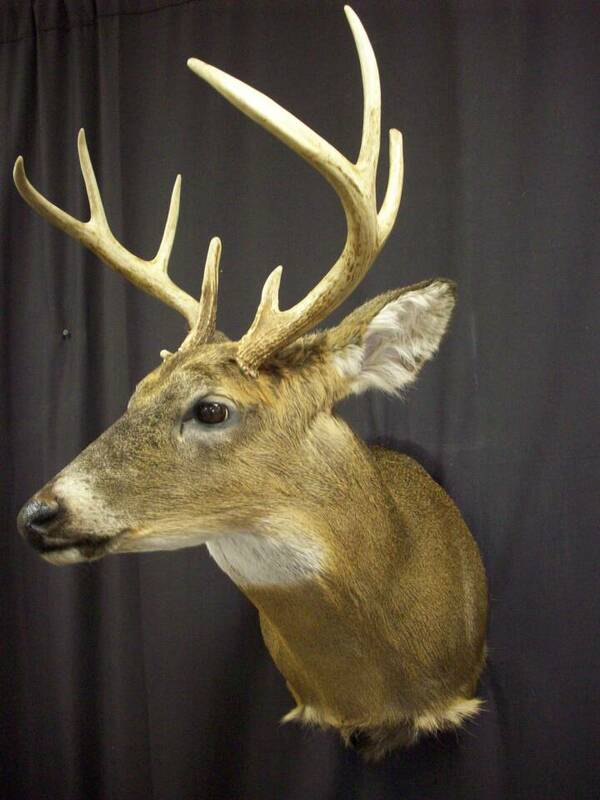 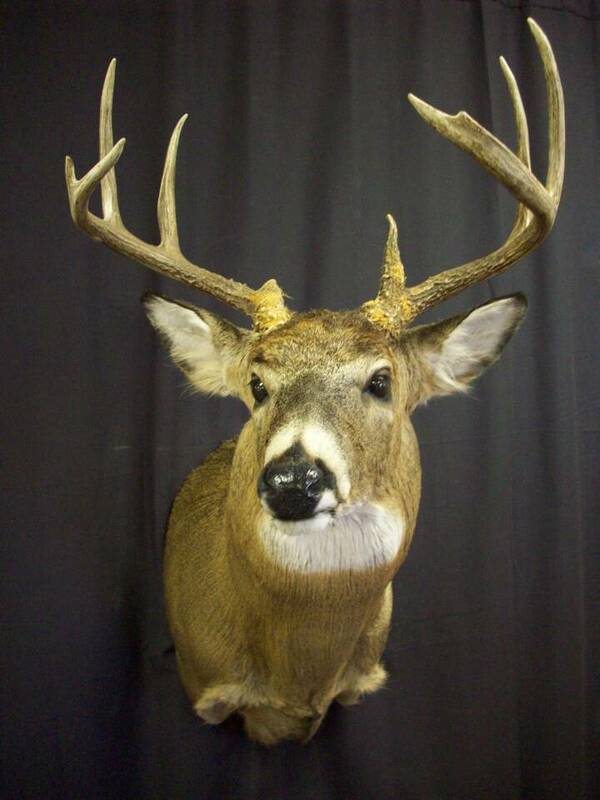 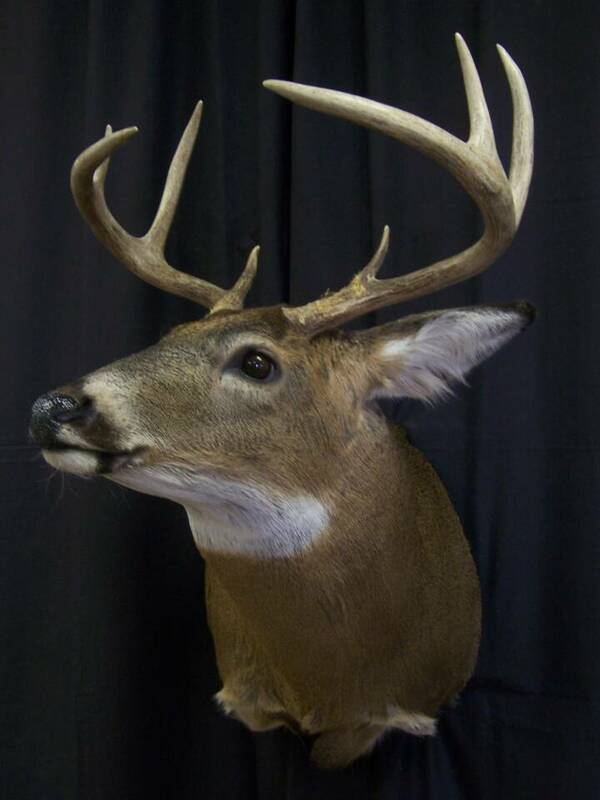 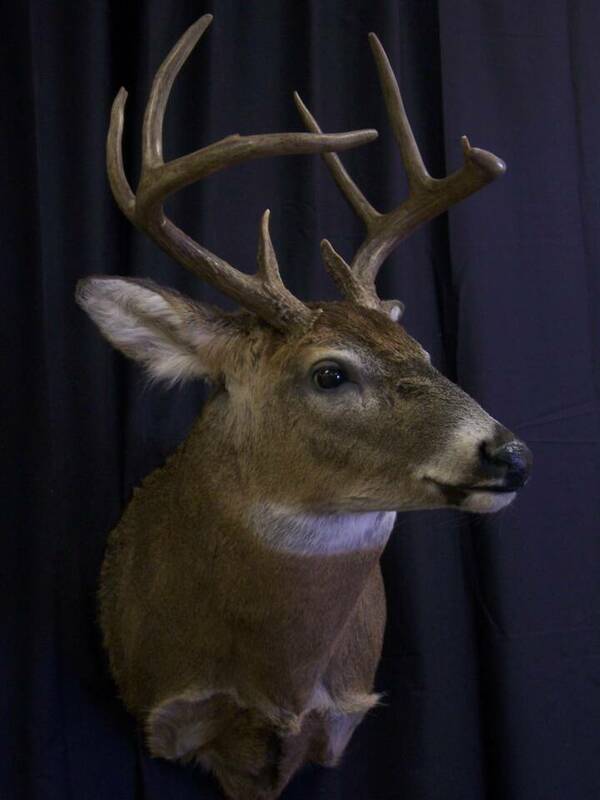 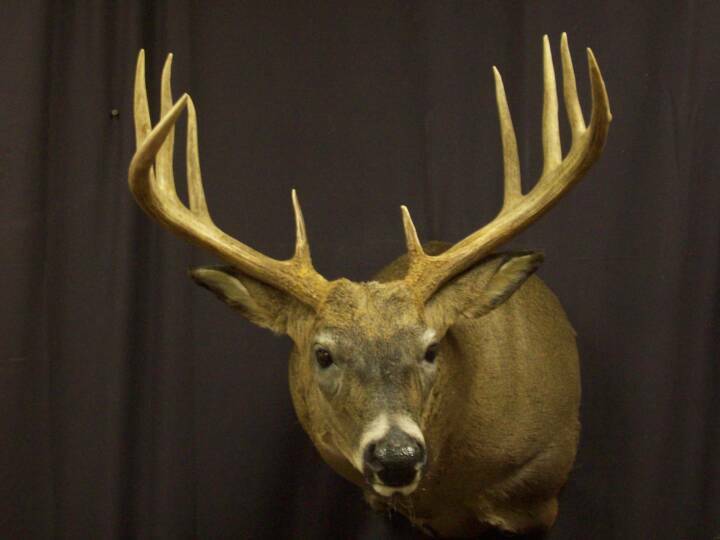 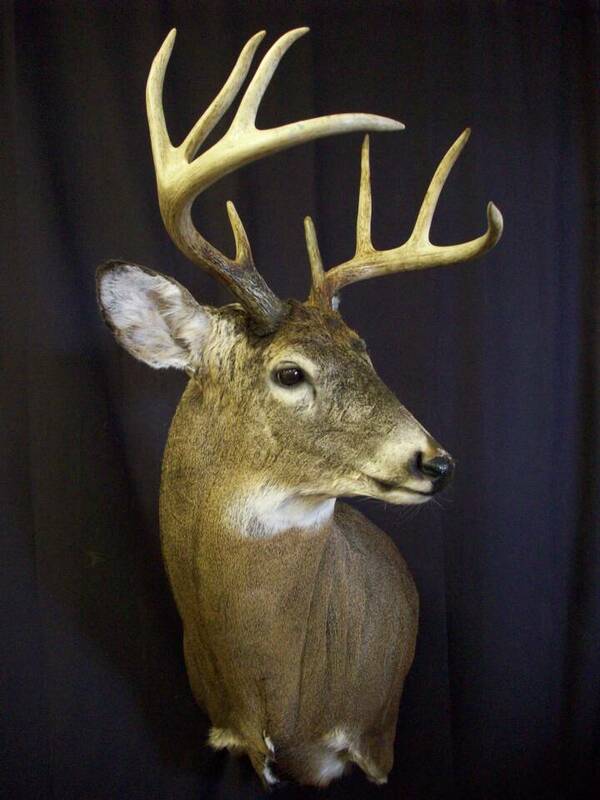 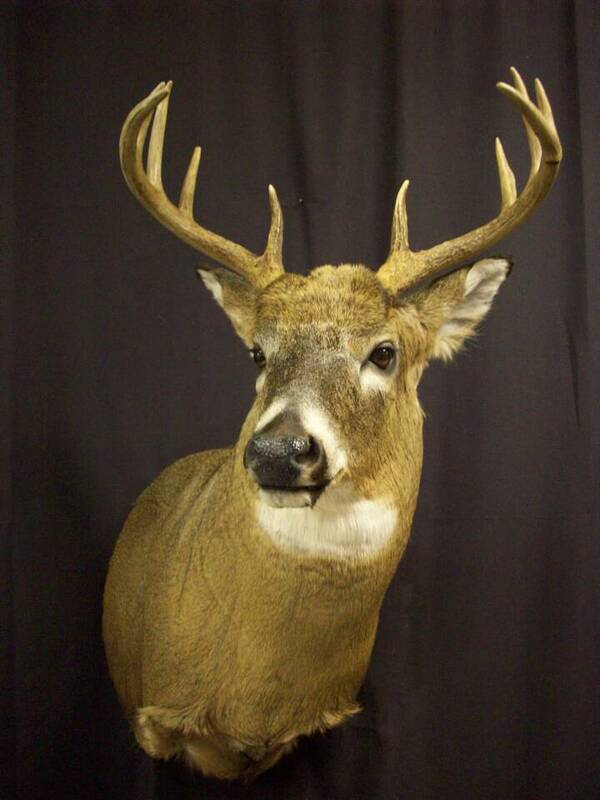 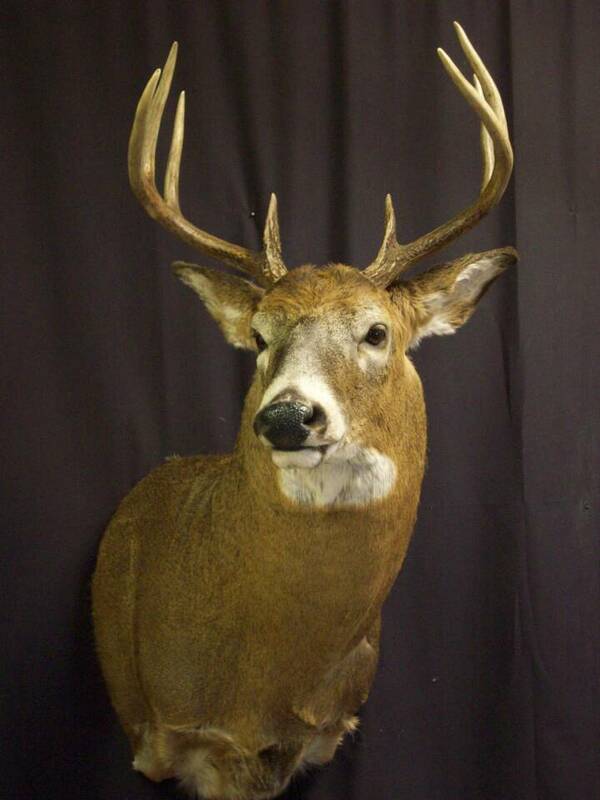 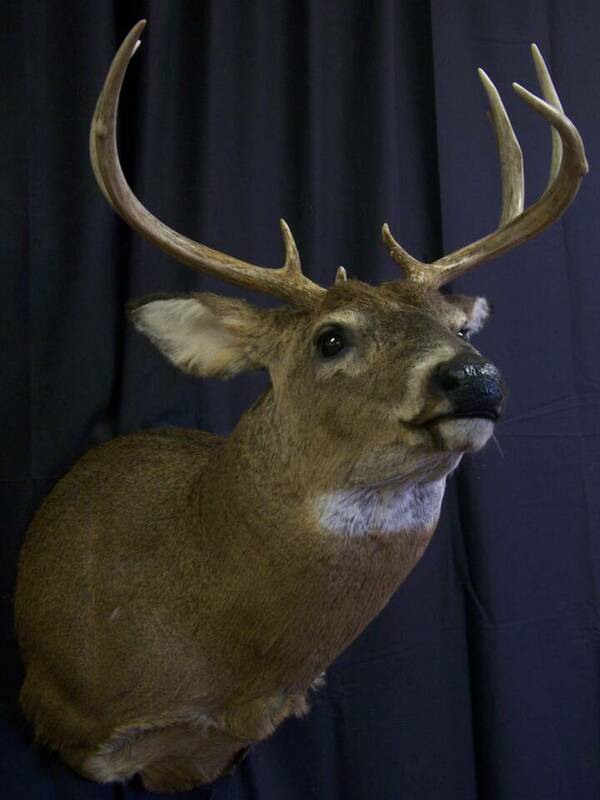 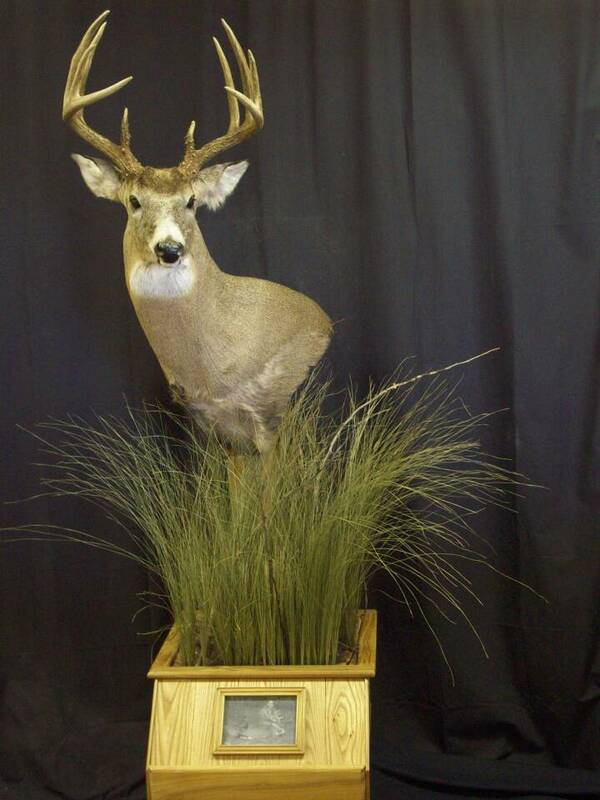 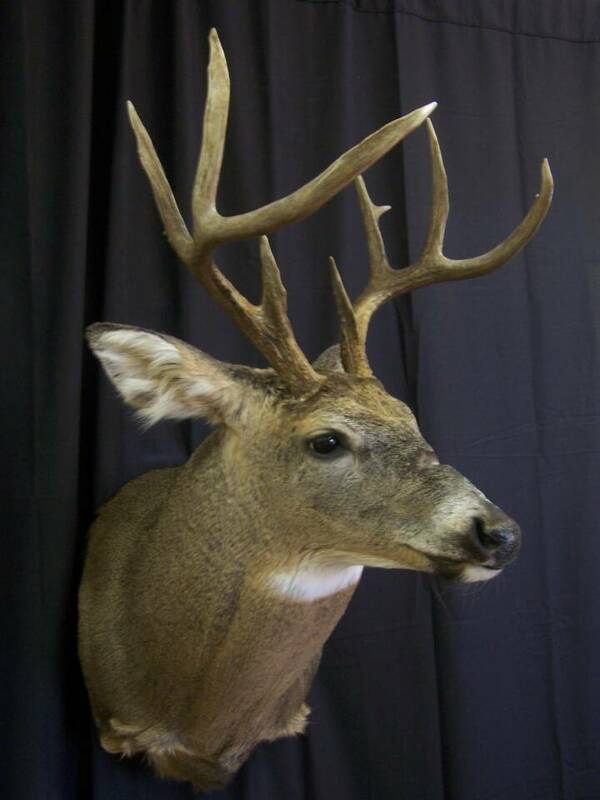 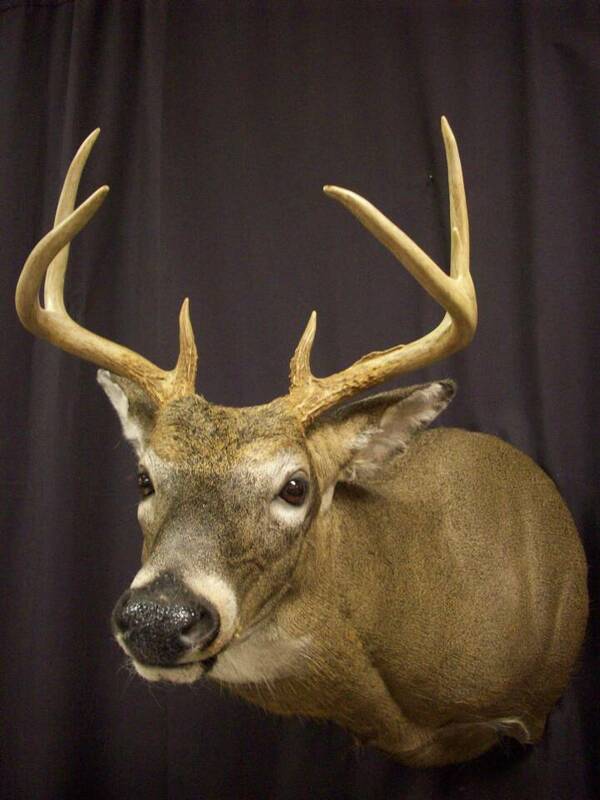 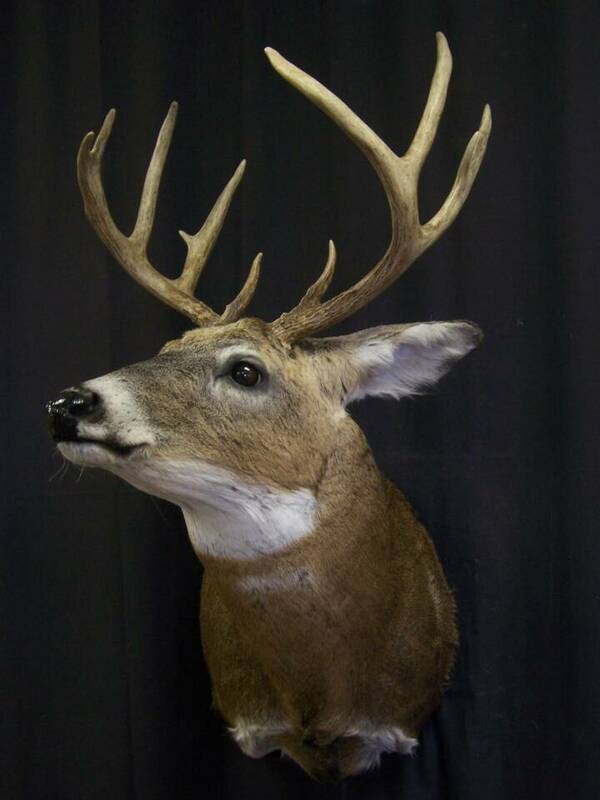 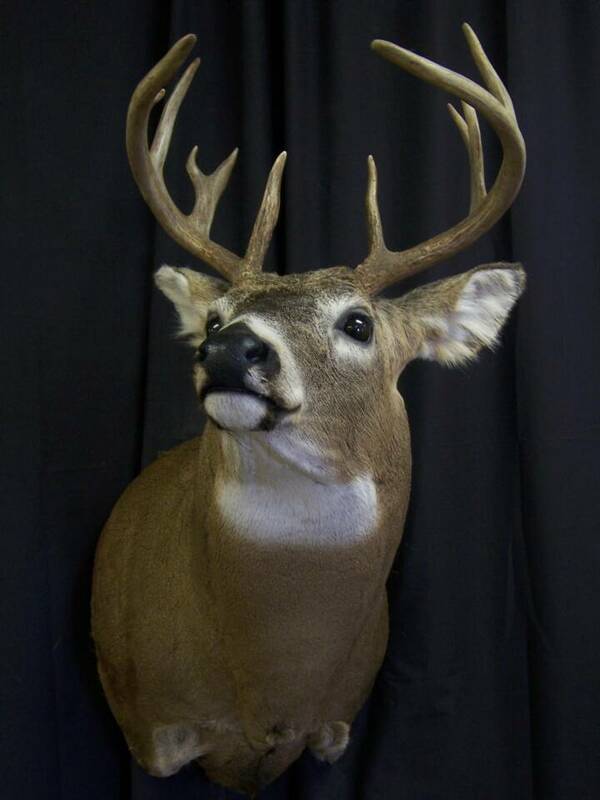 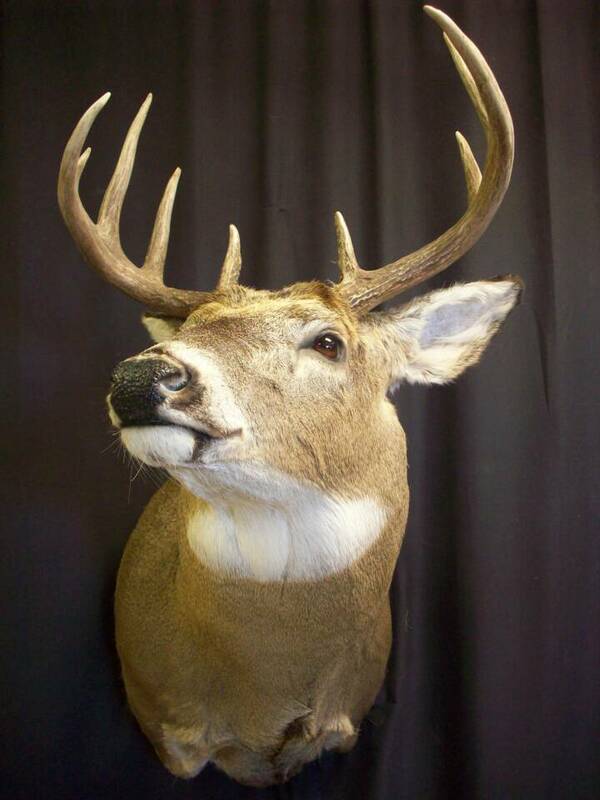 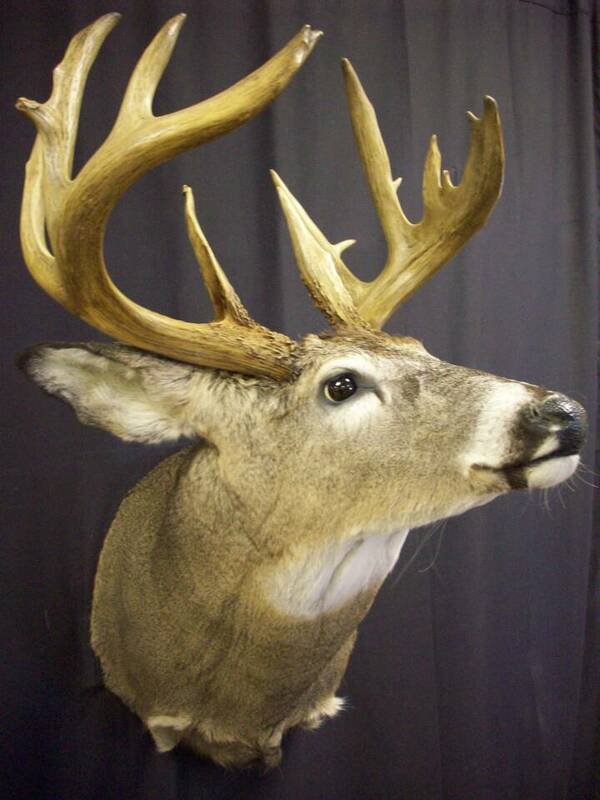 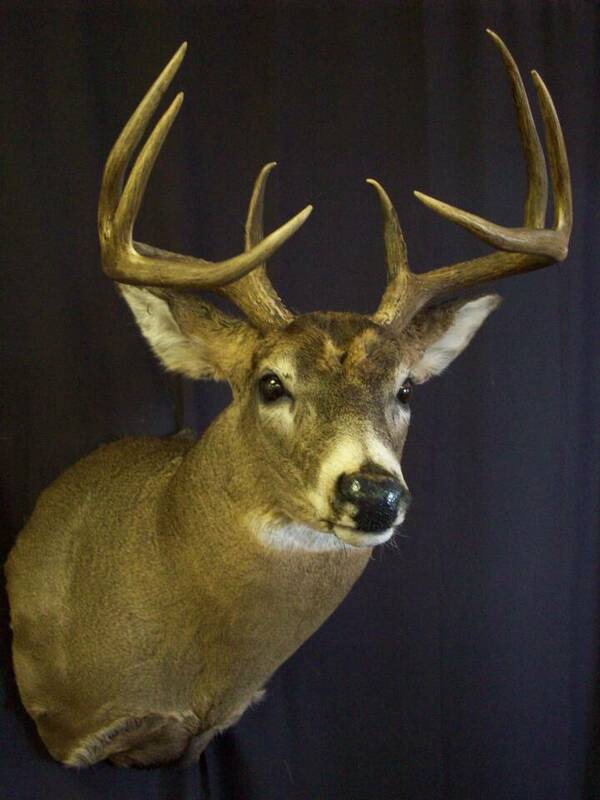 Properly set eyes,ears,nose and nostril detail is what brings a Whitetail to life.